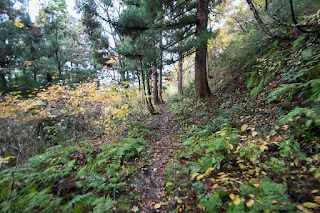 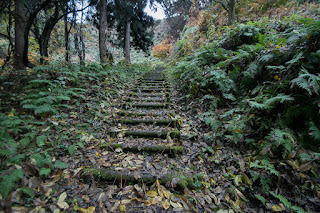 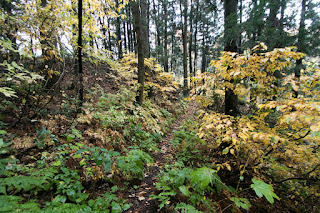 Tochio castle (栃尾城) is built over Kakujo-san mountain, one of about 120 meter height from hillside at the center of Tochio town, Tochio area is a valley town formed by Kariyata-gawa river and its tributary Nishitani-gawa, at about 5 kilometer east from center of current Nagaoka city ahead of Uonuma hills, in the middle part of Niigata prefecture. 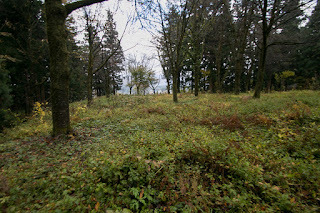 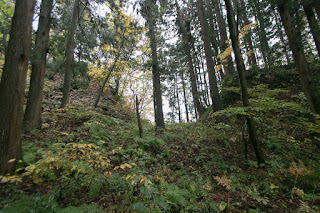 Today it looks too much inside of the land to build a major castle at this place. 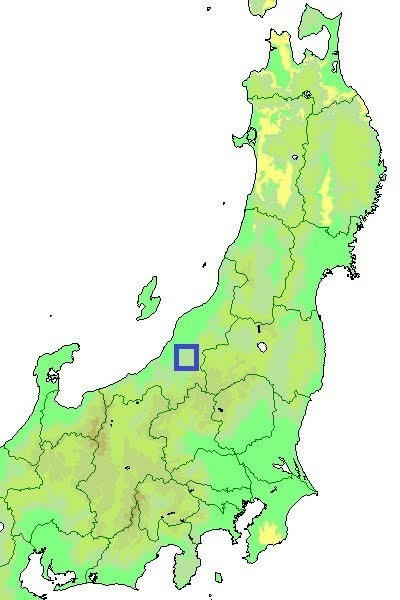 But in medieval era most part of current Niigata plain was a huge marsh, and major road connected middle part and north part of Echigo province (Niigata prefecture) passed hill area including Tochio city, which is current Route 290. 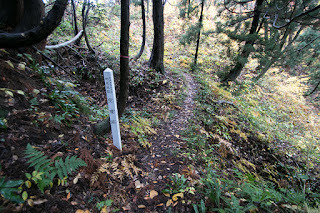 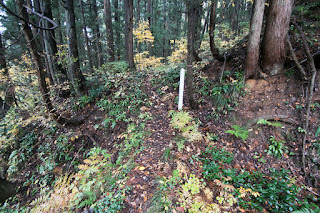 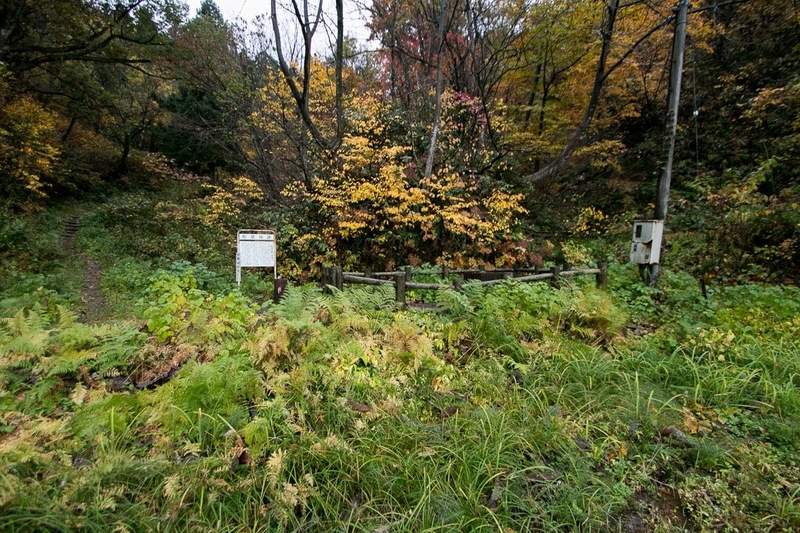 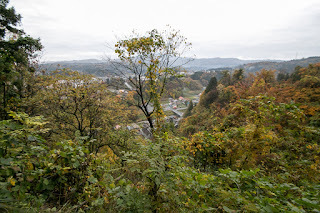 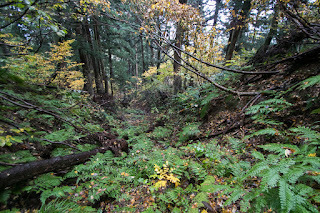 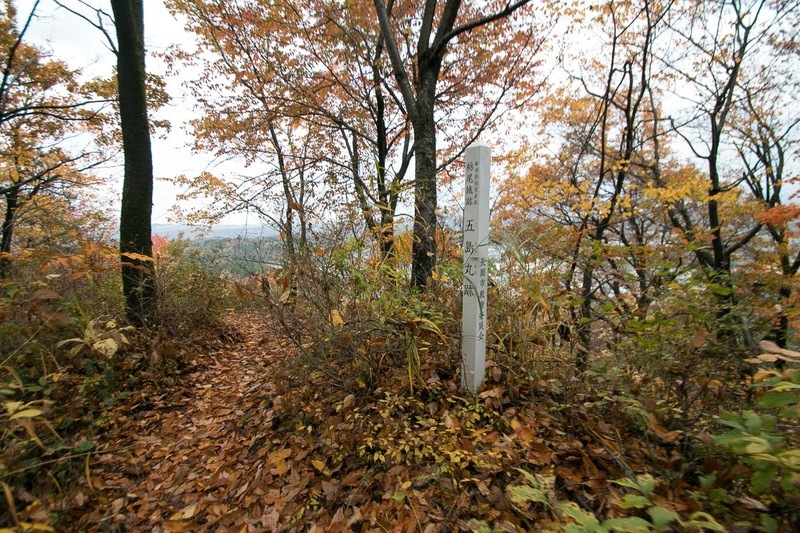 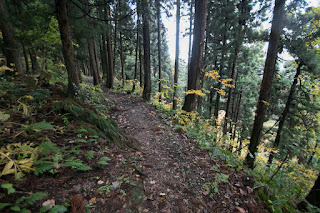 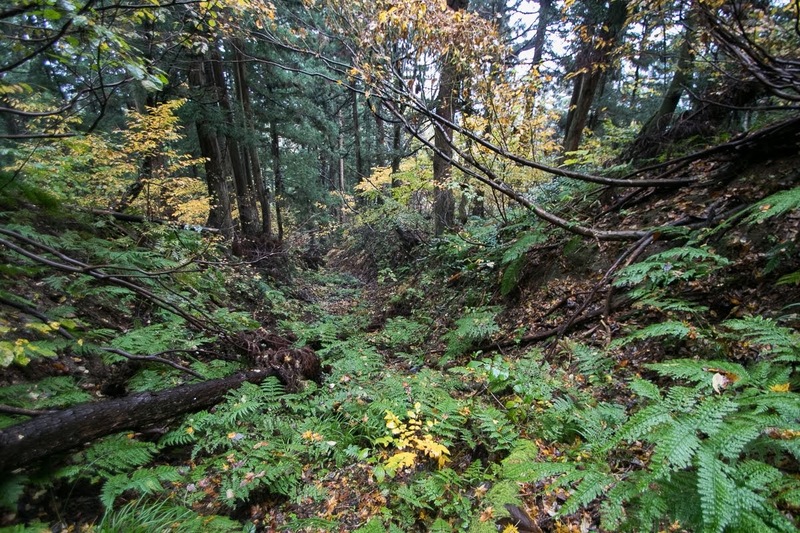 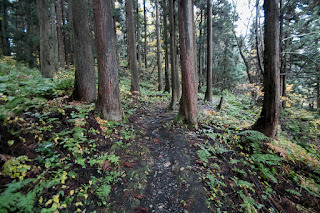 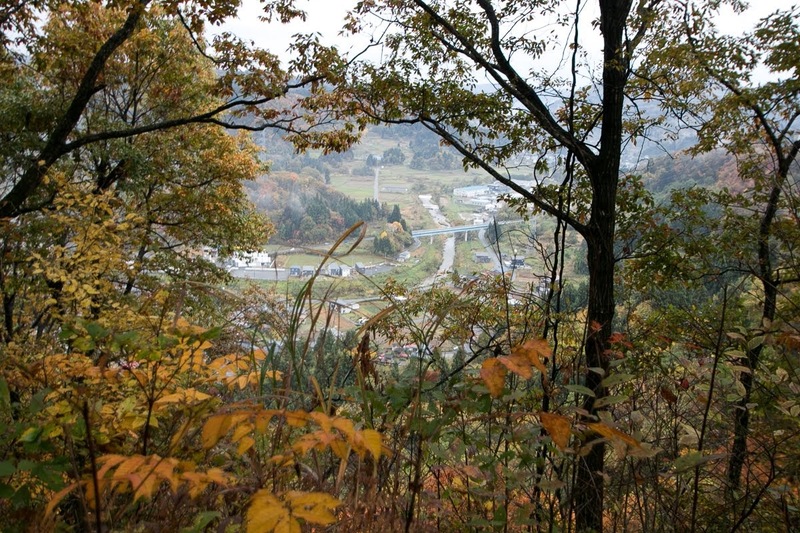 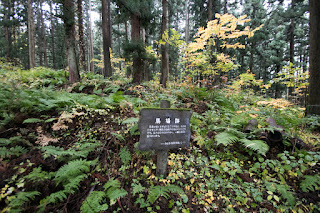 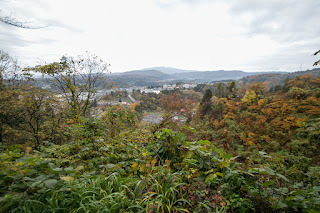 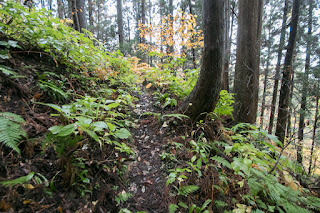 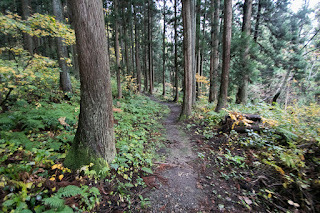 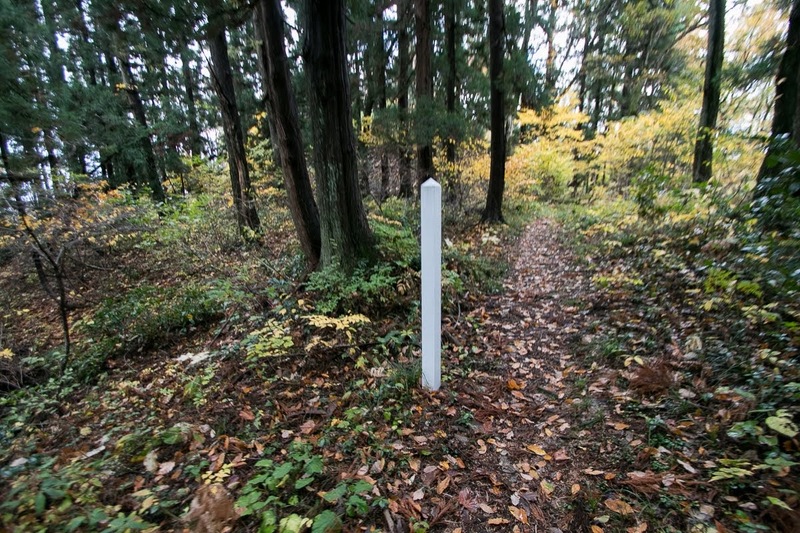 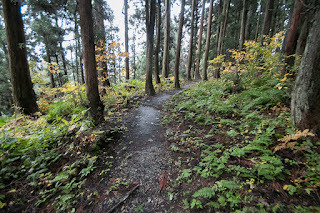 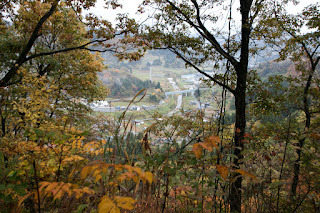 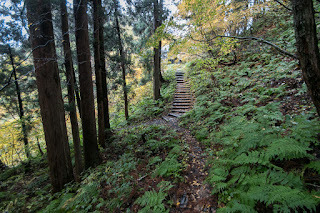 Furthermore, Tochio area is a connecting point of mountainous roads to Aizu area of current Fukushima prefecture. 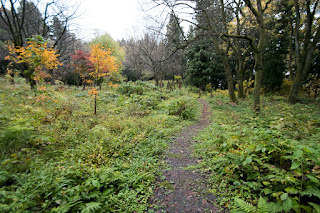 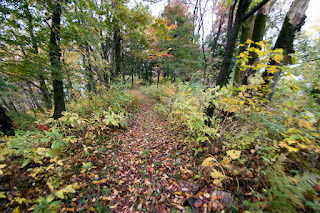 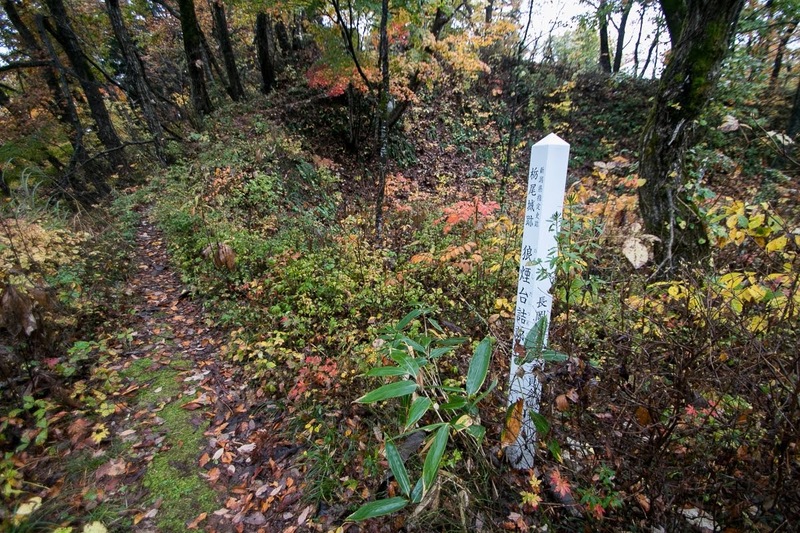 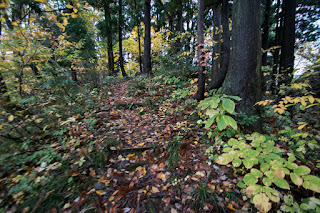 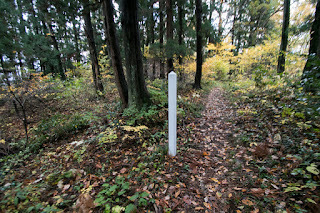 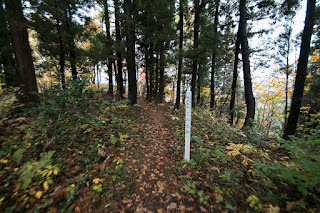 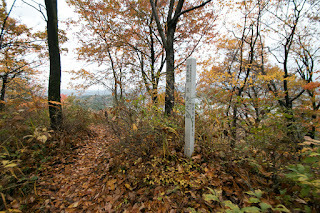 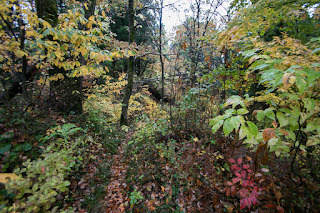 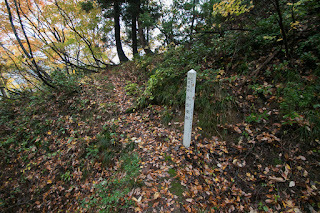 This area was an important point of communication where roads from north, east and west met. 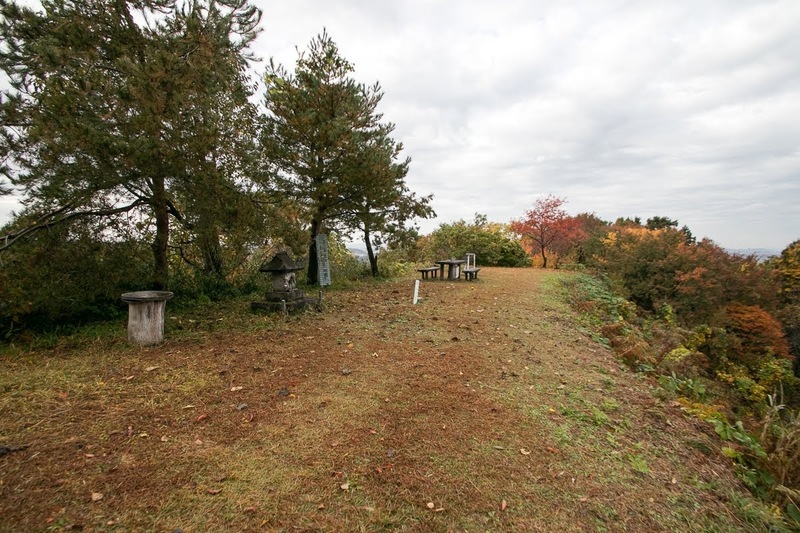 Precise year is unknown but Tochio castle might be built in 15th century under Koshi Nagao-clan, a local lord of current Nagaoka area. Koshi Nagao clan was a branch family of Nagao clan, which was a deputy governor of Echigo province resided at Kasugayama castle (Niigata prefecture) of current Joetsu city. When Uesugi clan, originally the local lord of Kozuke province (Gunma prefecture), seized the governor of Echigo province, Uesugi clan accompanied Nagao clan which was originally a local lord of Soja area and Ashikaga area of Kozuke province to Echigo province. 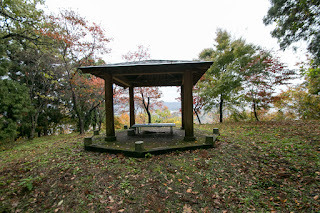 There were many territories of former Kamakura Shogunate in the middle part of Echigo province, Uesugi clan placed branch families of Nagao clan such as Koshi Nagao clan at Nagaoka area or Ueda Nagao clan at Uonuma area to restrain other hereditary local lords and make connection to Kanto region. 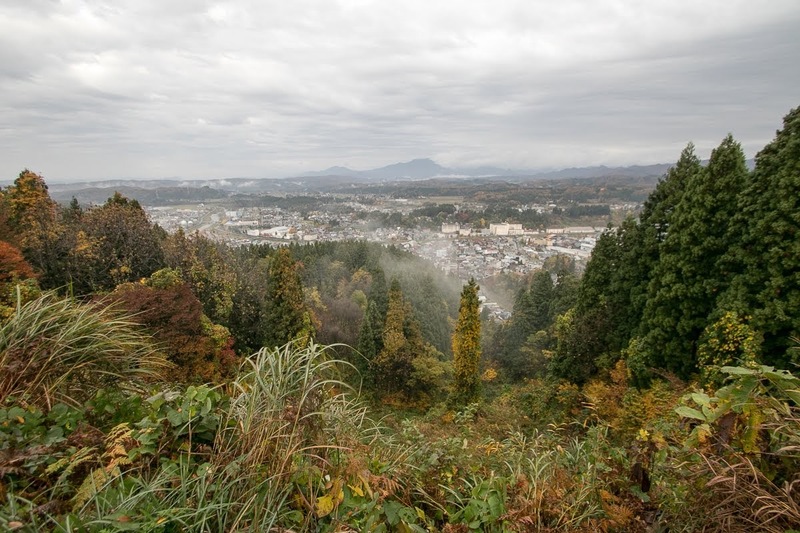 In the latter half of 15th century, correlating to the turbulence in Kanto period which was nominally controlled by main family of Uesugi clan, Nagao clan started to confront against their master Uesugi clan. 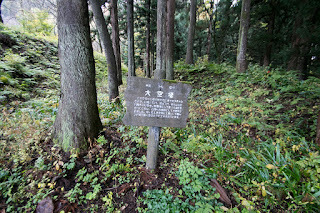 After fierce battles, in 1512, Tamekage Nagao (1486-1543) who was the leader of Nagao clan finally defeated Uesugi army and captured the authority of Echigo province. 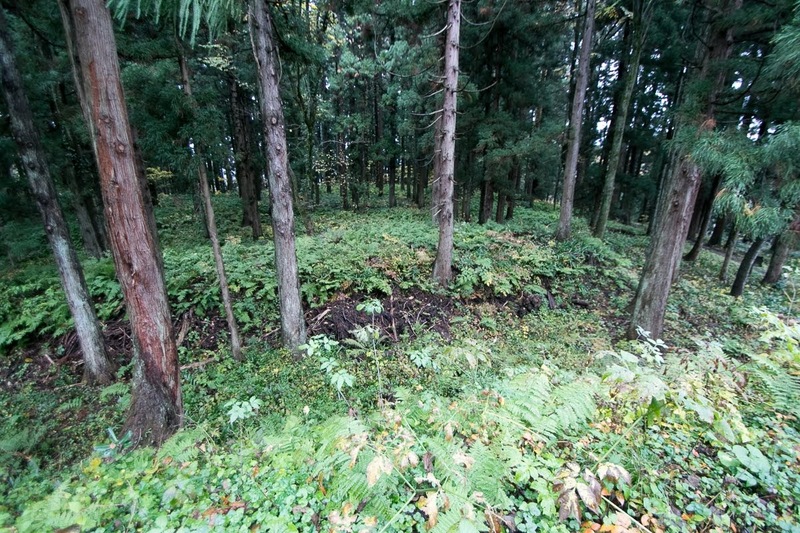 At this battle Koshi Nagao clan supported their main family and became an important retainer. 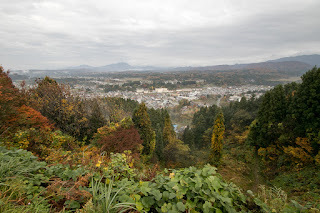 But facing dissatisfaction of other strong local lord, Tamekage had to retire and left the leader position to his eldest son Harukage Nagao (1509-1553) in 1540. Harukage who was a kind character could not control strong local lords well thus tension in the province became higher. Looking at same situation, Harukage sent his younger brother Kagetora Nagao (1530-1578, later Kenshin Uesugi) to Tochio castle which was held by Saneyori Honjo (?-? 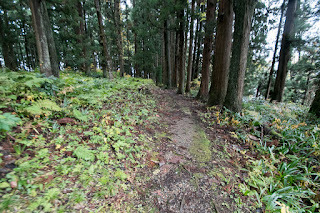 ), who might be a retainer of Koshi Nagao clan in 1543. The mother of Kenshin was a person of Koshi Nagao clan, and Kenshin was expected to watch major local retainers in the middle part and north part of the province. 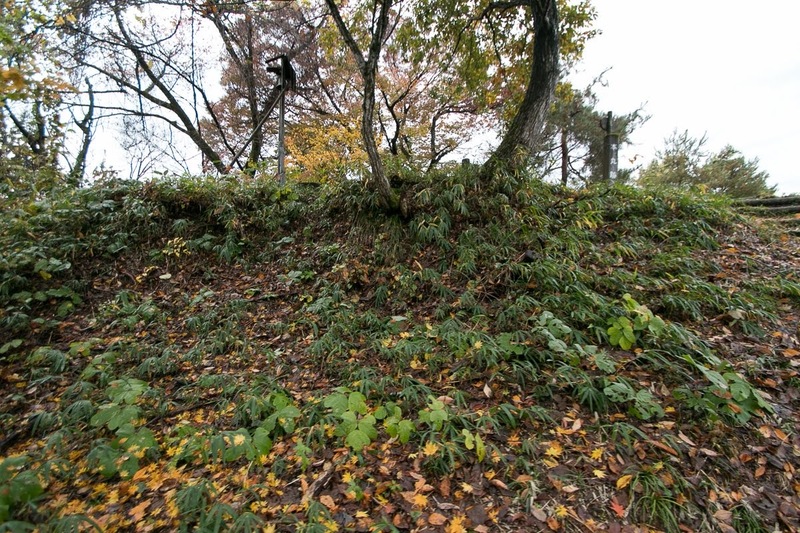 At that time Kenshin was only 13 years old, and surrounding local lords opposed to Nagao clan raised their army and attacked Kenshin at Tochio castle. But Kenshin was good at tactics later praised as the god of the war, even played the model of castle in childhood. 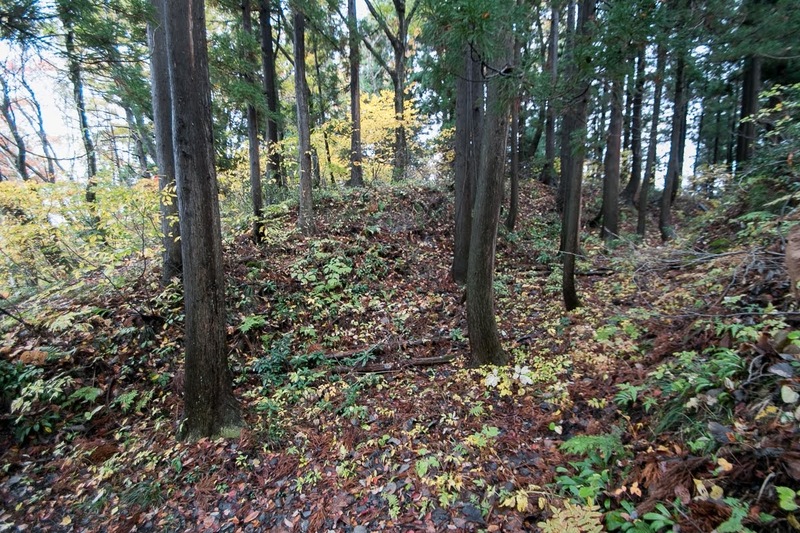 Kenshin hided detached force outside of the castle and let them assault the commander of the enemy faced castle from backside then defeated the enemy. 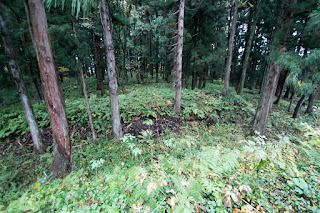 Kenshin broke the siege of Tochio castle, then quickly ruined other non obedient local lords. Looking at this brilliant talent of Kenshin, Koshi Nagao clan and other major local lords in the middle part of the province tried to place Kenshin as the governor of the province. 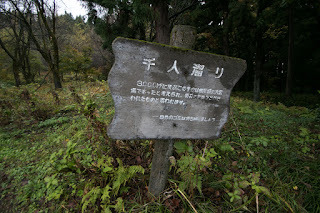 On the other hand, Ueda Nagao clan which was the rival of Koshi Nagao clan continuously supported Harukage. The tension between two brothers became greater. Finally under the coordination of Uesugi clan which nominally remained, Harukage left the leader position to Kenshin by adopting Kenshin in 1548. Two years later Kenshin suppressed Ueda Nagao clan then Ueda Nagao clan followed to Kenshin, thus now Kenshin became the true governor of Echigo province. Saneyori Honjo who supported Kenshin from first stage became an important retainer of Kenshin, and Tochio castle was expanded as an important base of Nagao clan. 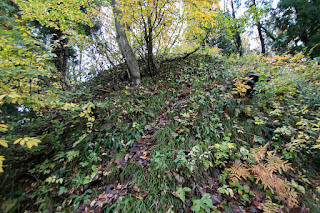 Tochio castle is spread on hilltop and east slope of Kakujo-san mountain, which has L shaped ridge separated from backside mountains. 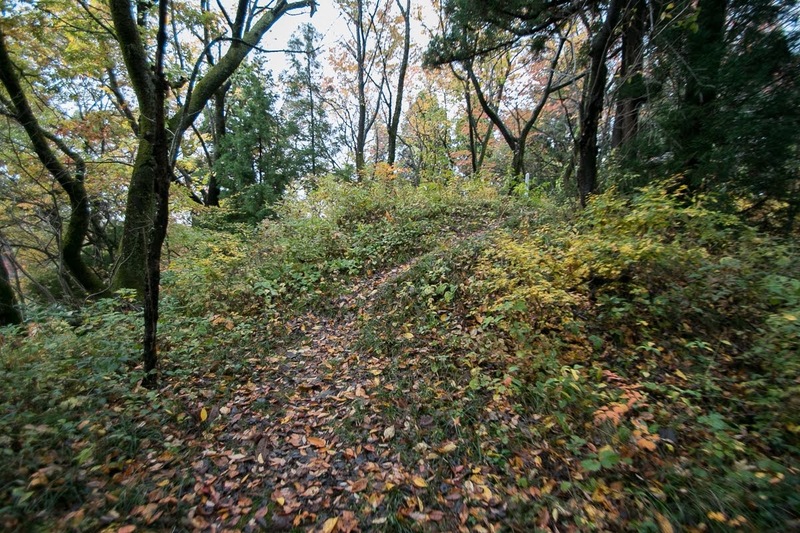 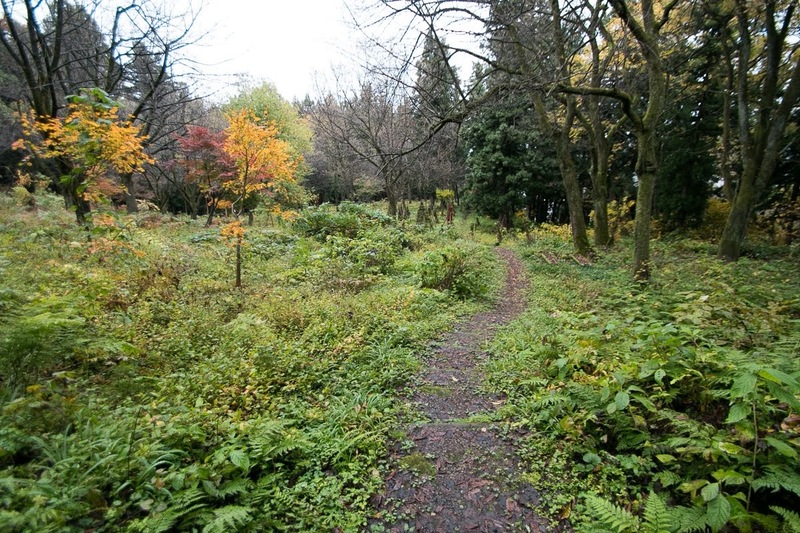 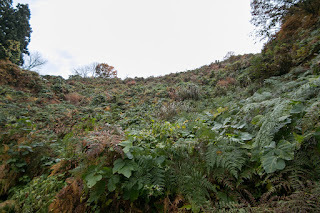 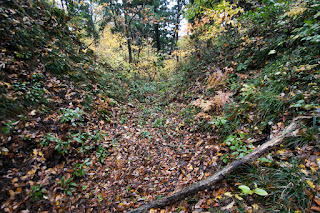 Central area is a slightly curved crescent shaped one of about 50 meter long and 10 meter wide, which is reported to have small stone wall at its edge but not seen covered by bushes. 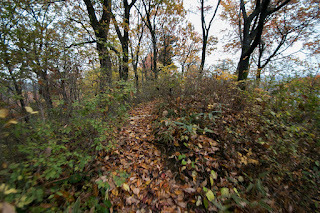 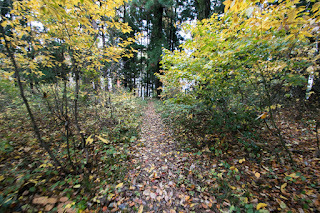 Southward of central area connecting to backside mountain was securely protected by huge dry moat. 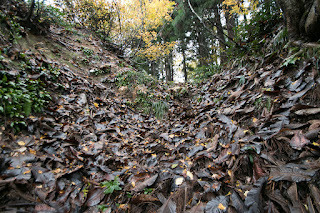 At the north of central area, there are secondary area and third area built in line and separated by deep dry moat. 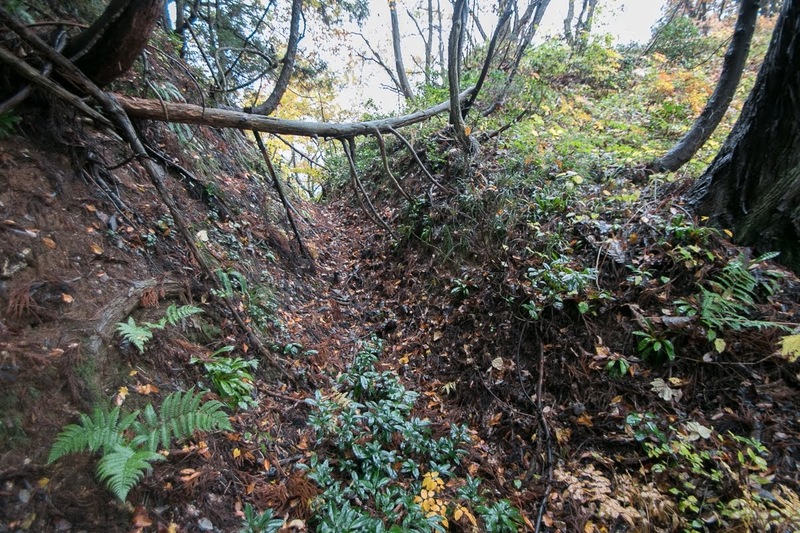 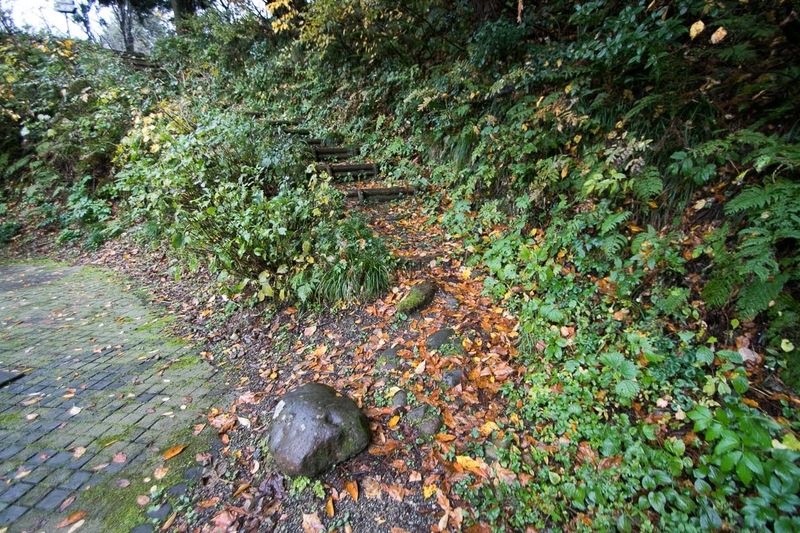 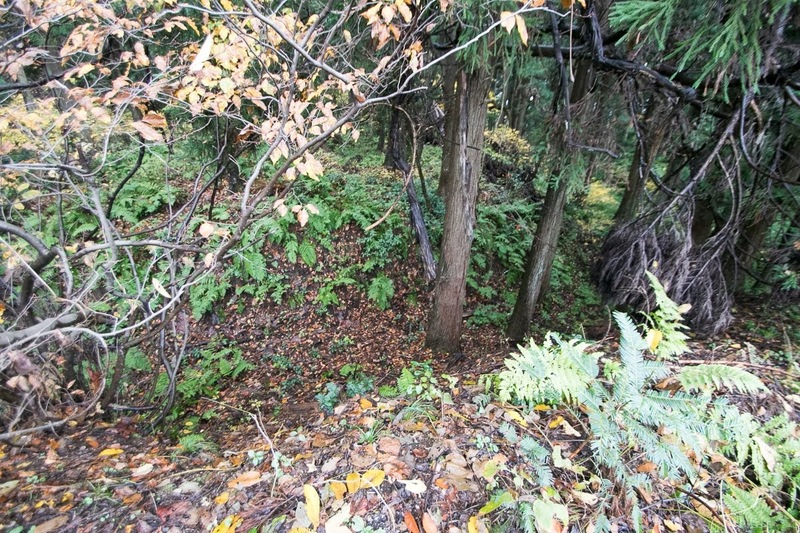 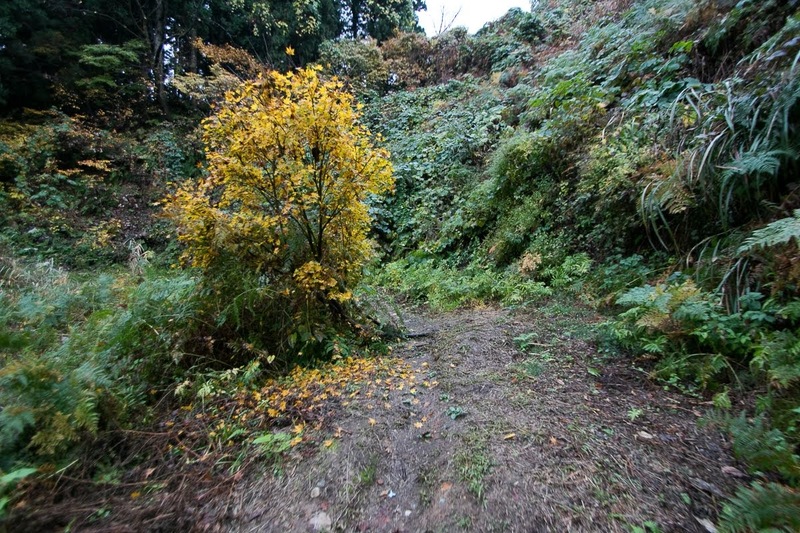 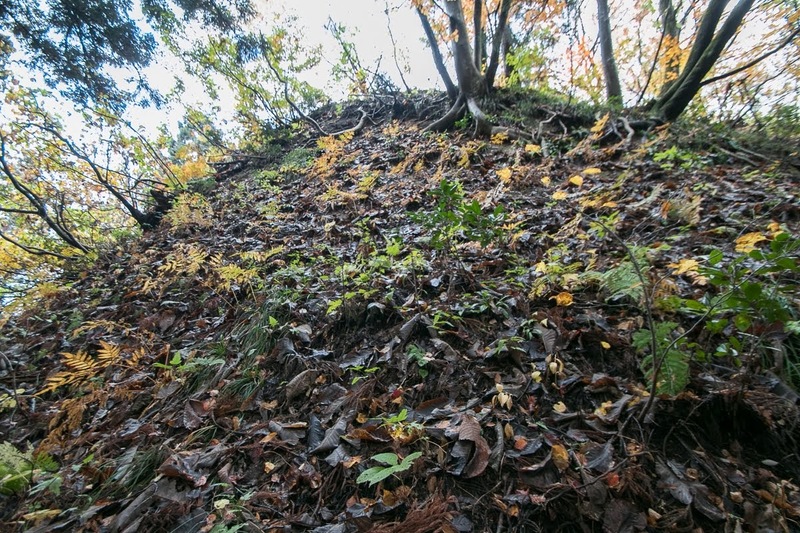 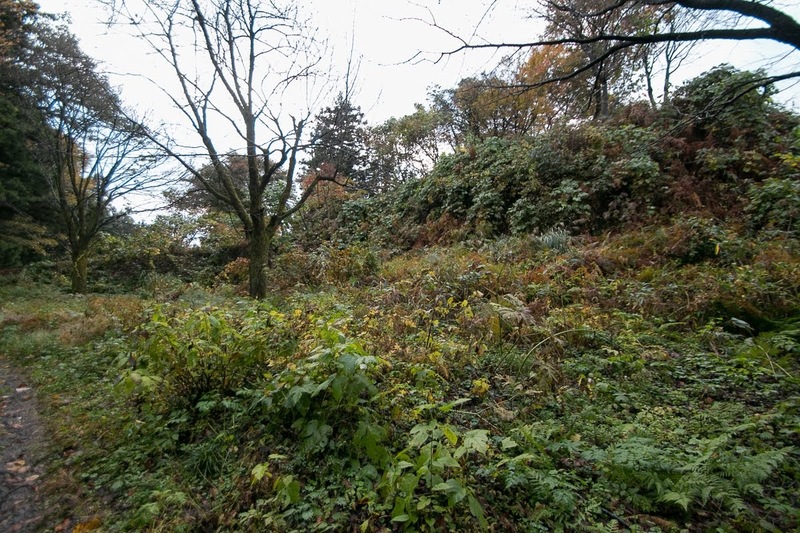 Especially a dry moat at the north of third area becomes a vertical dry moat down to hillside area, which is over 400 meter long. 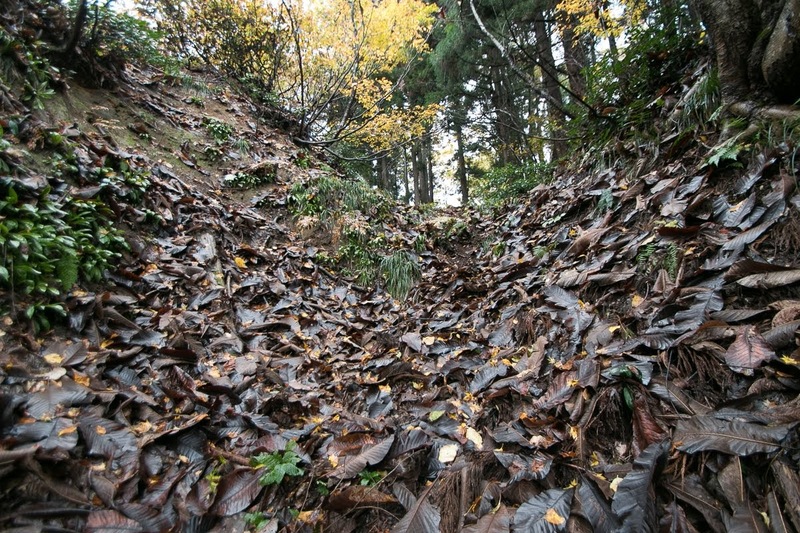 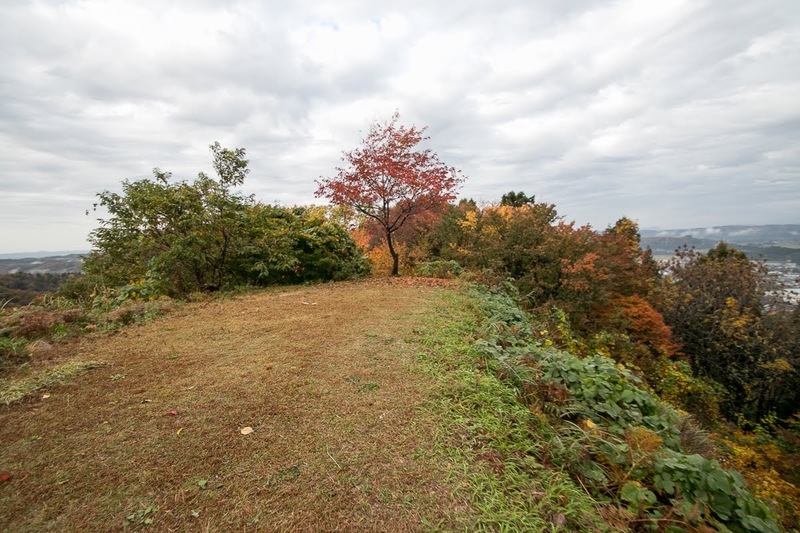 This vertical dry moat is built to separate inner area and outer area, and also as a path between hilltop and hillside in case of emergency. 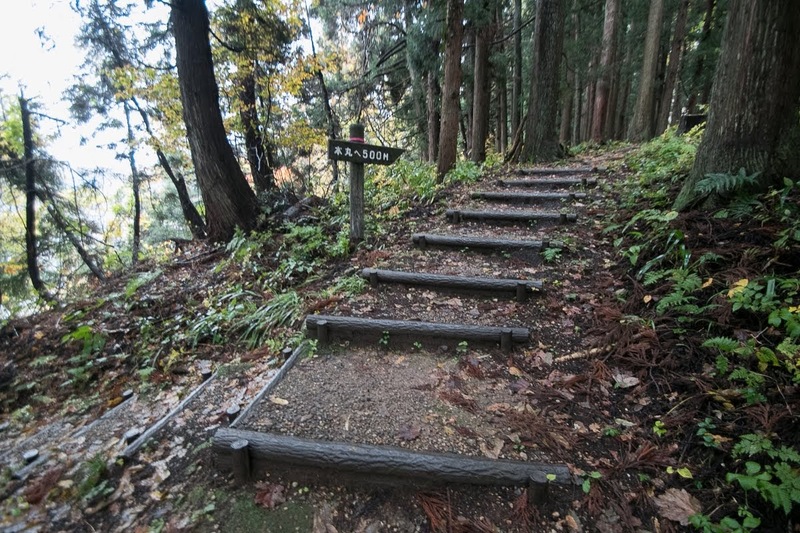 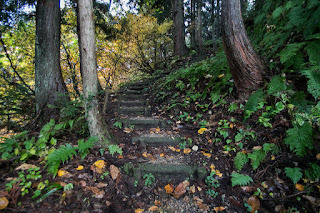 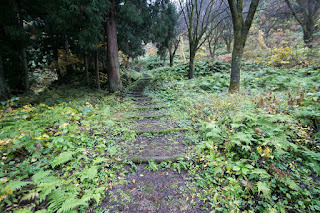 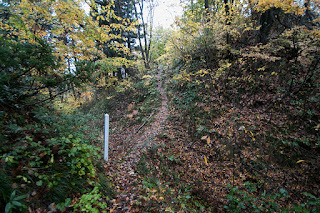 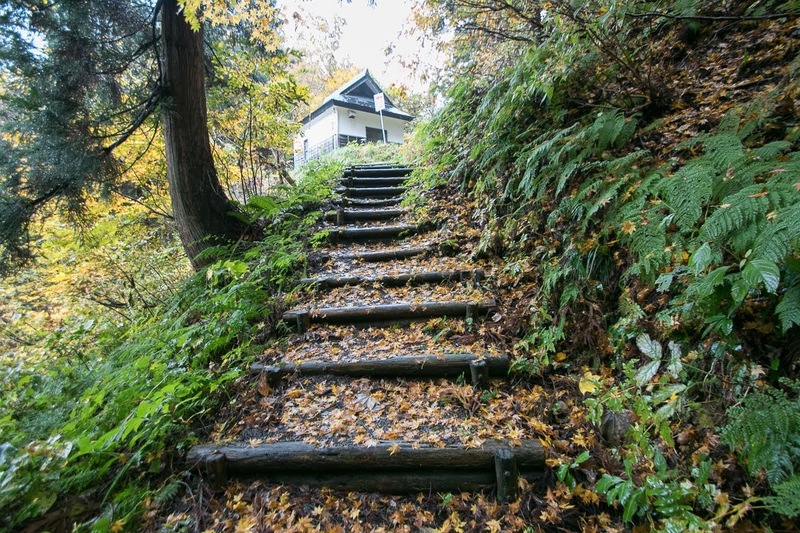 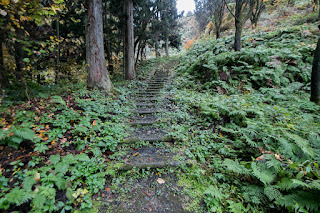 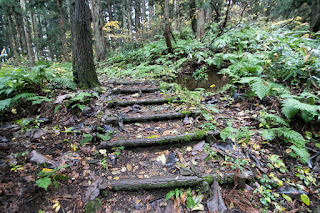 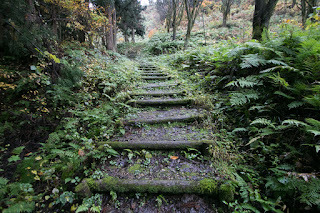 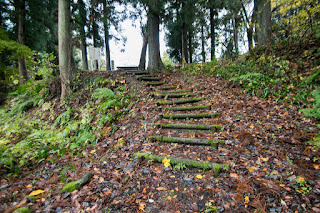 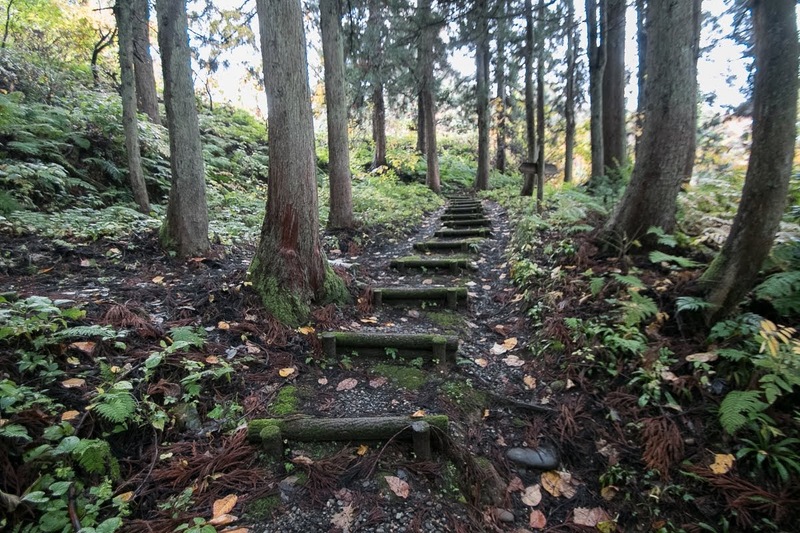 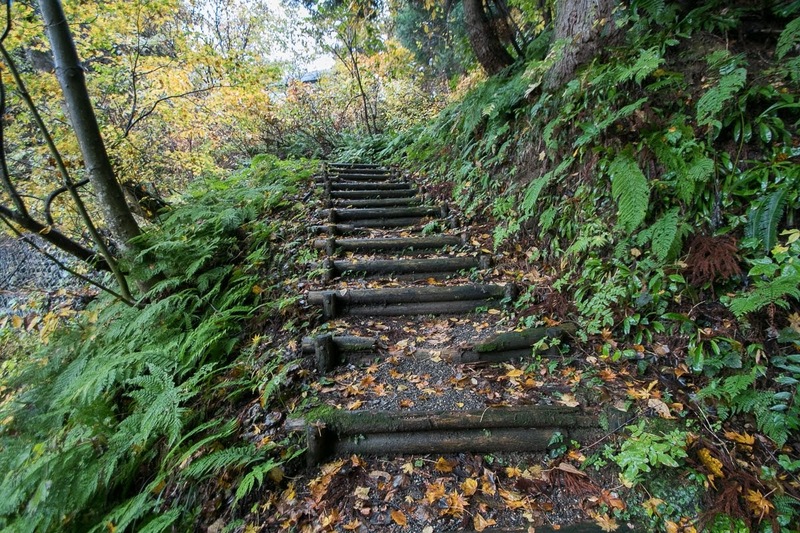 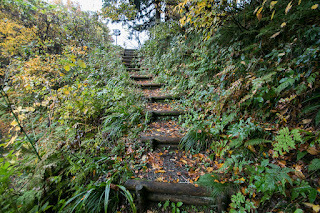 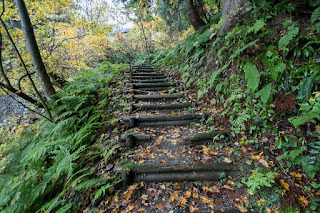 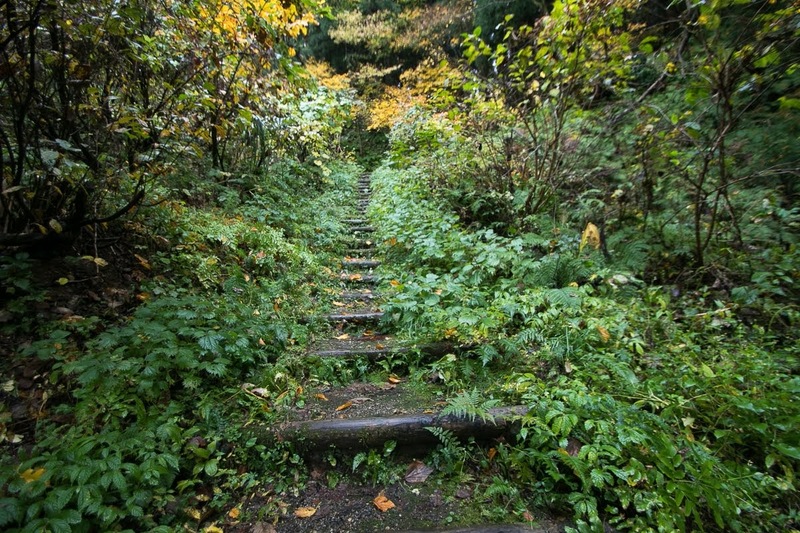 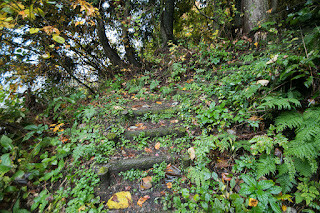 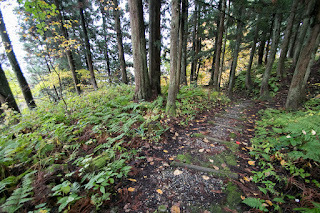 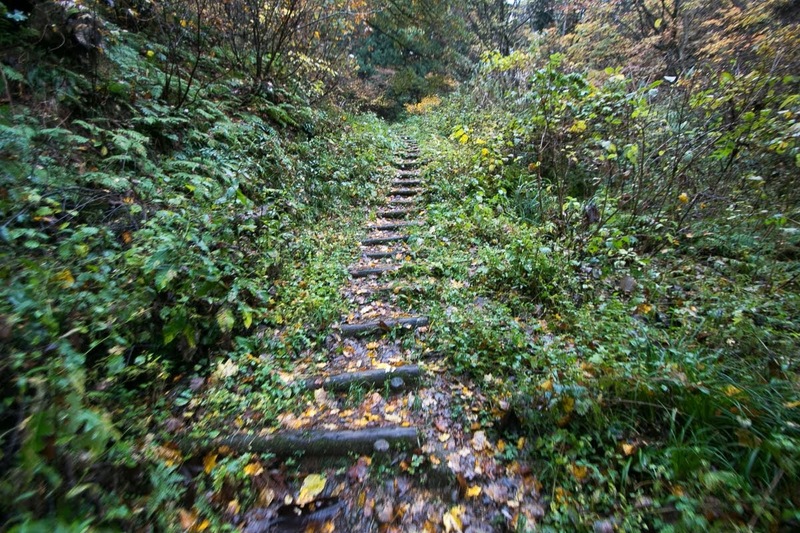 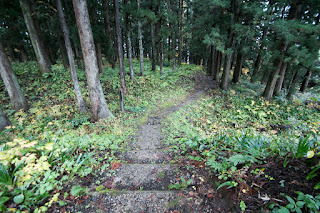 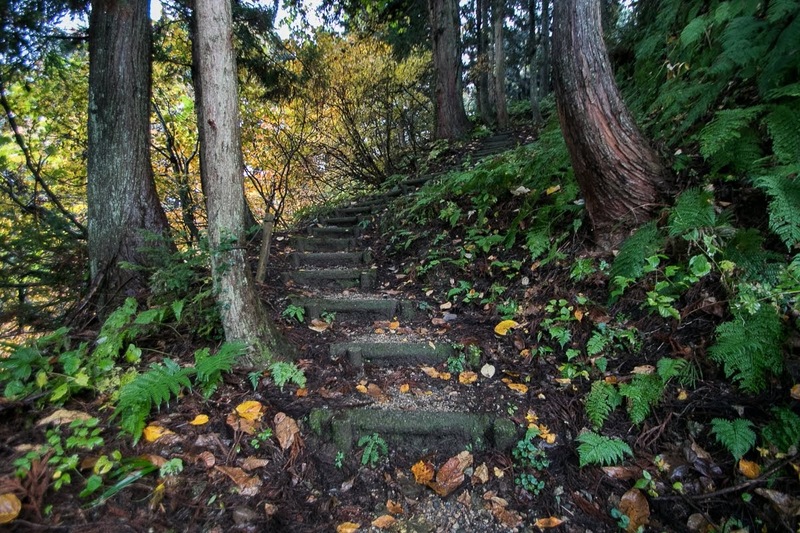 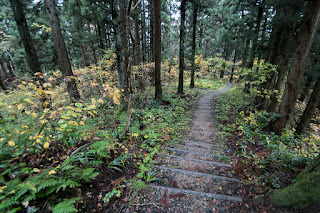 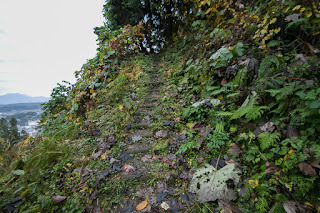 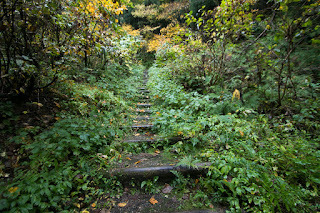 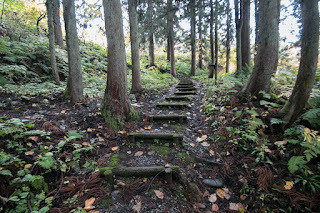 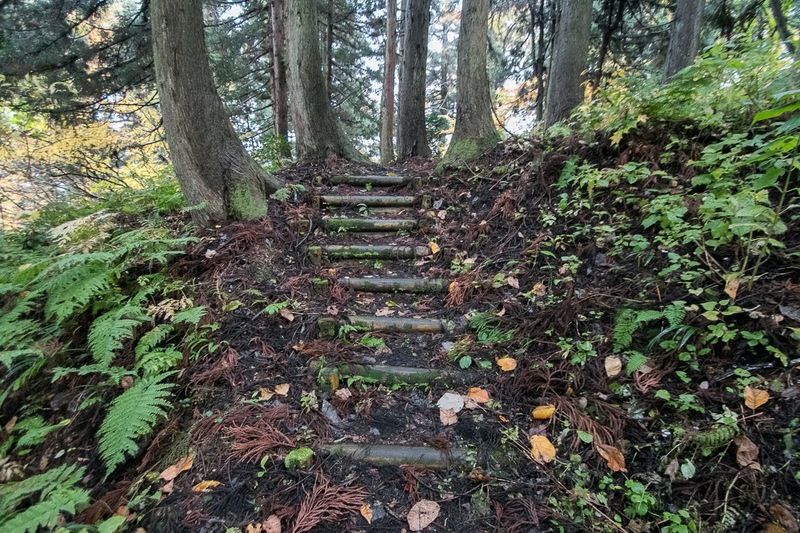 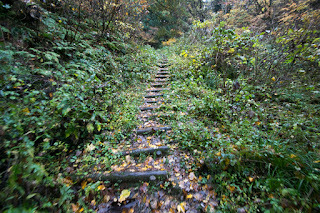 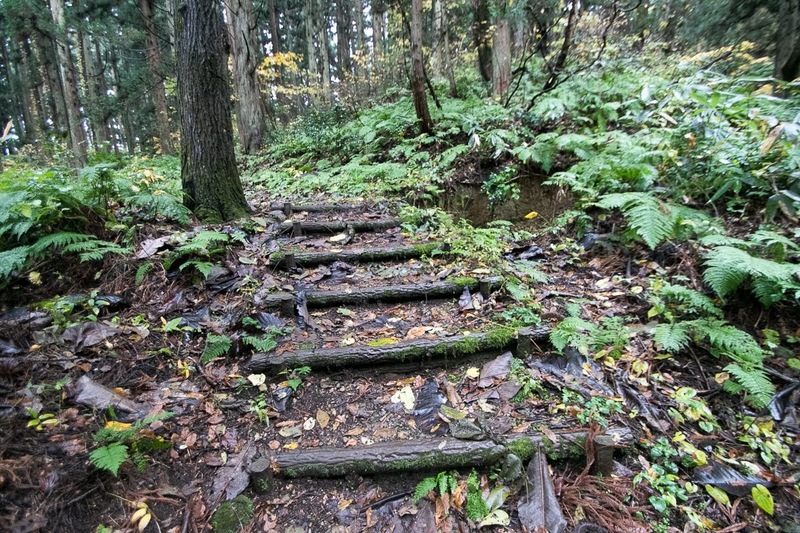 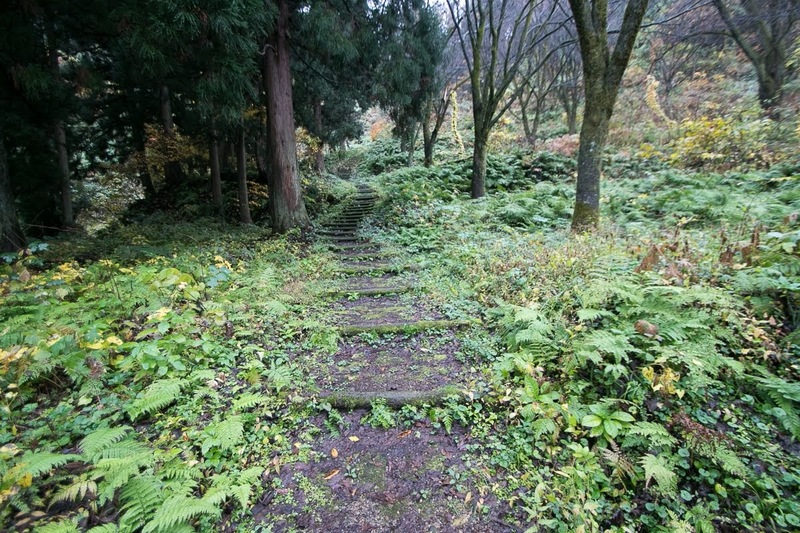 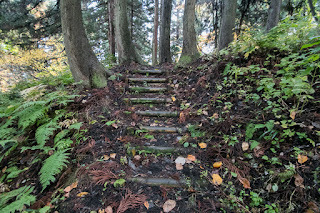 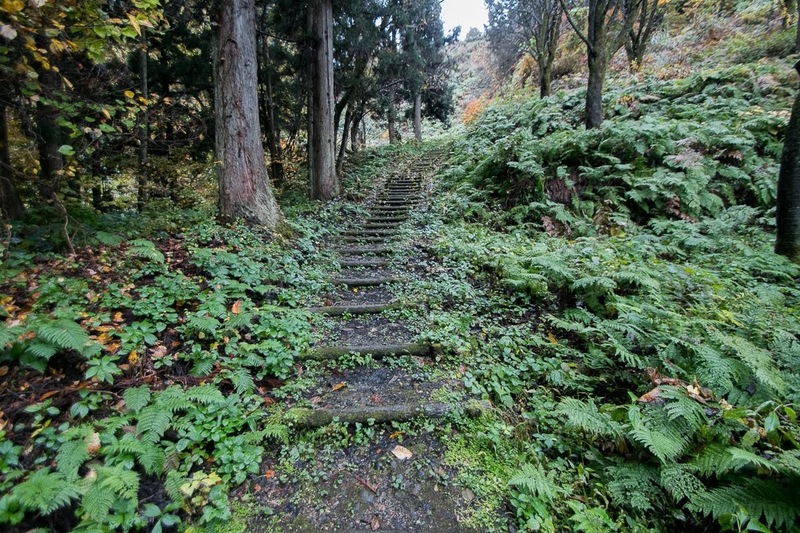 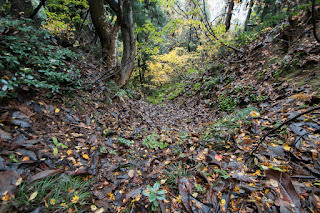 But the inclination is steep and it is danger just stepping down and it is difficult to climb it. 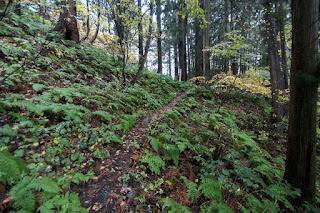 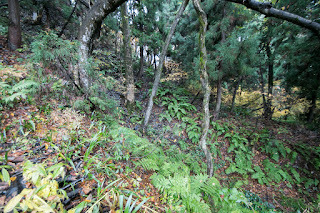 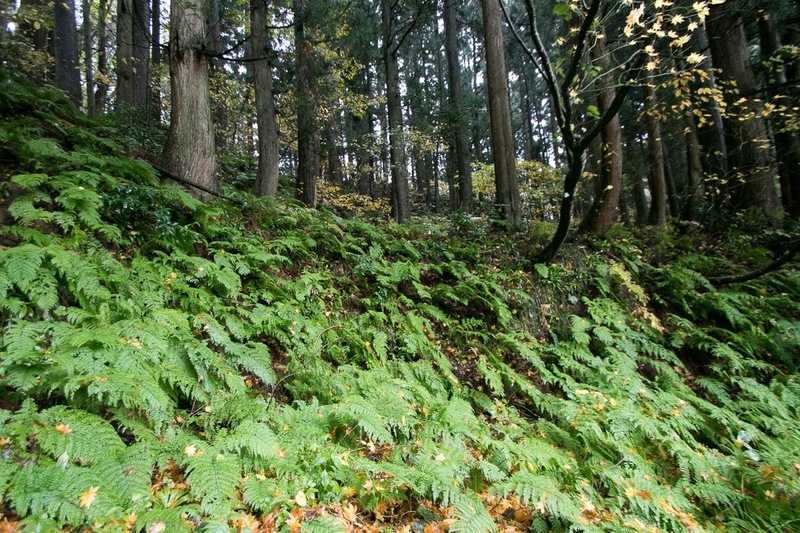 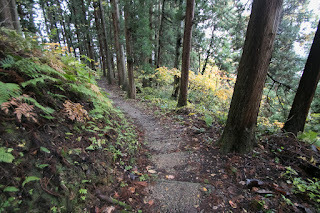 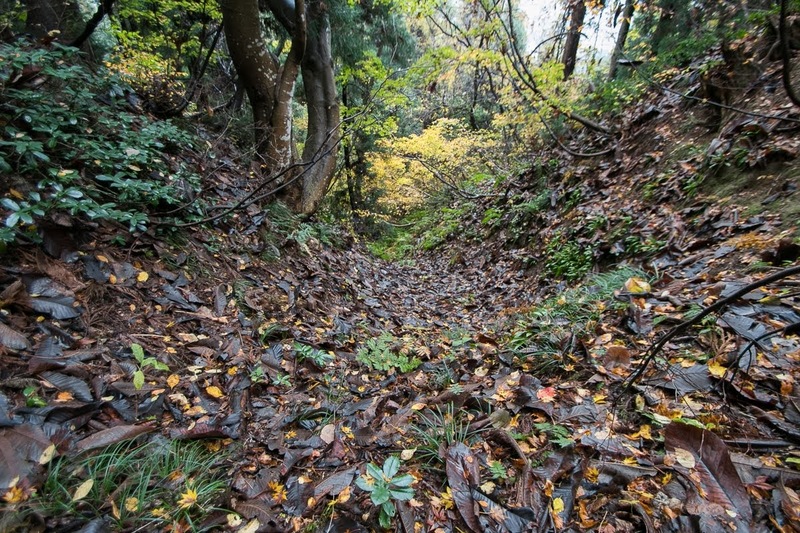 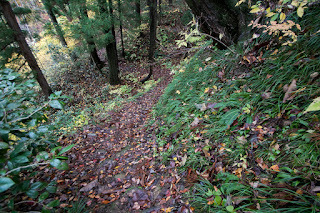 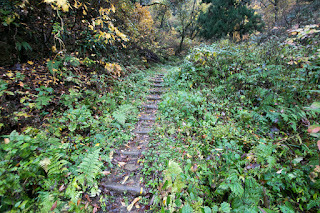 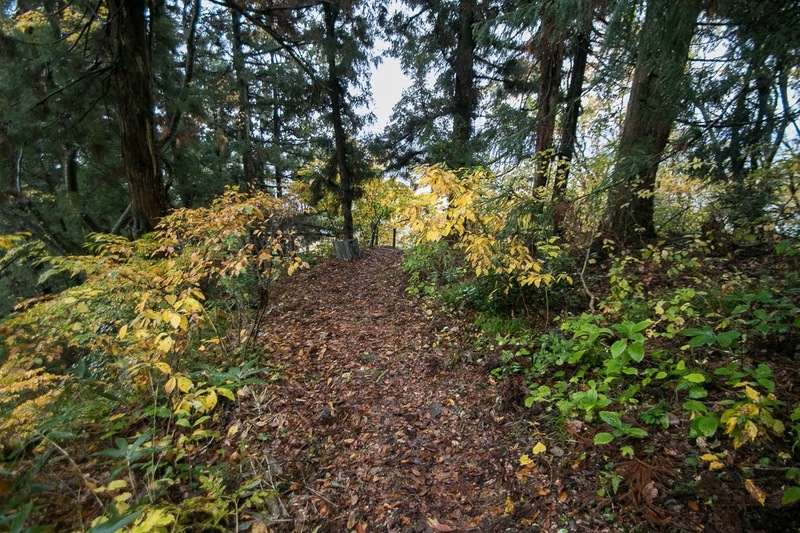 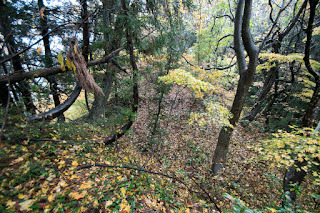 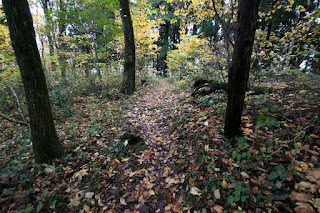 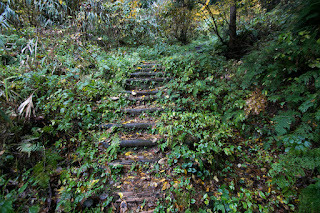 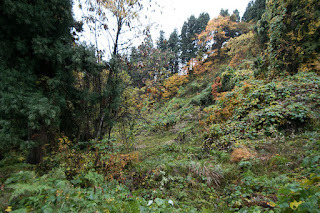 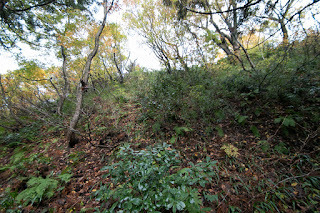 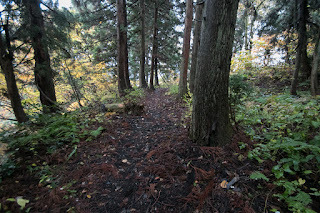 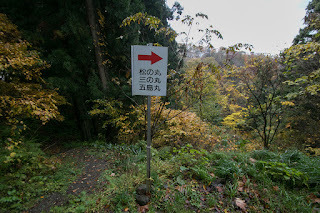 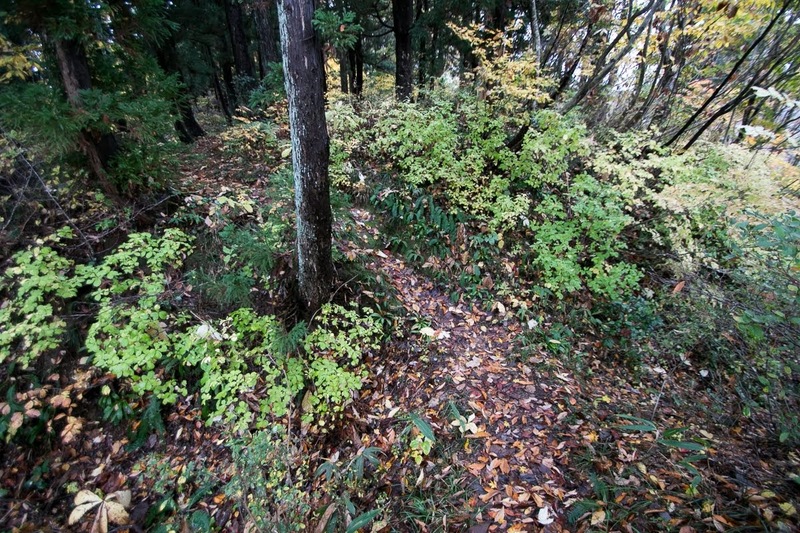 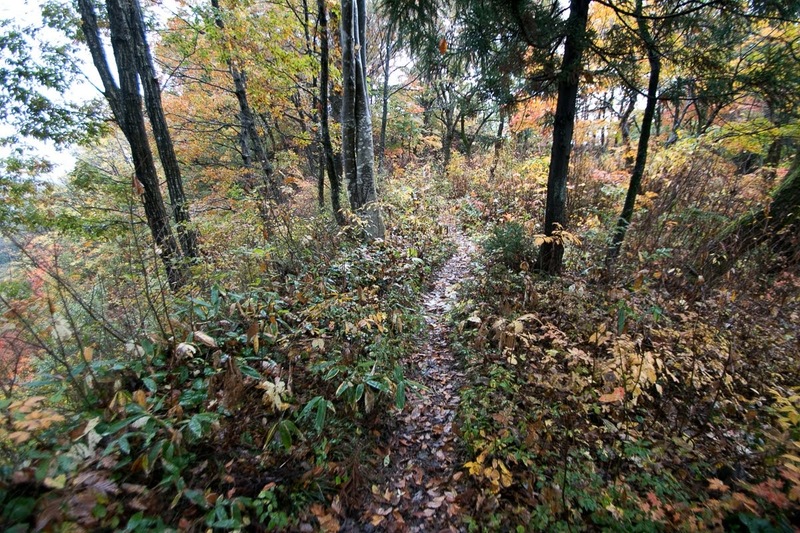 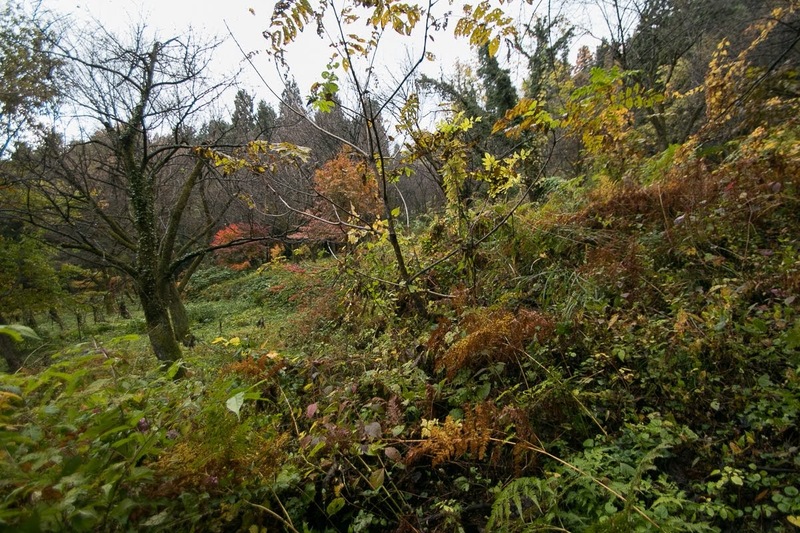 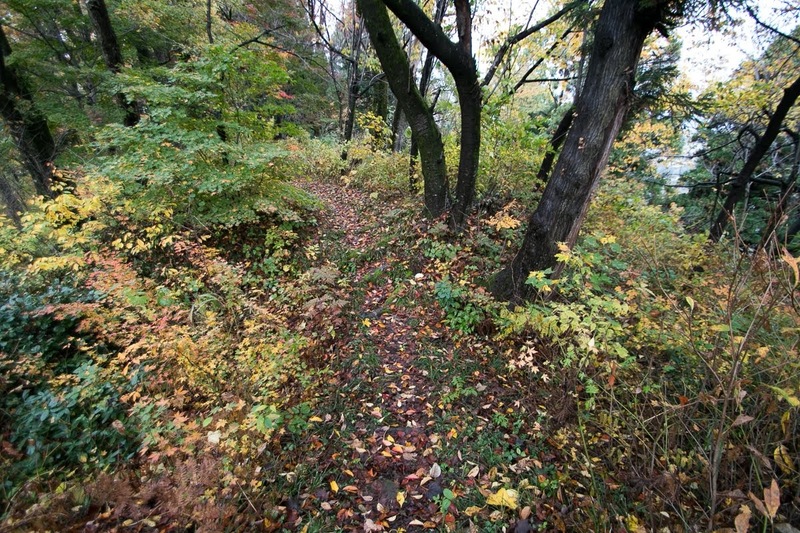 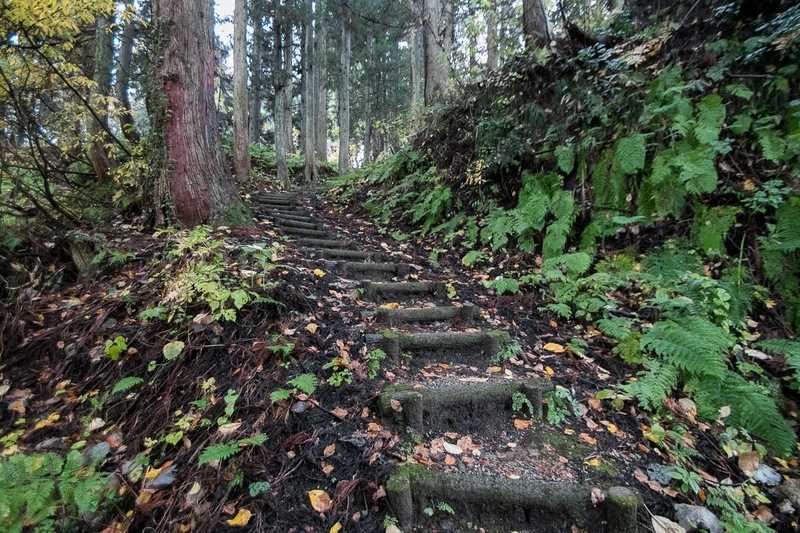 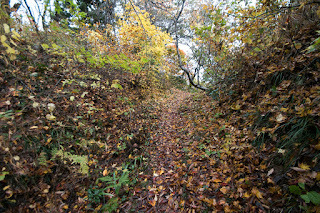 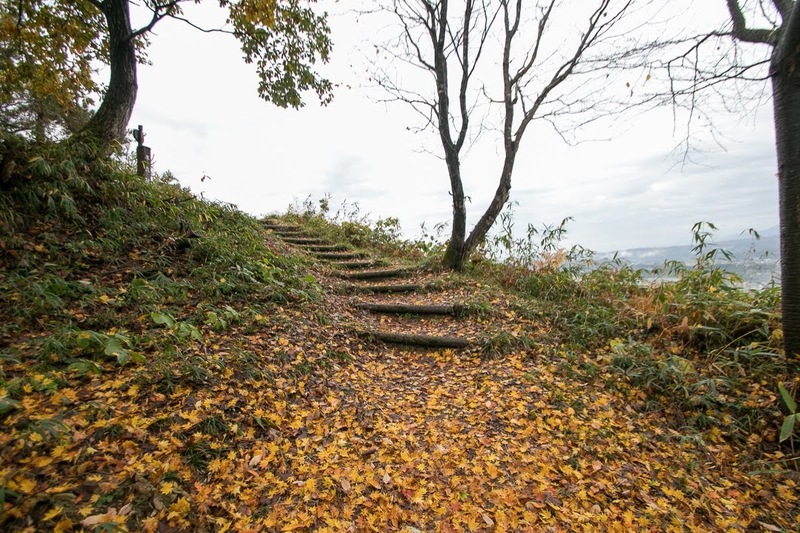 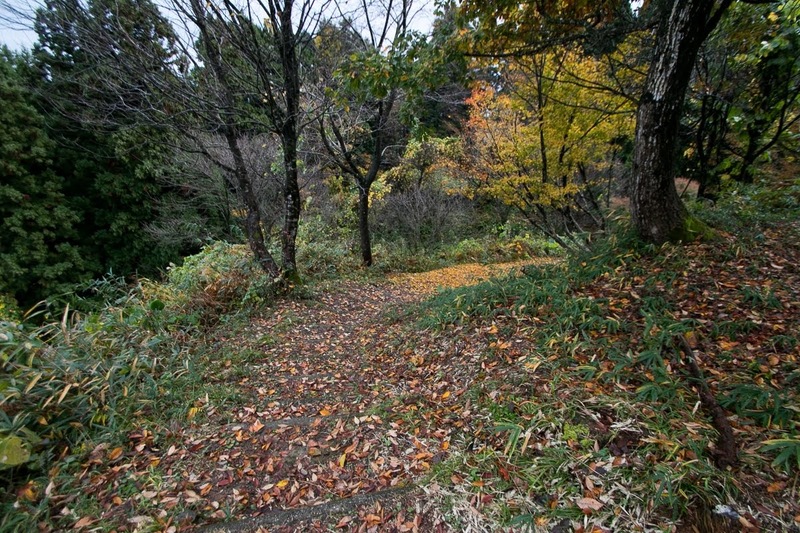 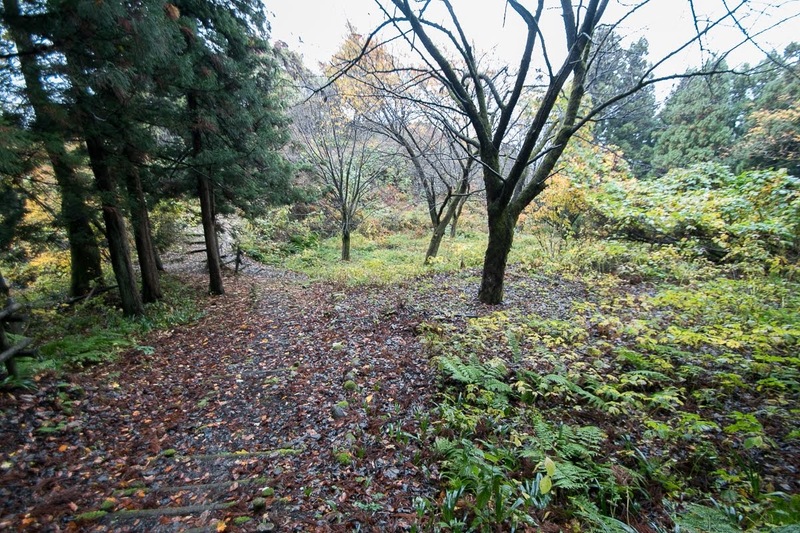 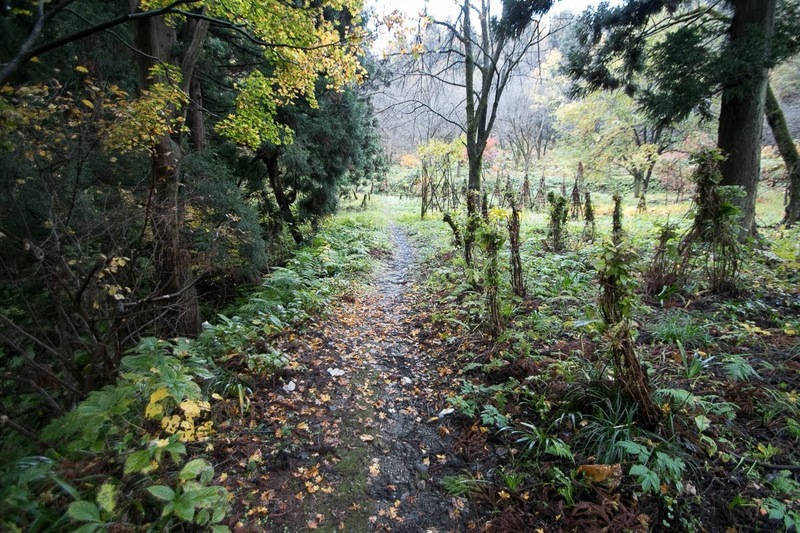 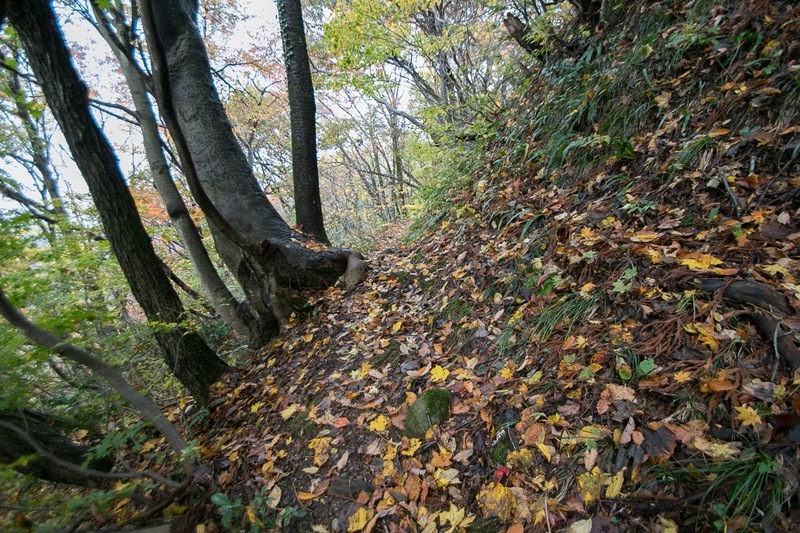 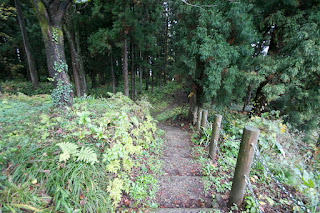 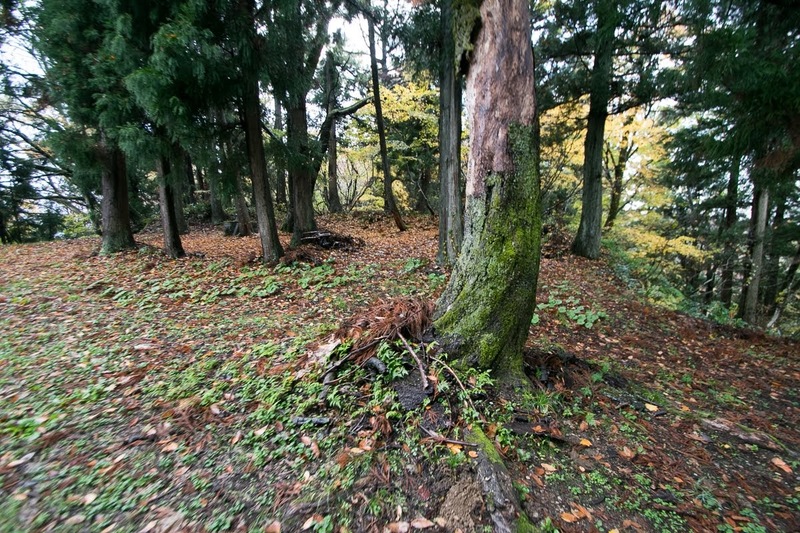 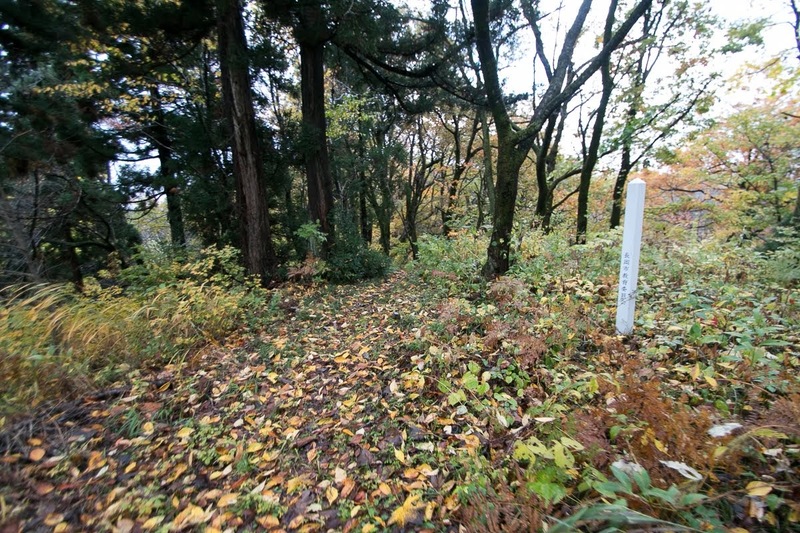 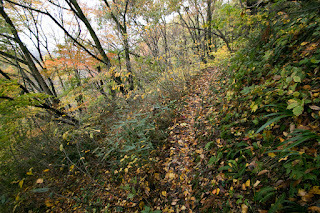 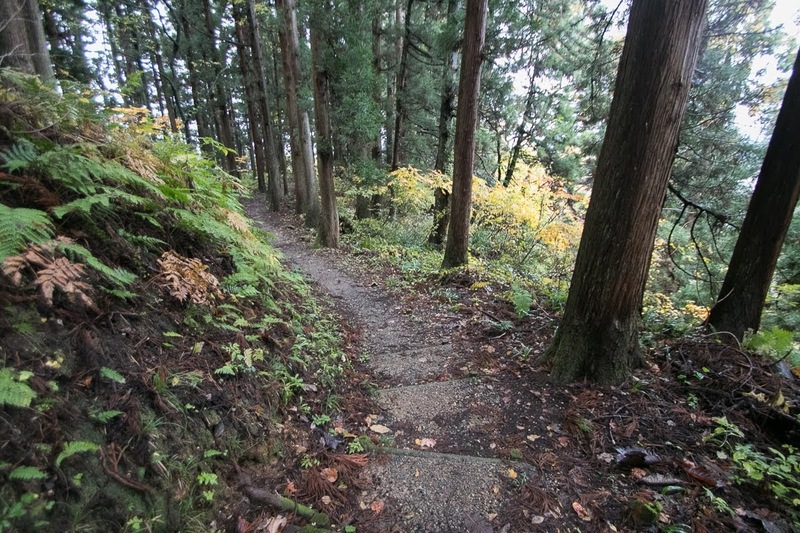 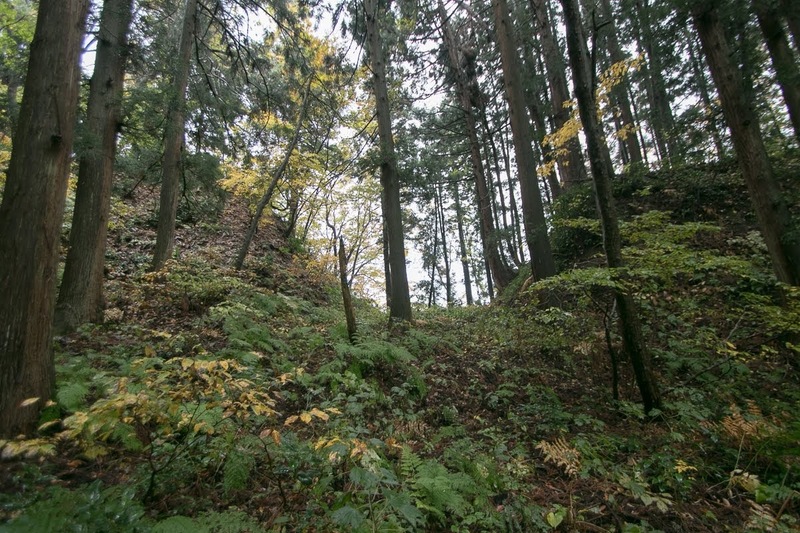 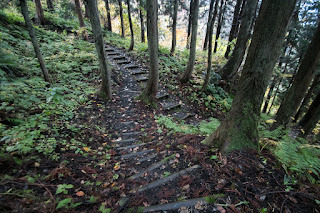 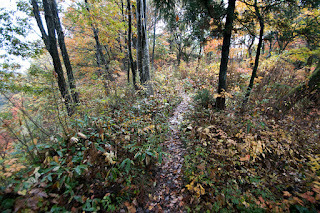 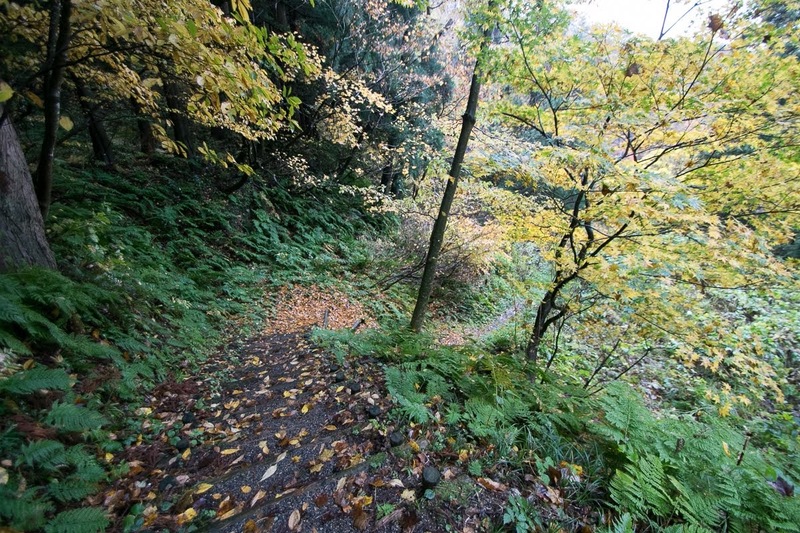 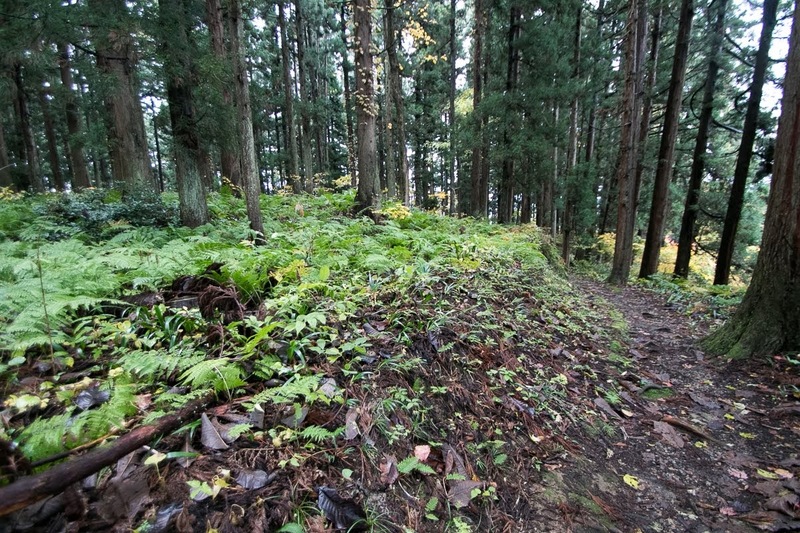 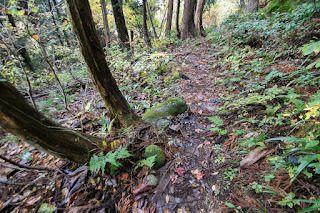 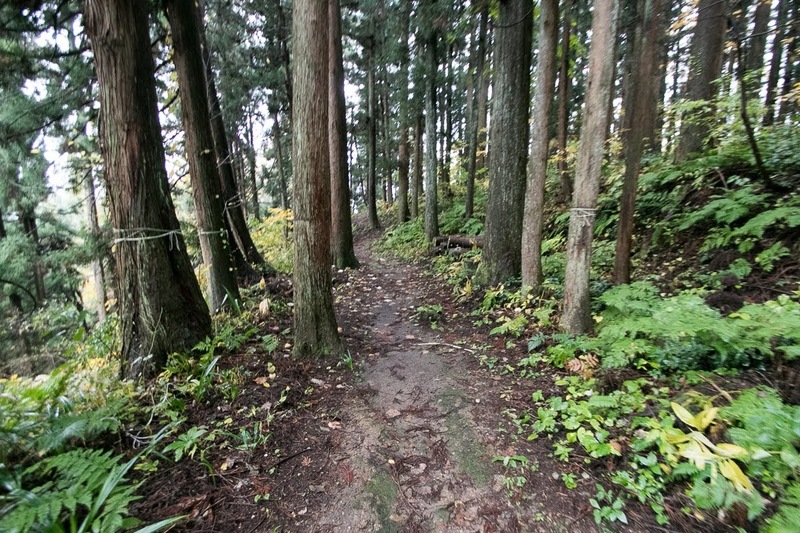 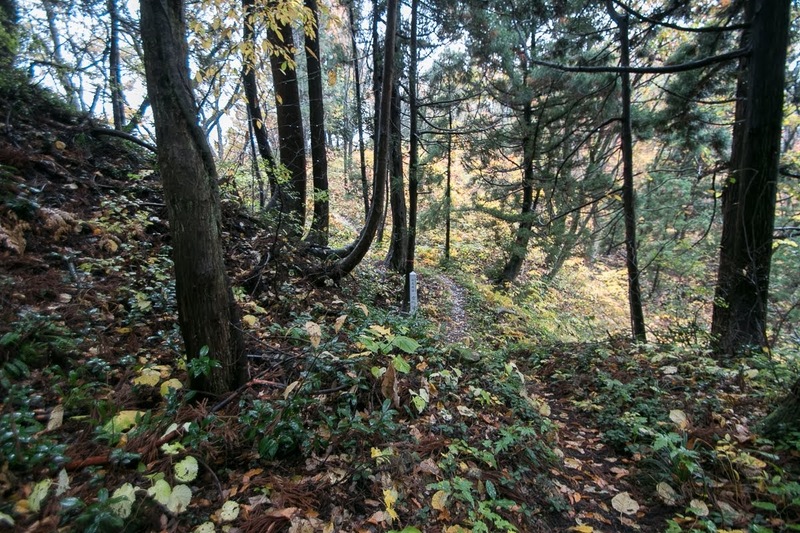 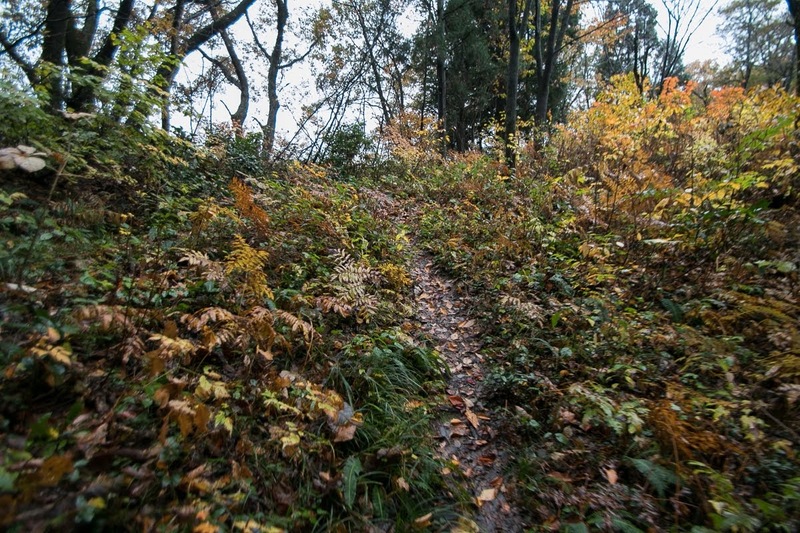 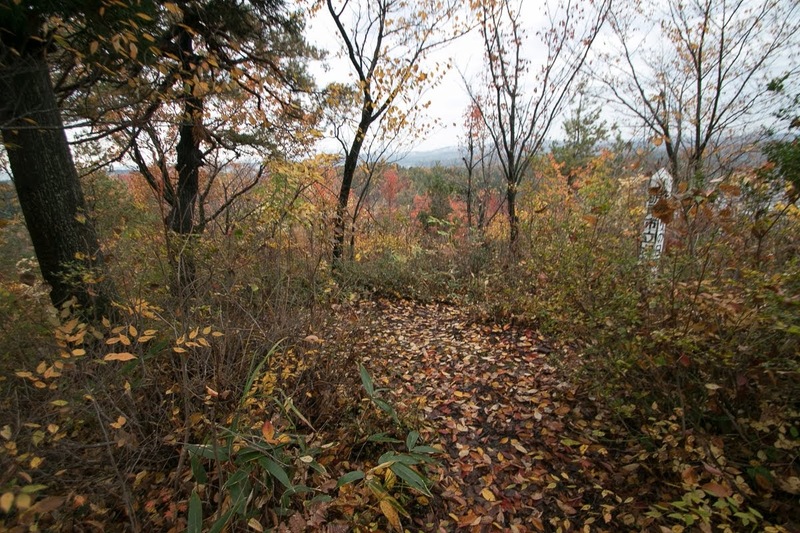 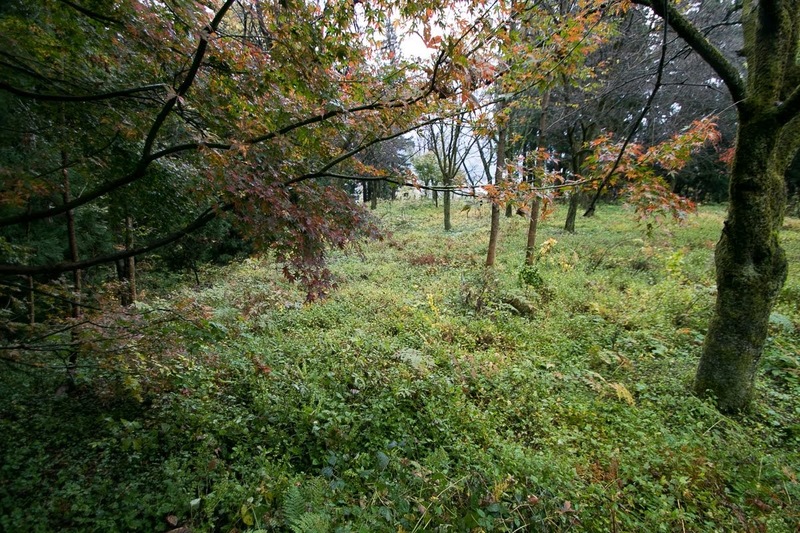 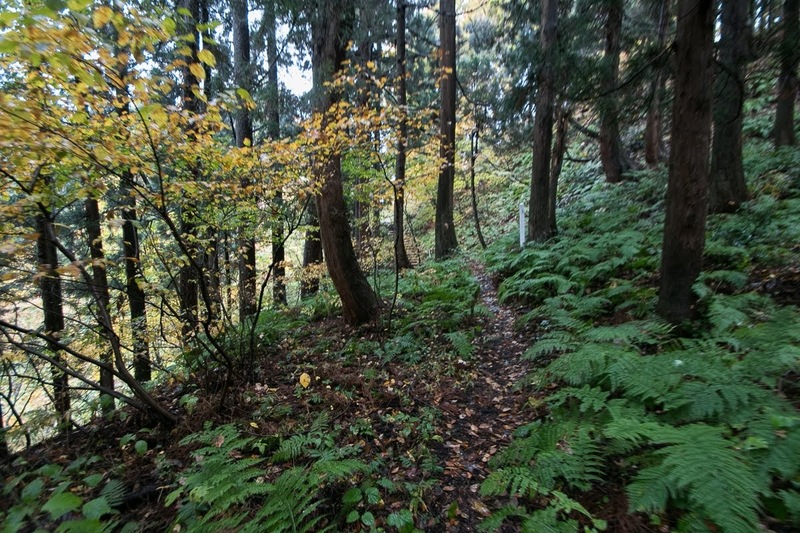 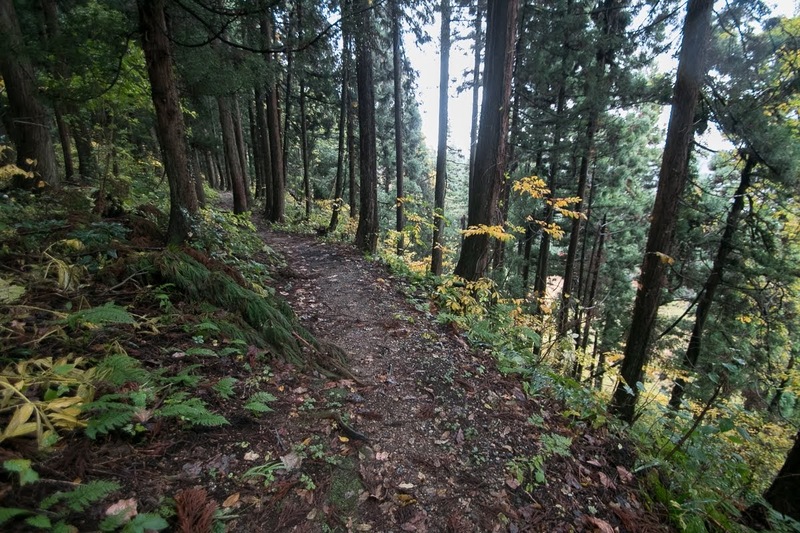 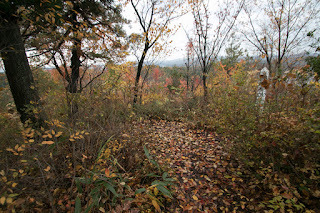 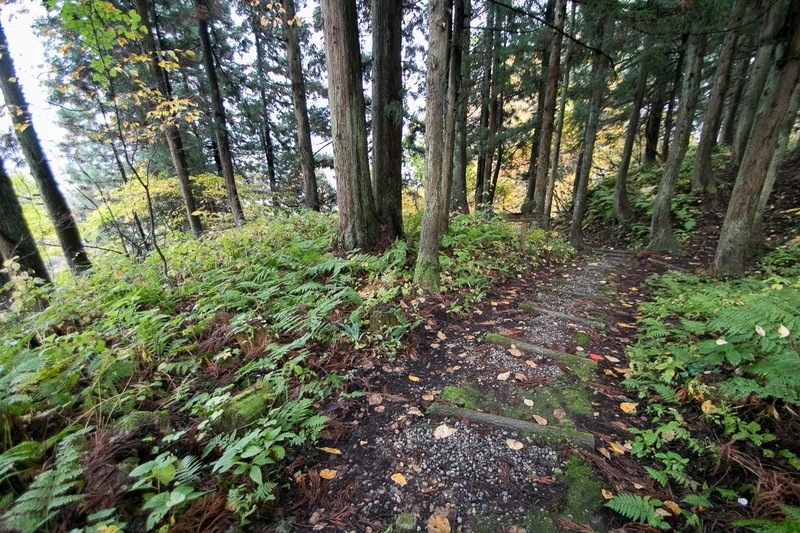 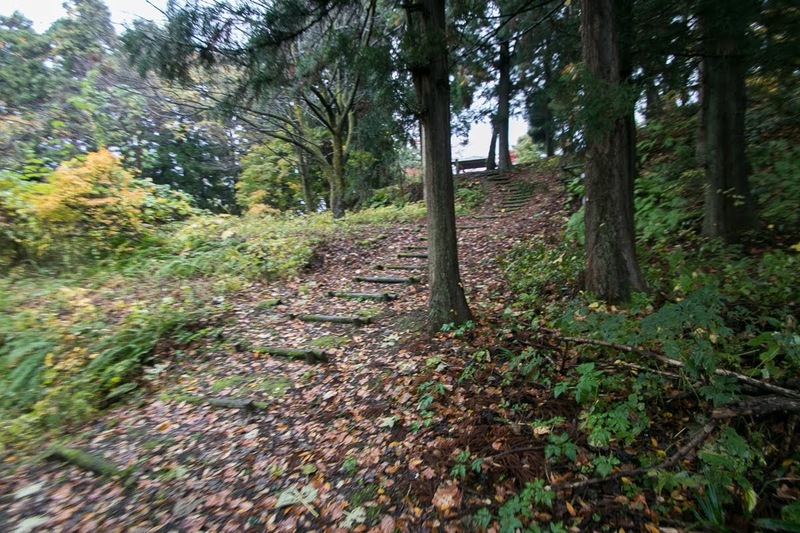 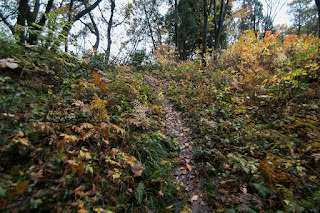 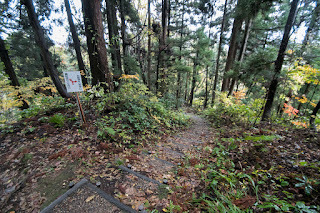 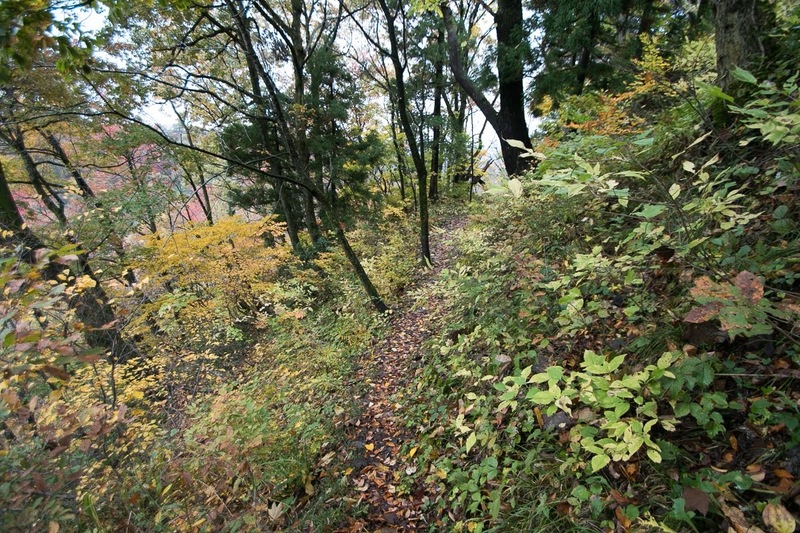 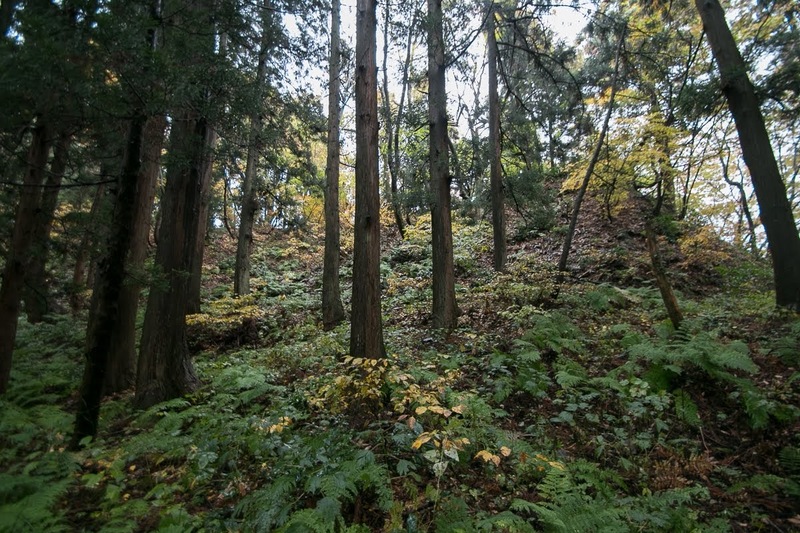 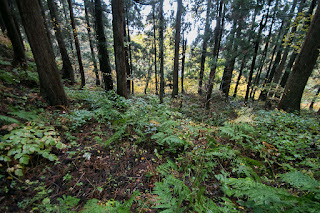 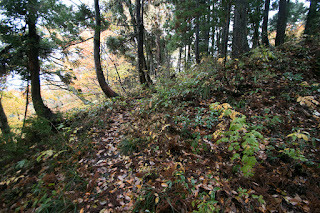 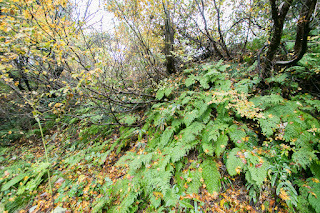 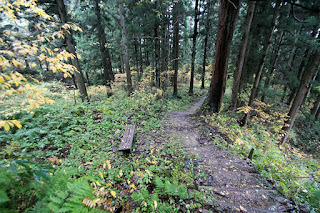 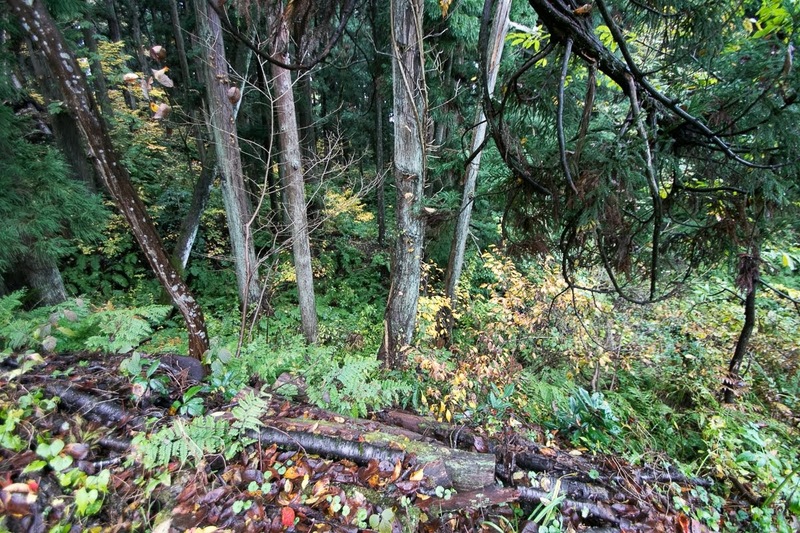 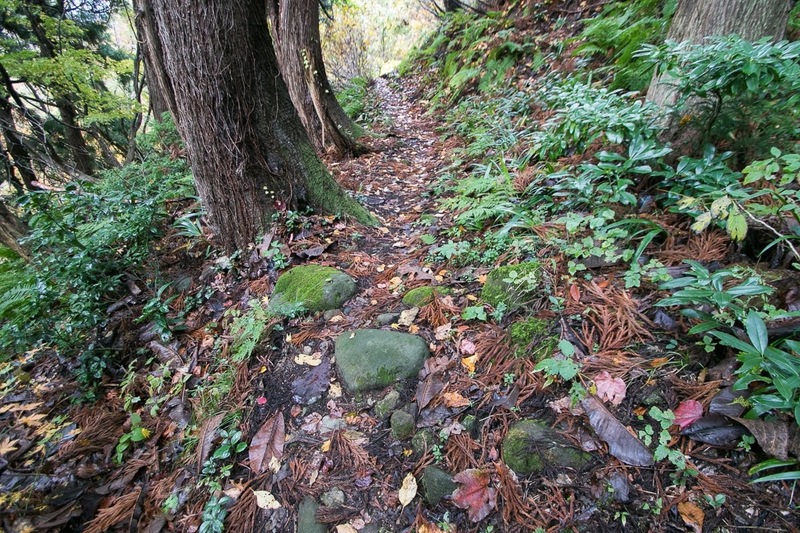 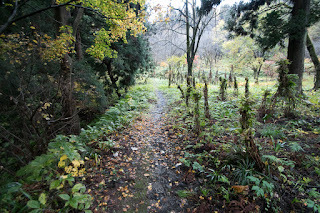 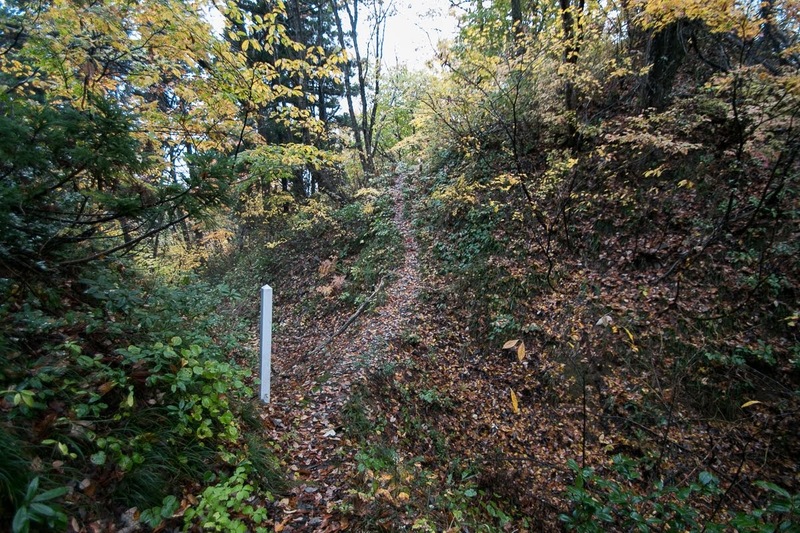 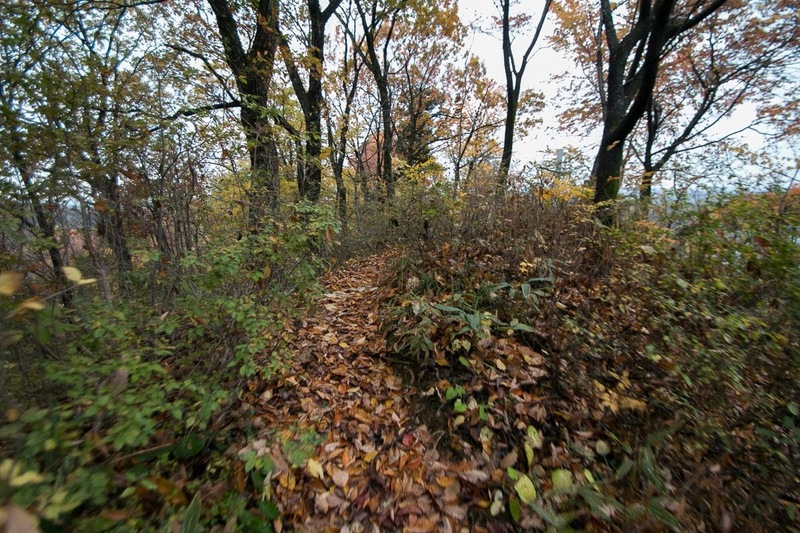 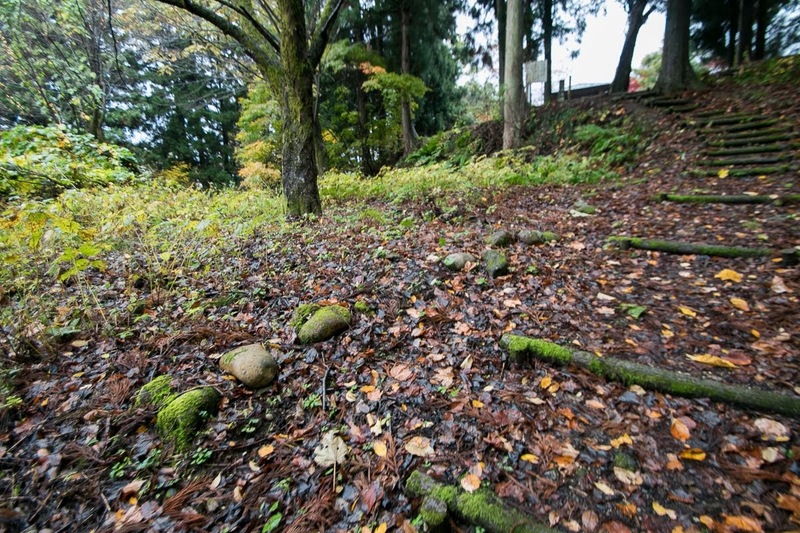 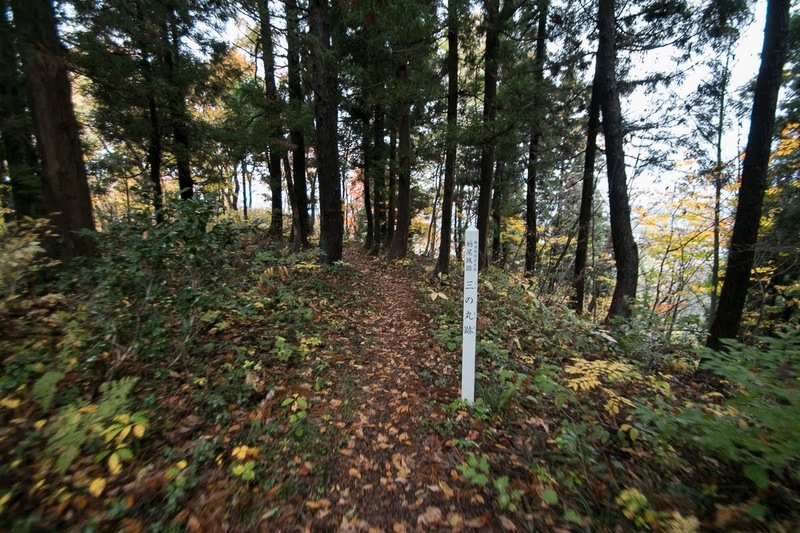 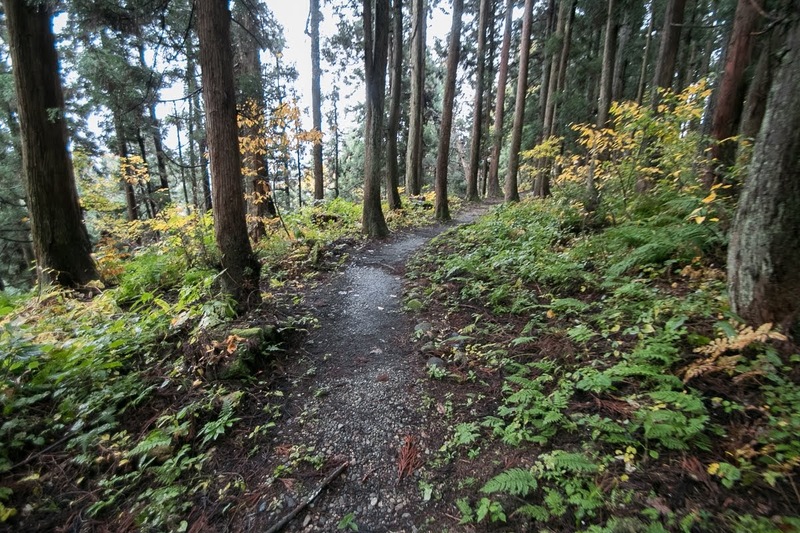 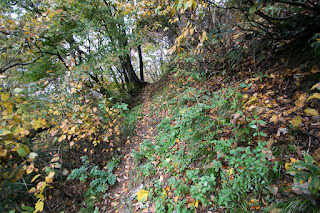 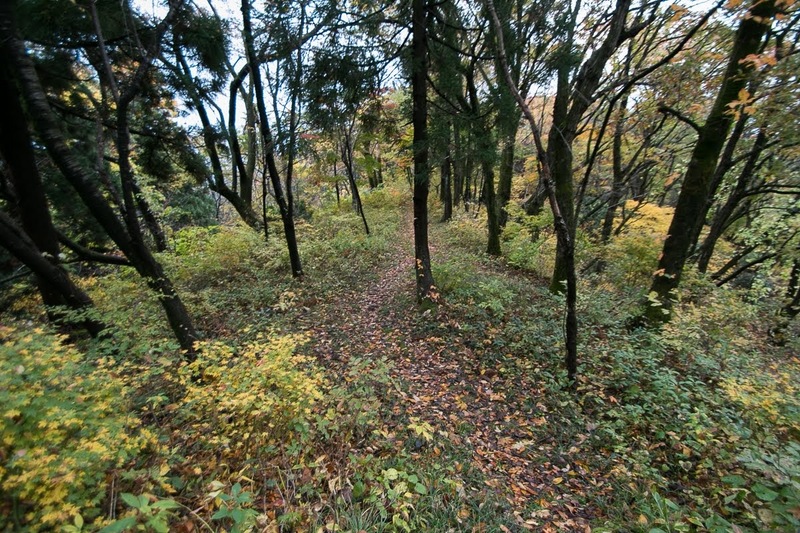 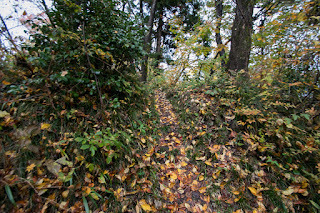 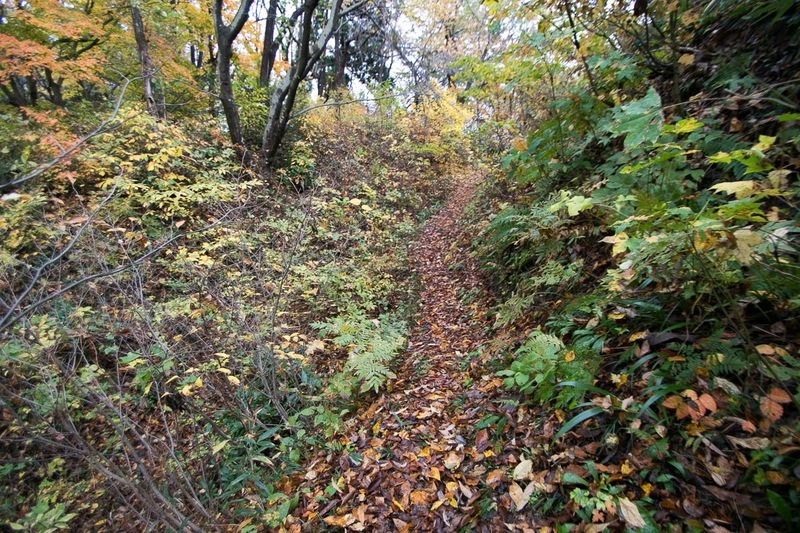 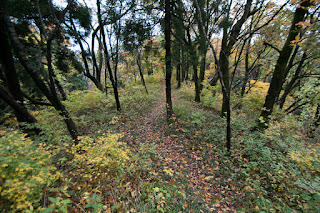 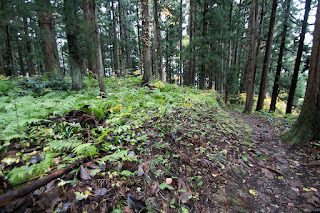 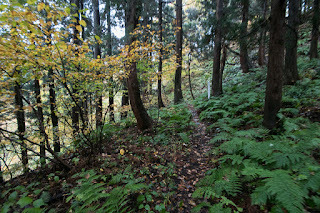 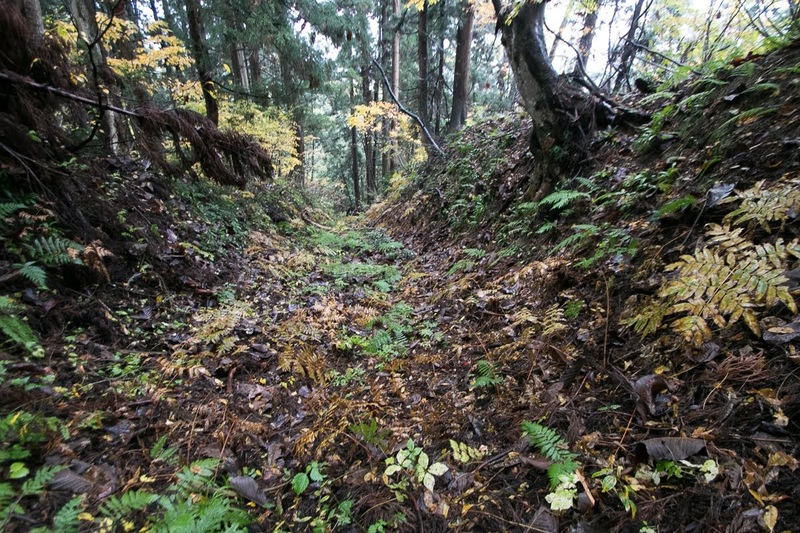 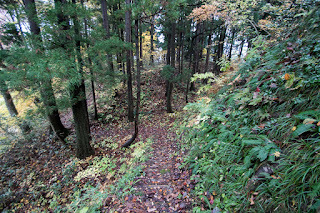 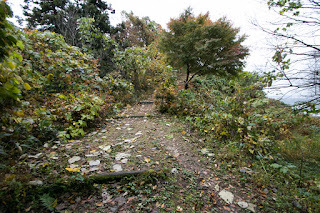 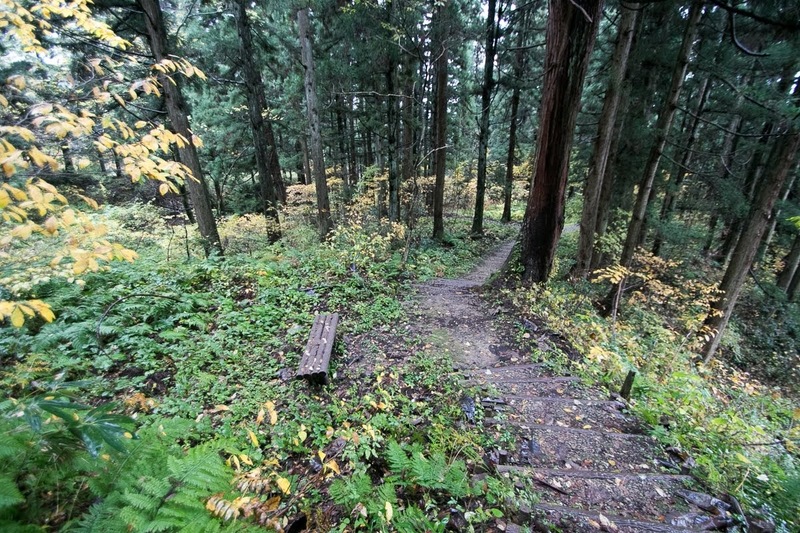 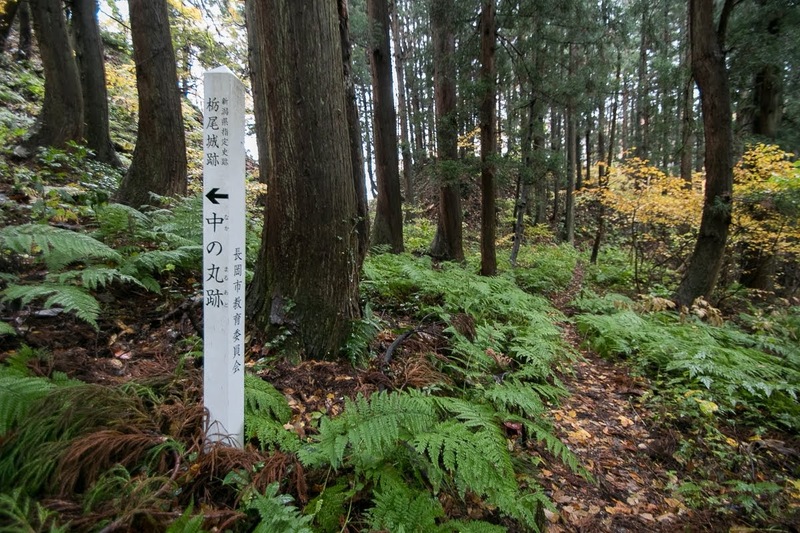 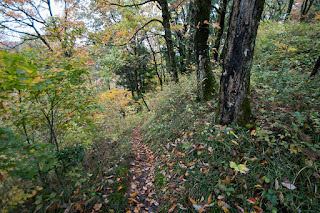 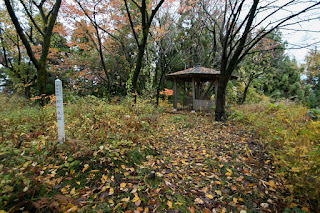 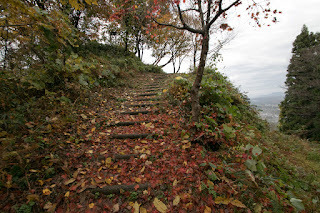 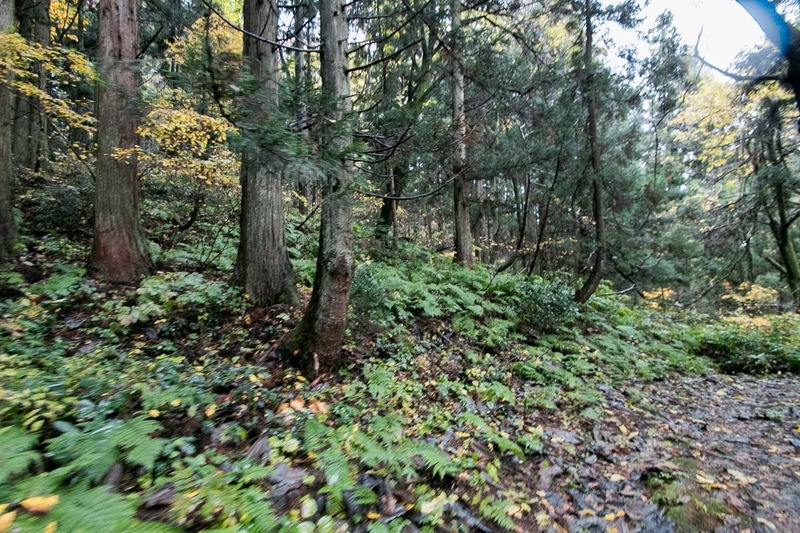 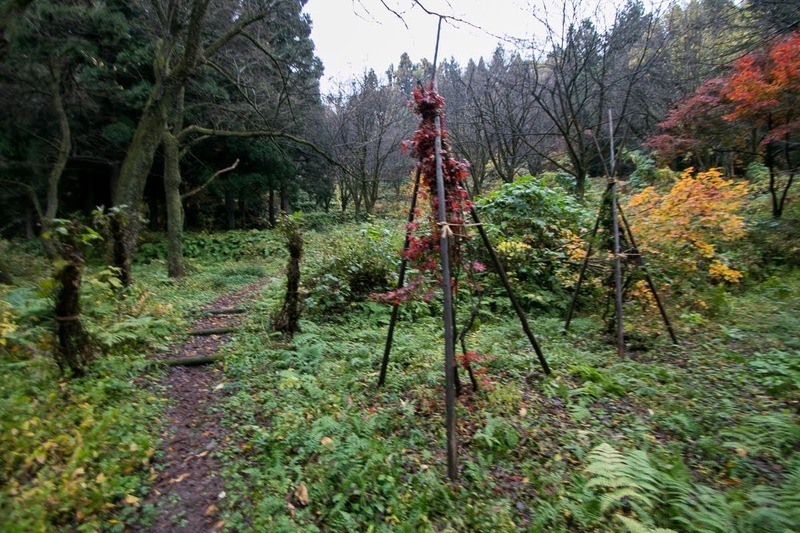 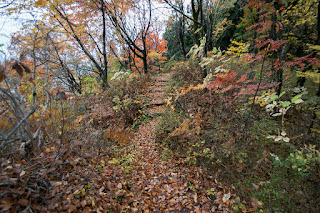 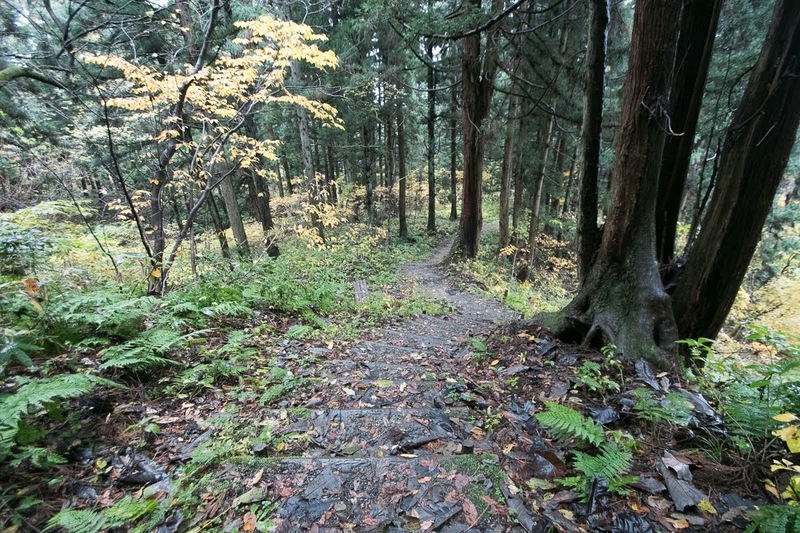 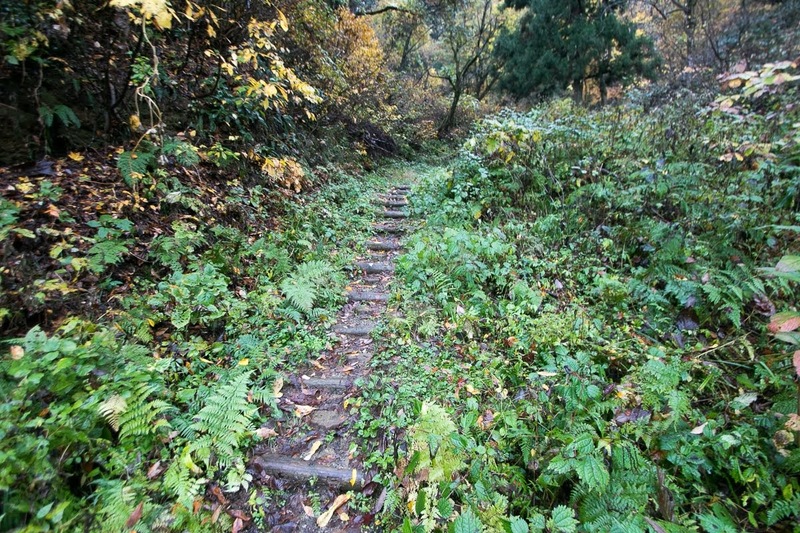 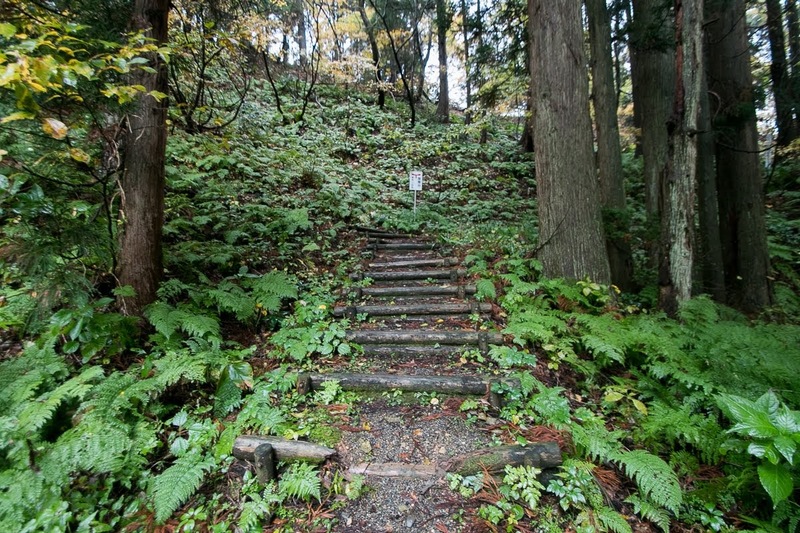 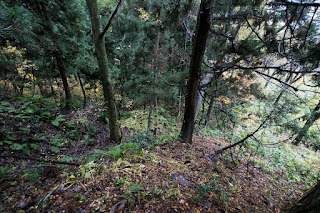 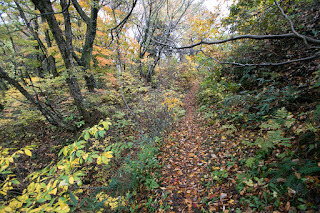 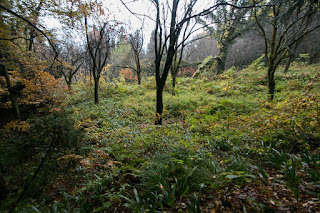 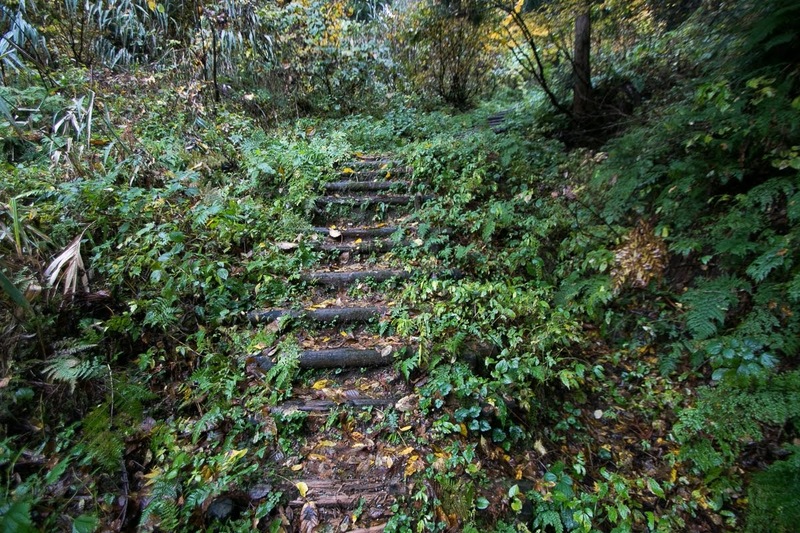 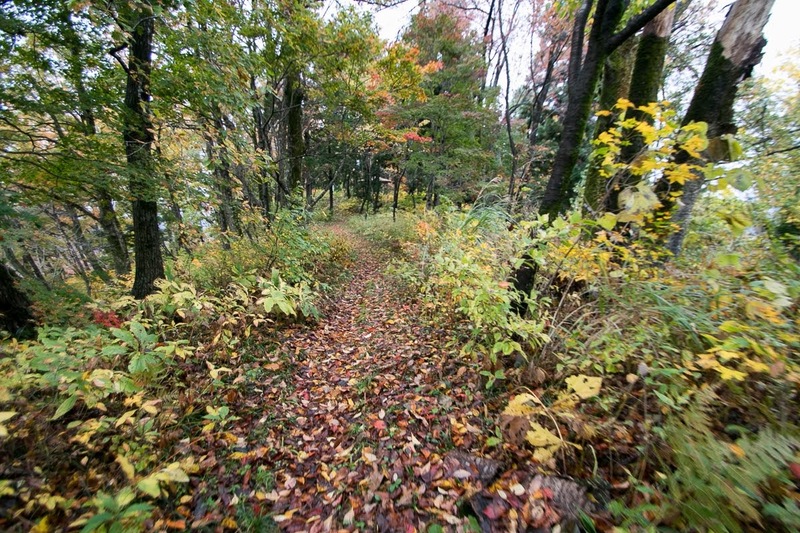 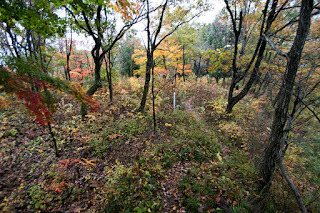 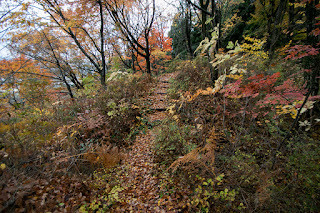 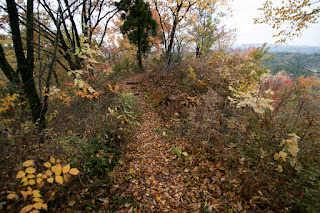 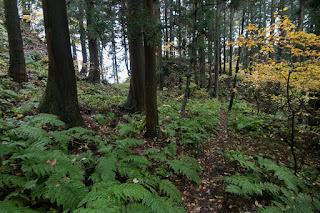 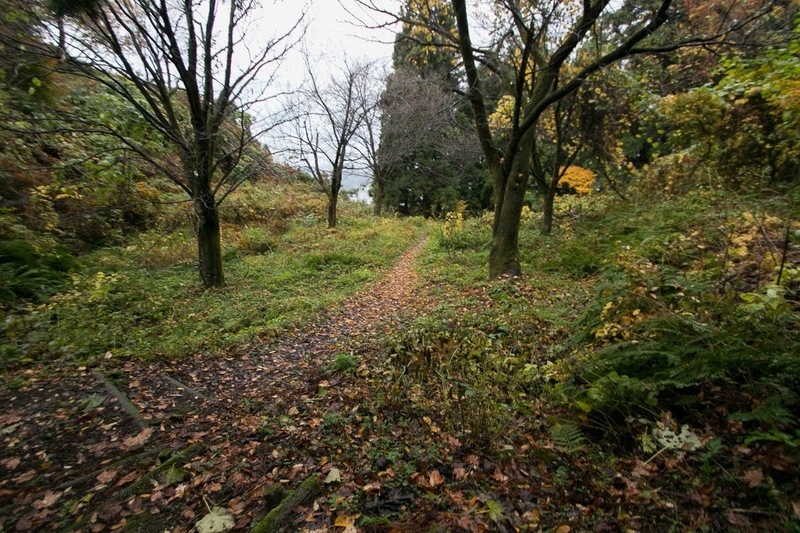 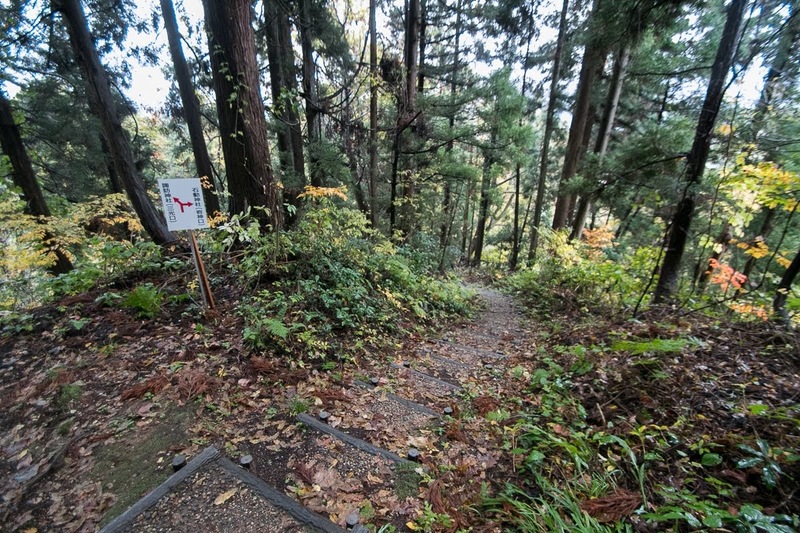 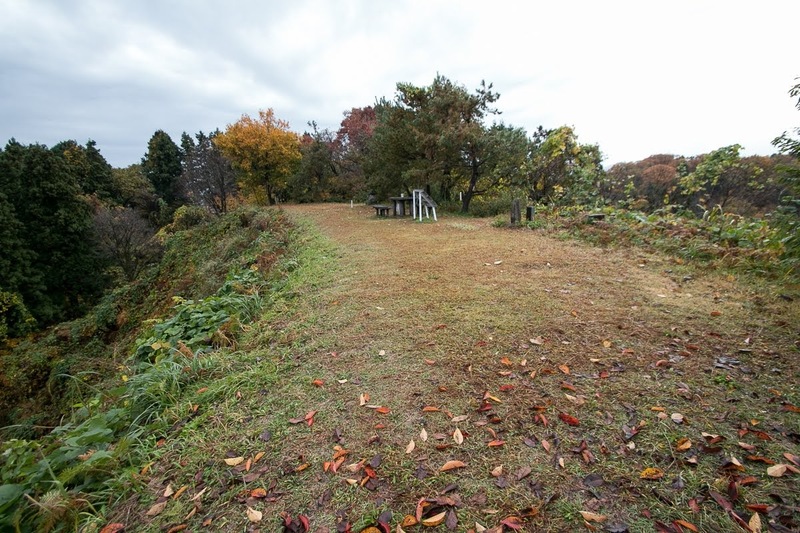 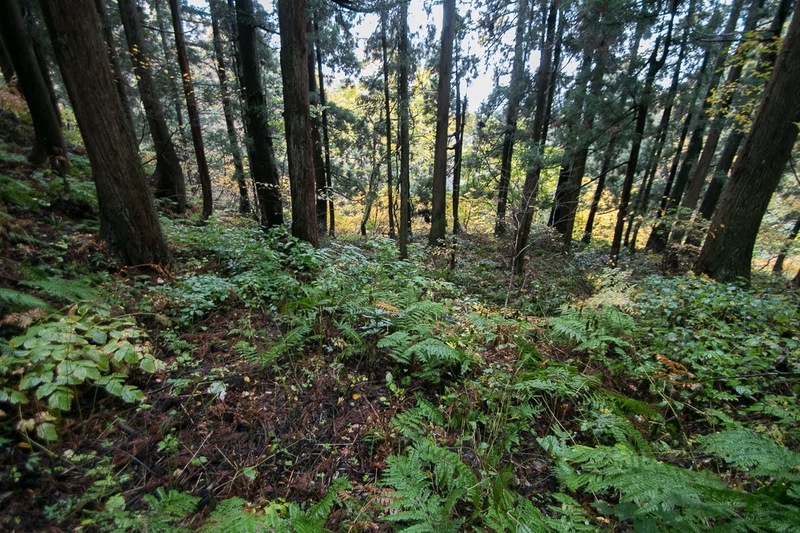 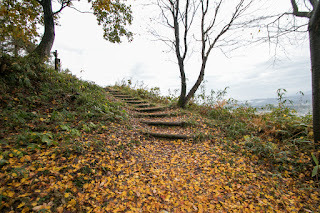 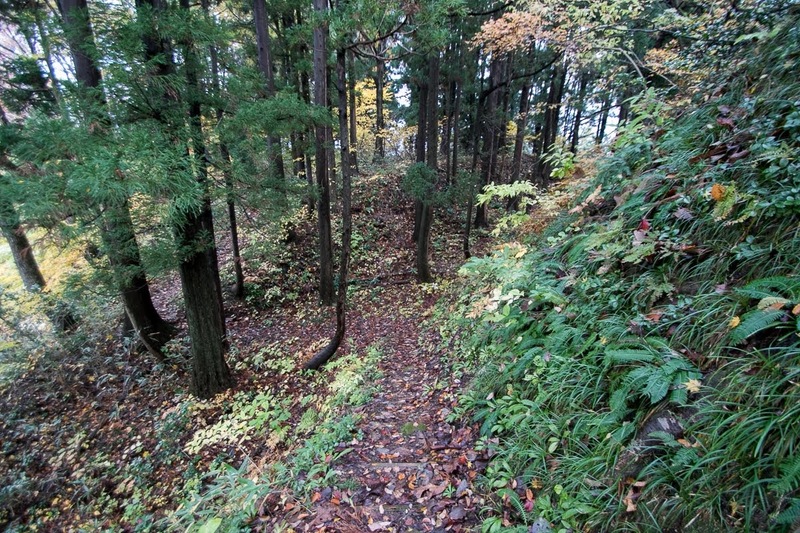 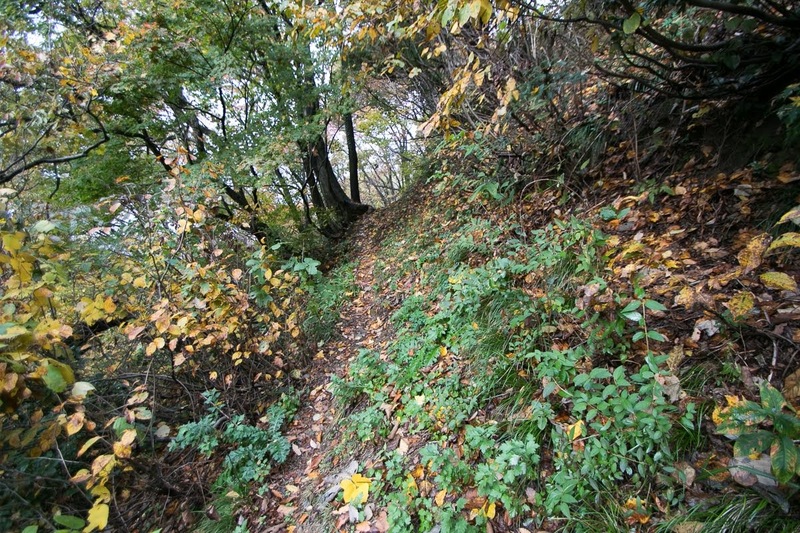 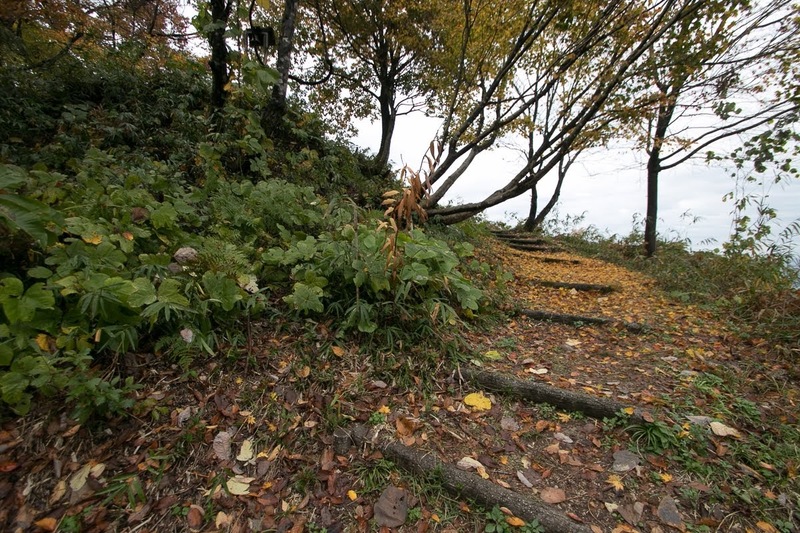 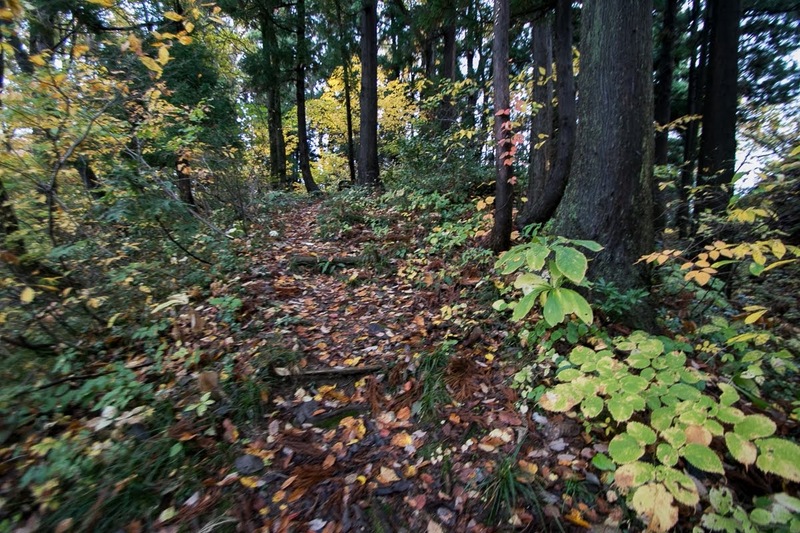 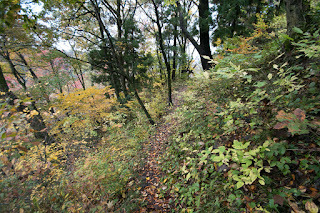 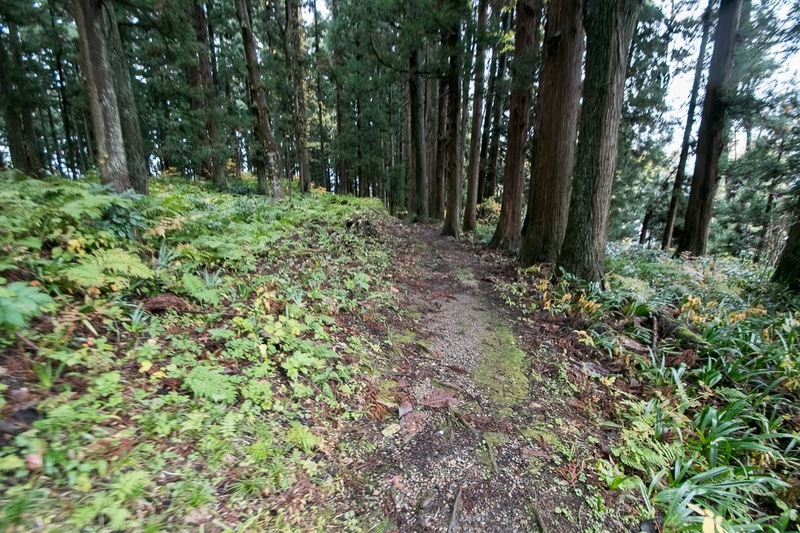 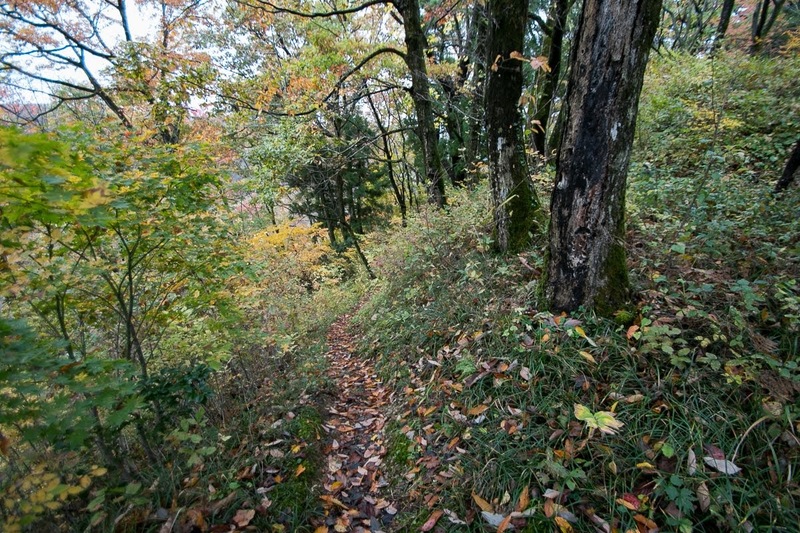 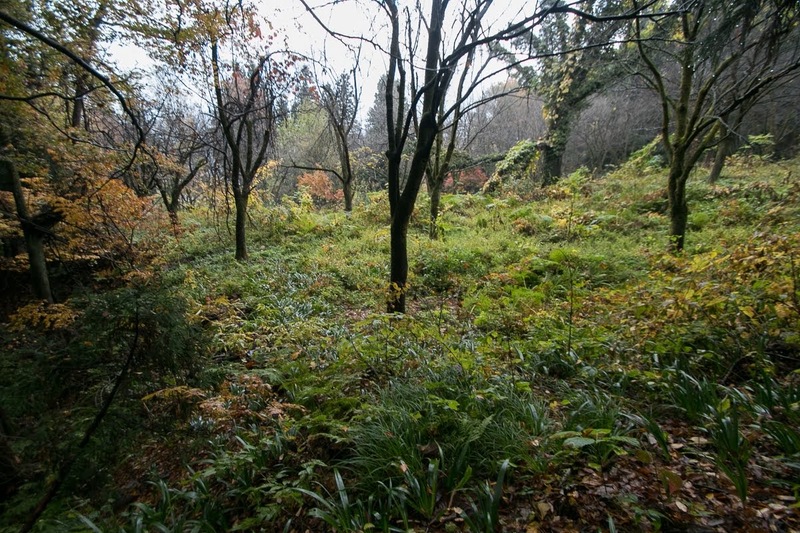 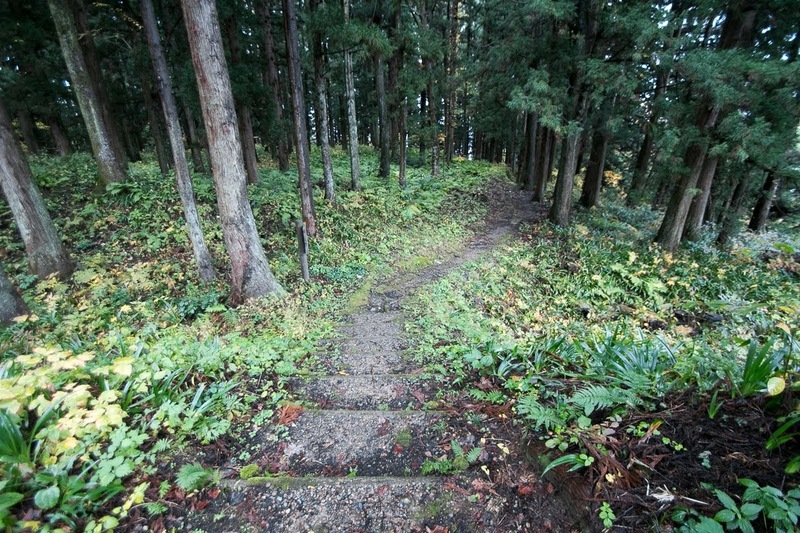 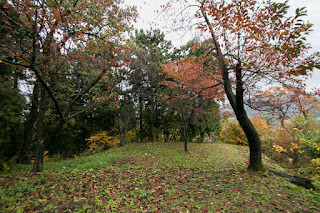 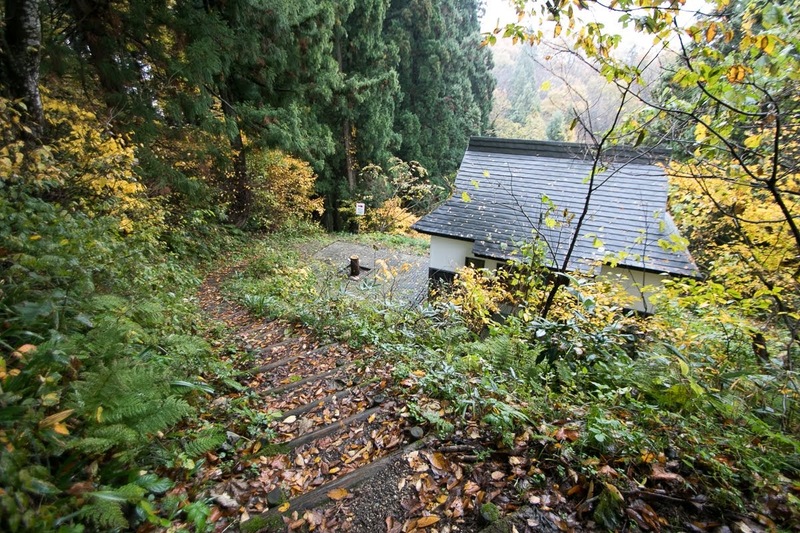 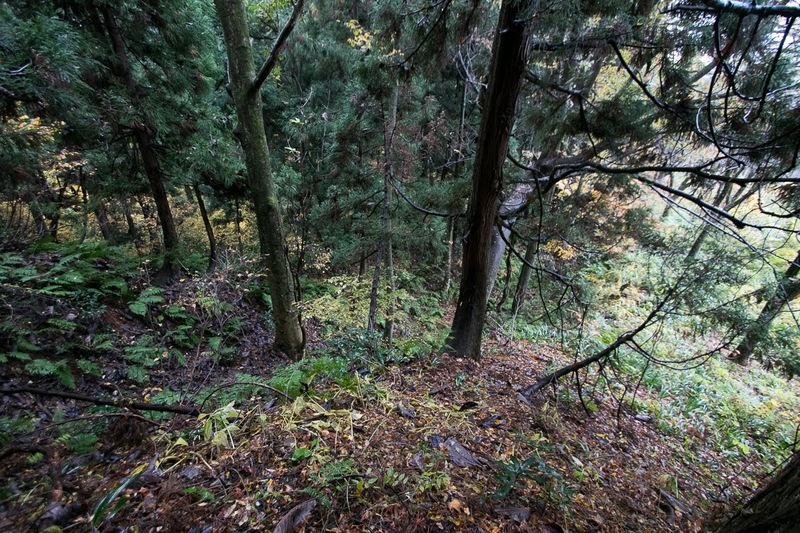 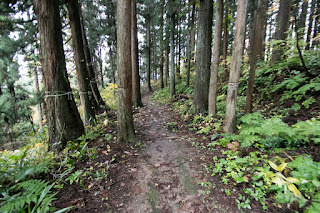 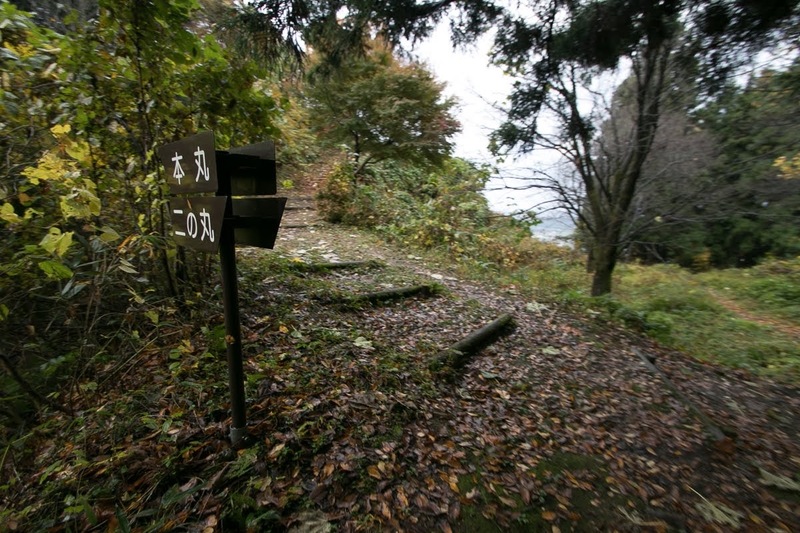 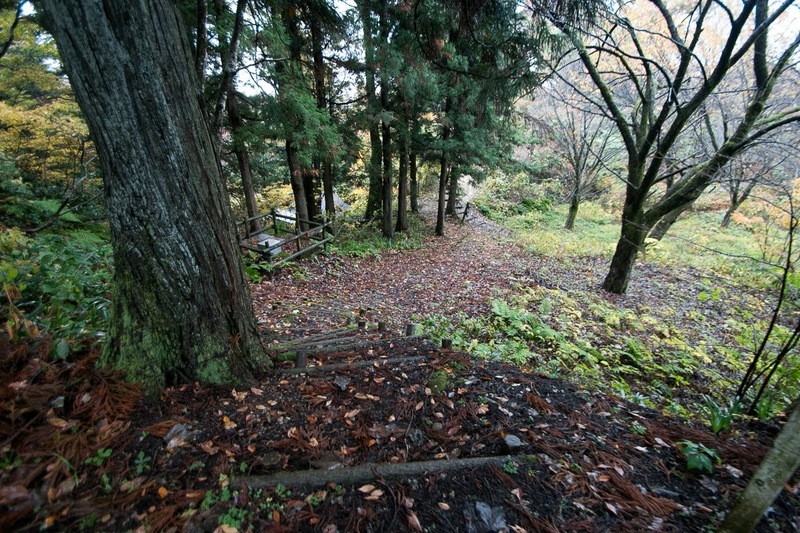 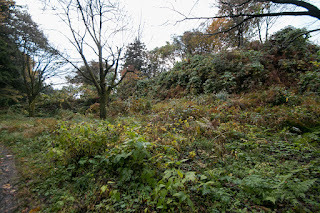 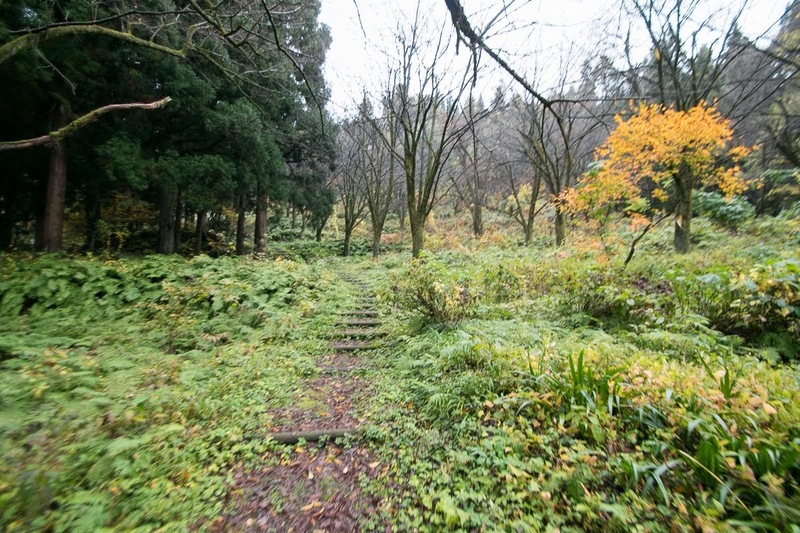 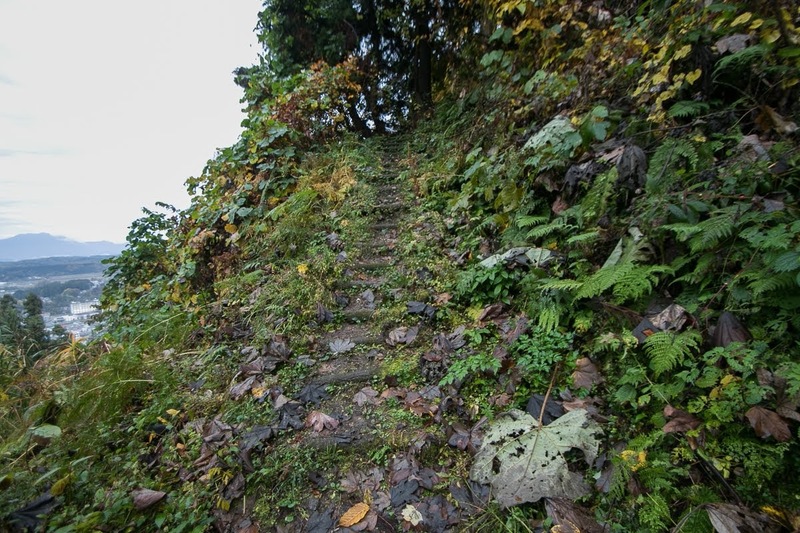 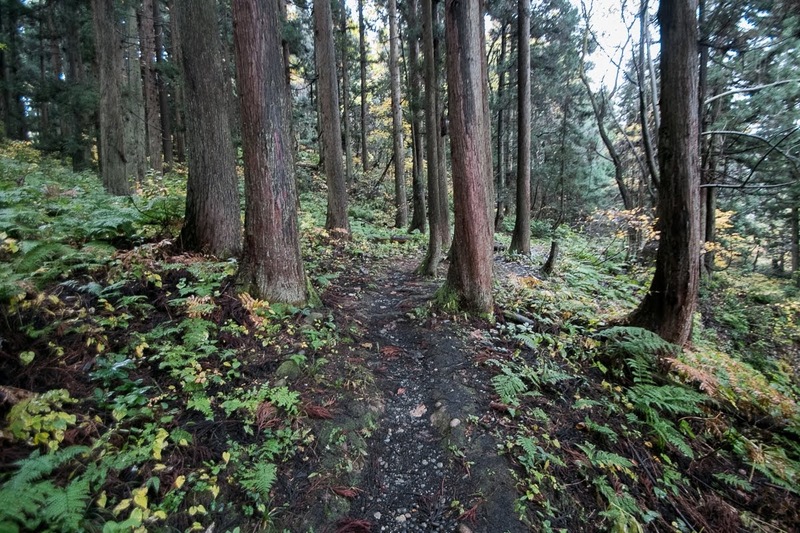 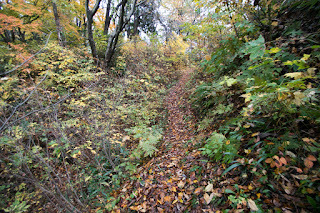 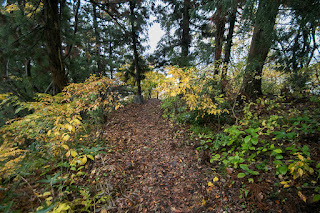 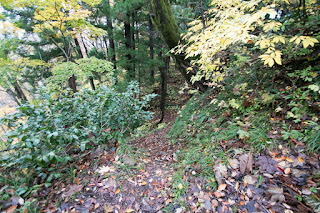 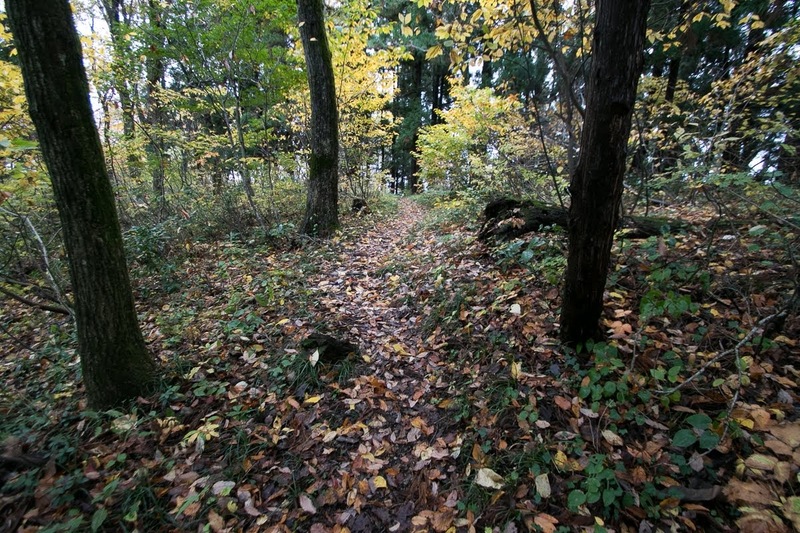 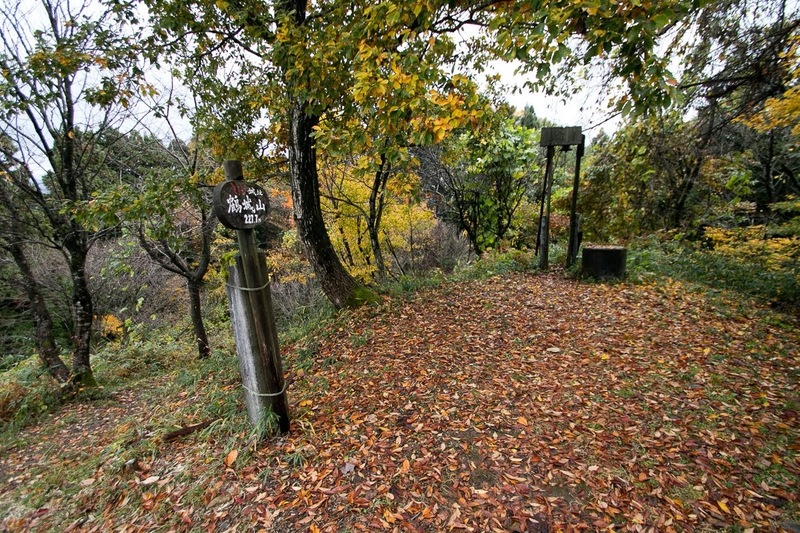 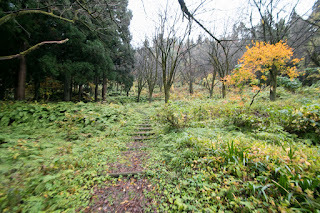 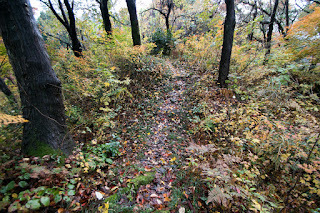 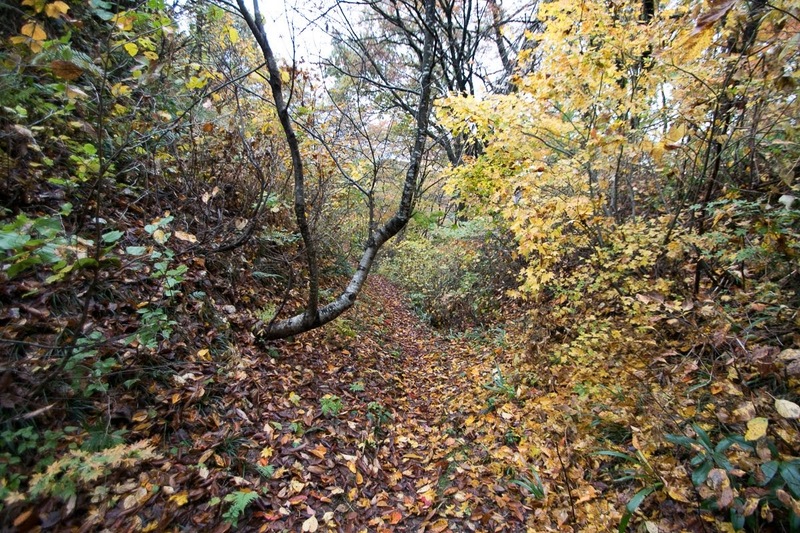 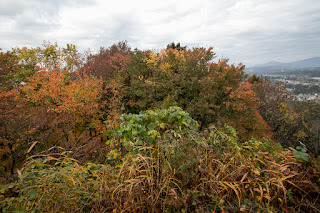 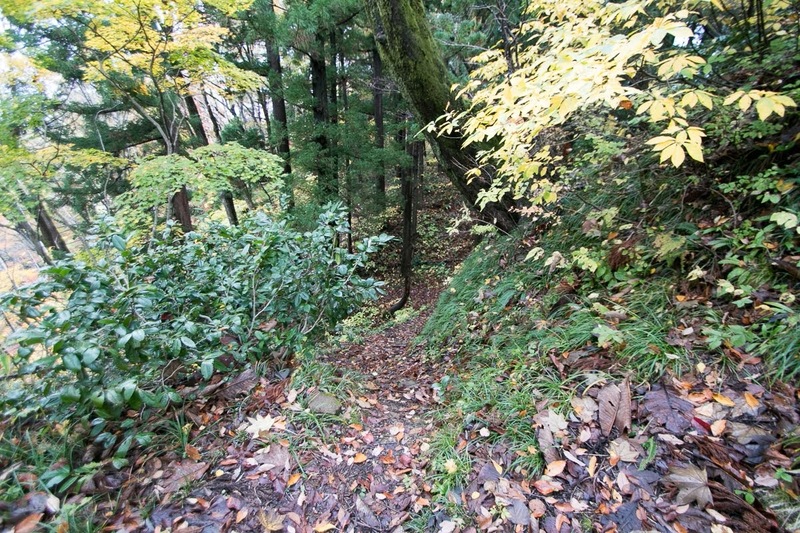 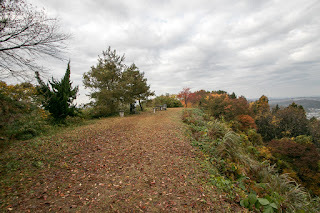 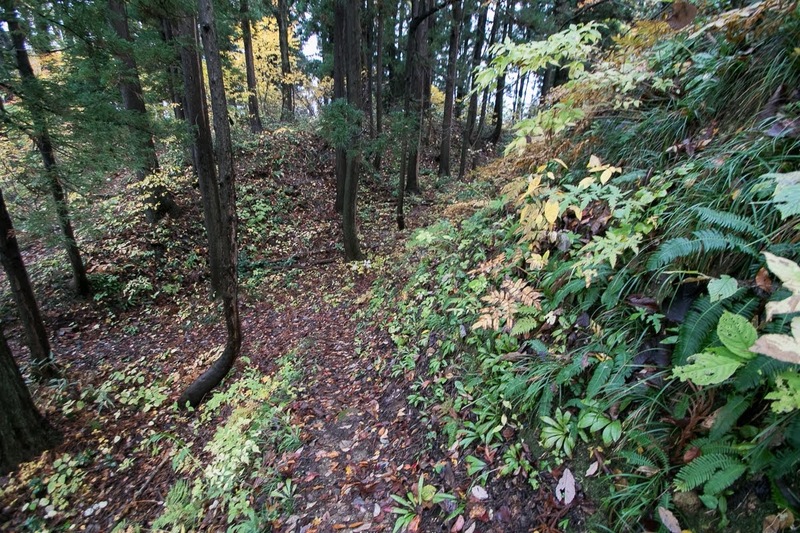 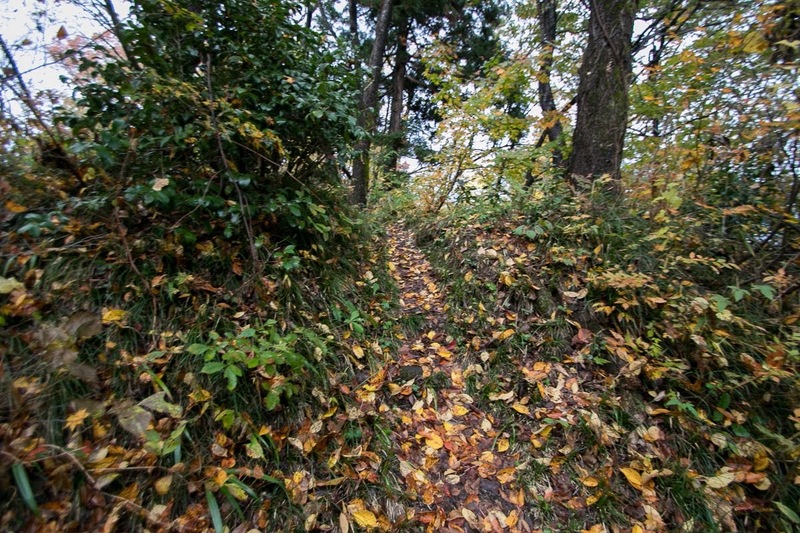 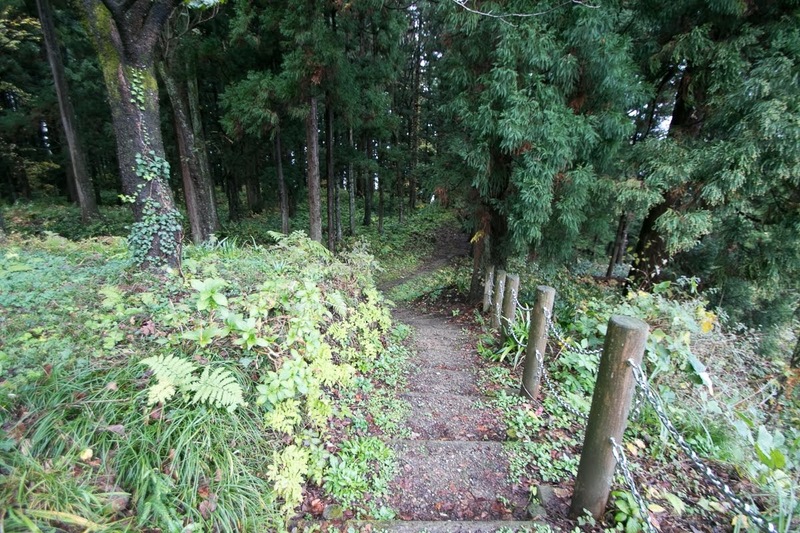 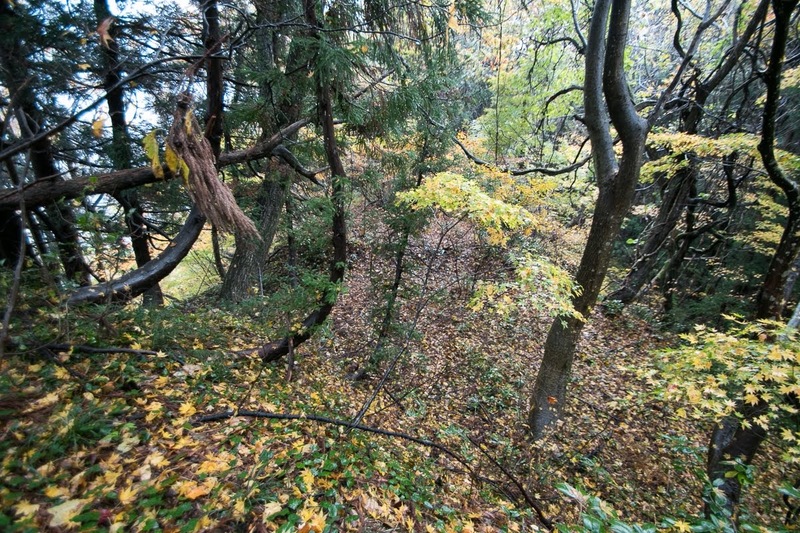 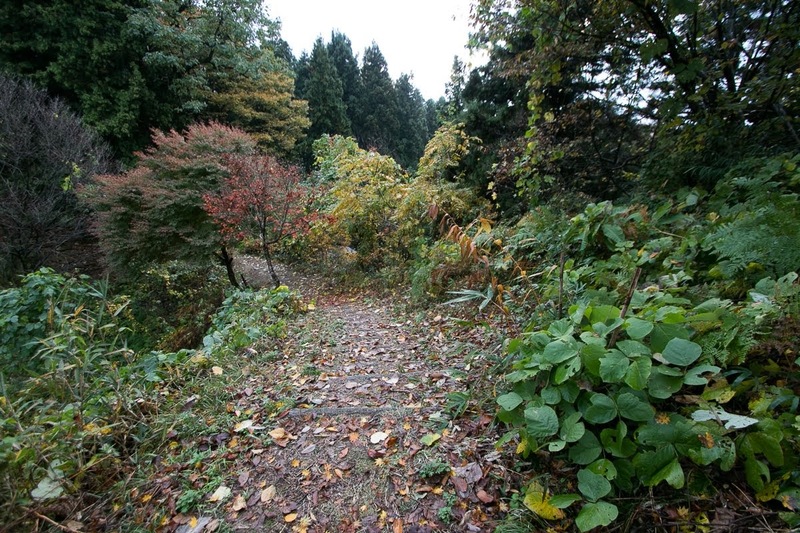 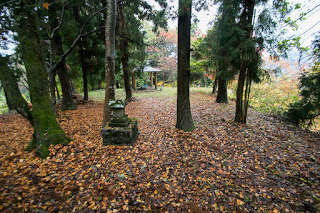 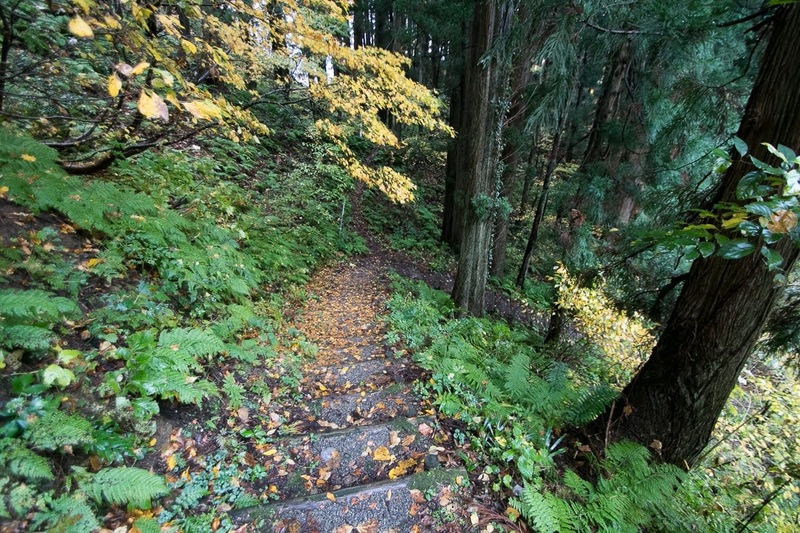 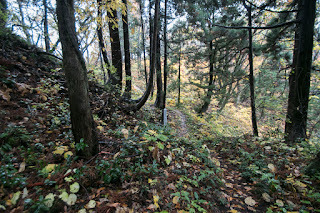 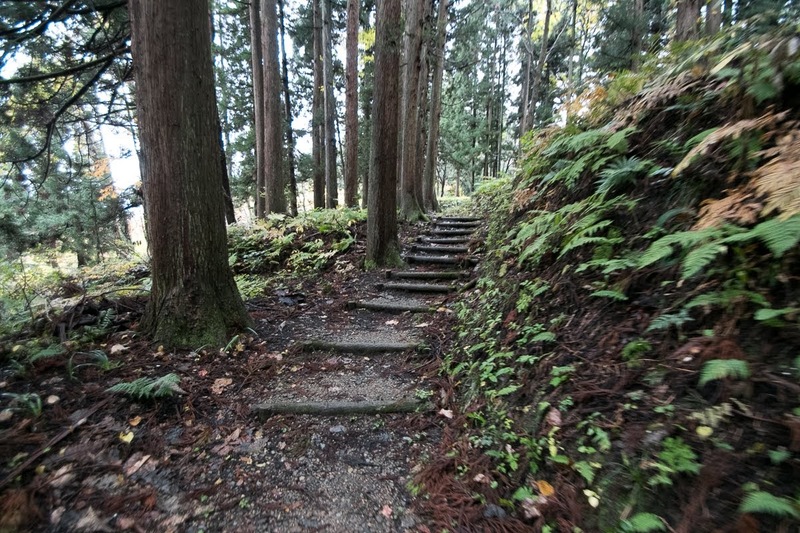 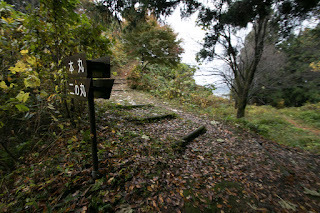 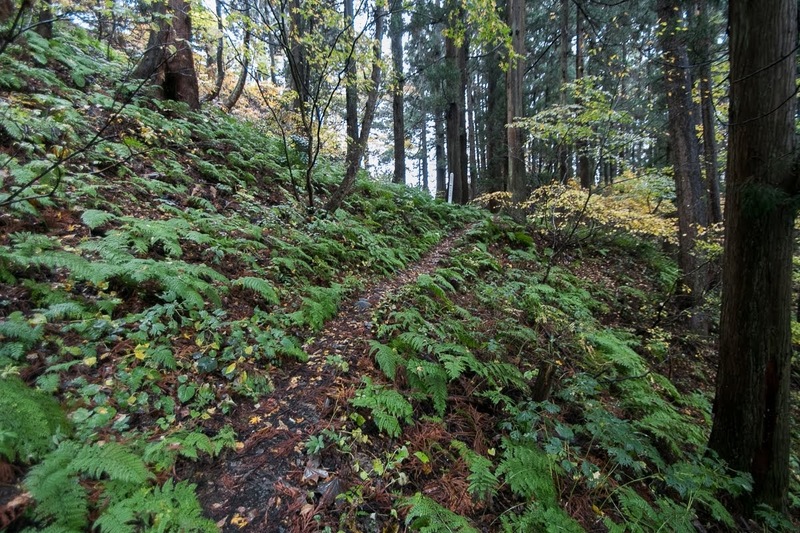 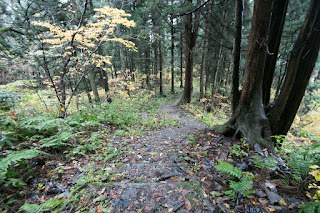 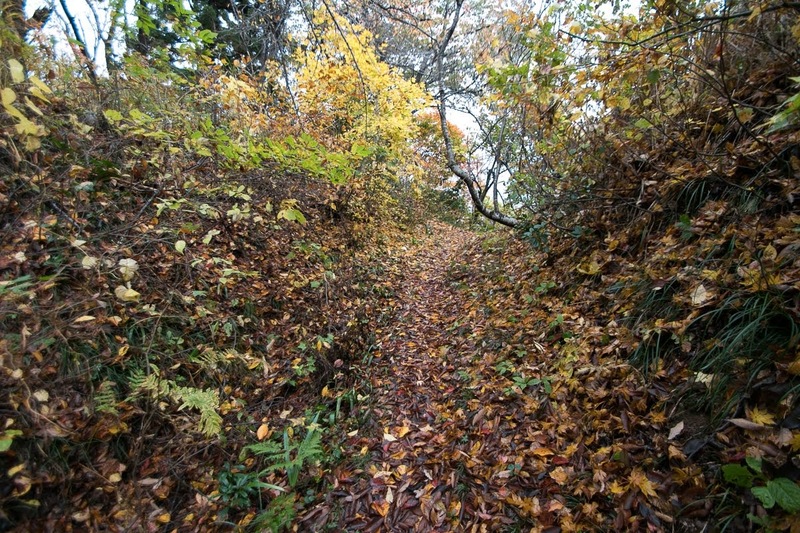 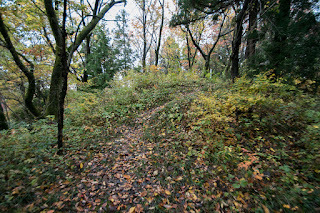 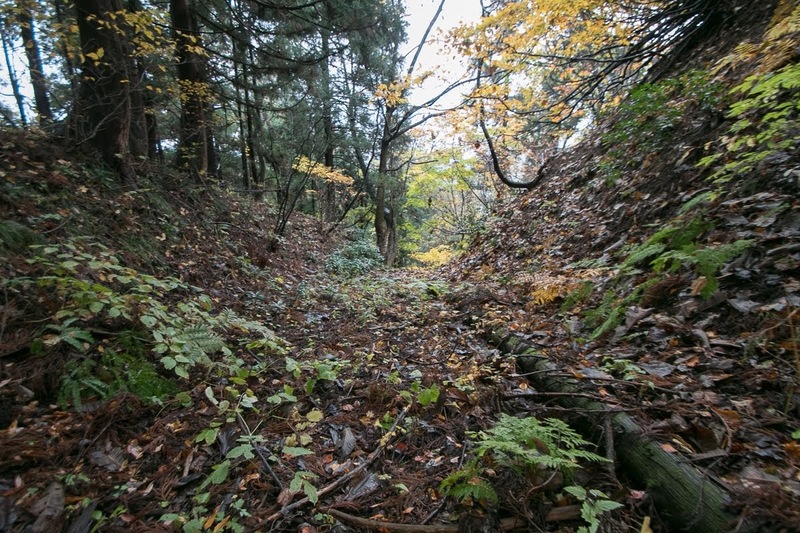 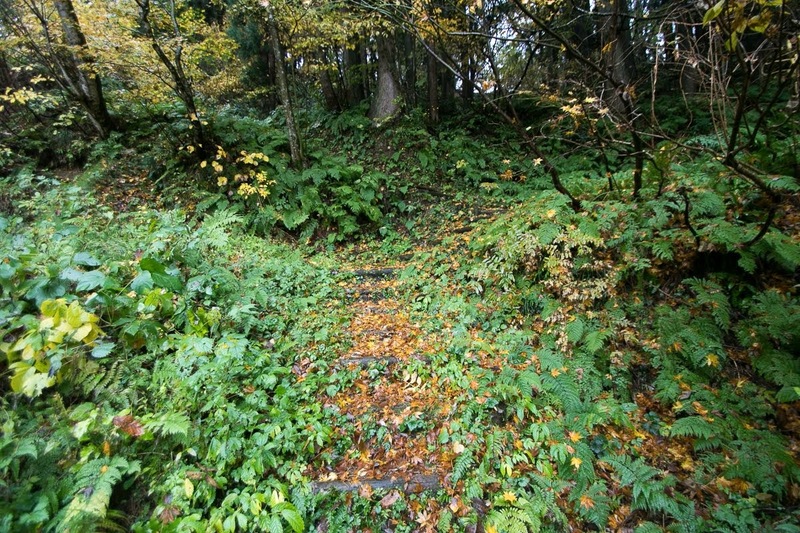 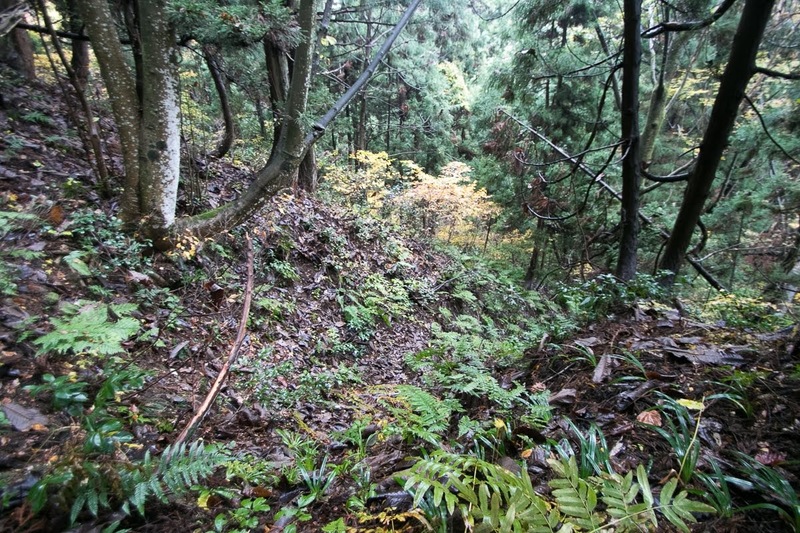 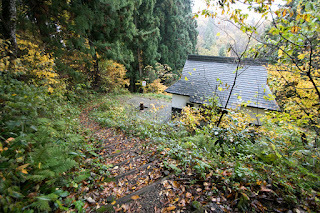 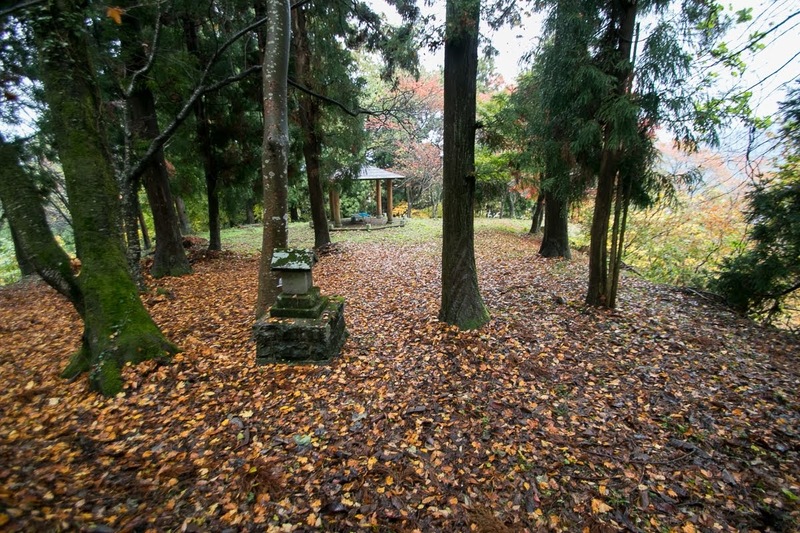 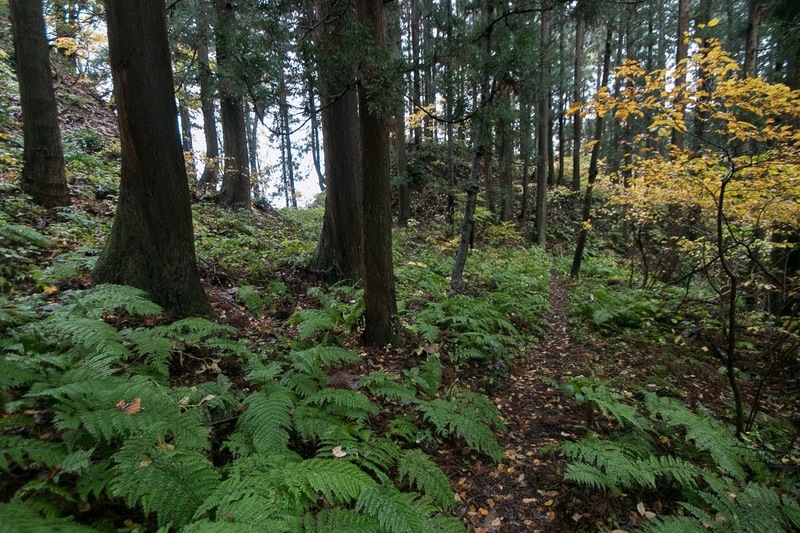 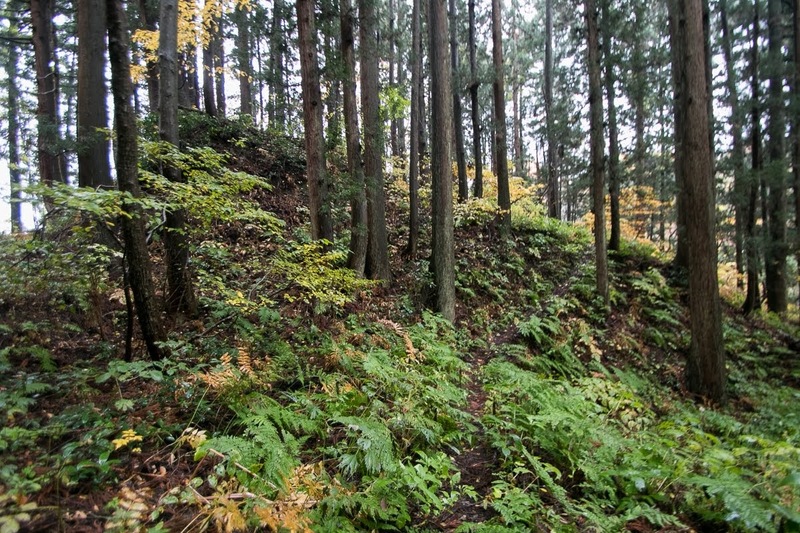 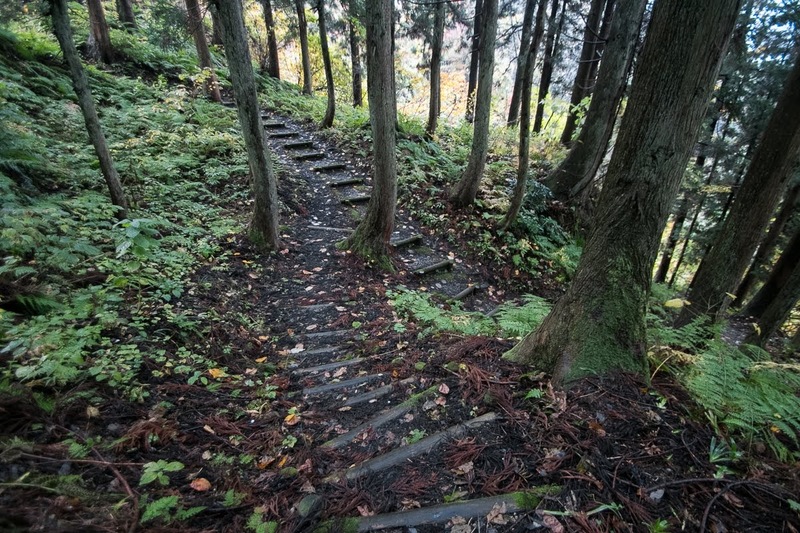 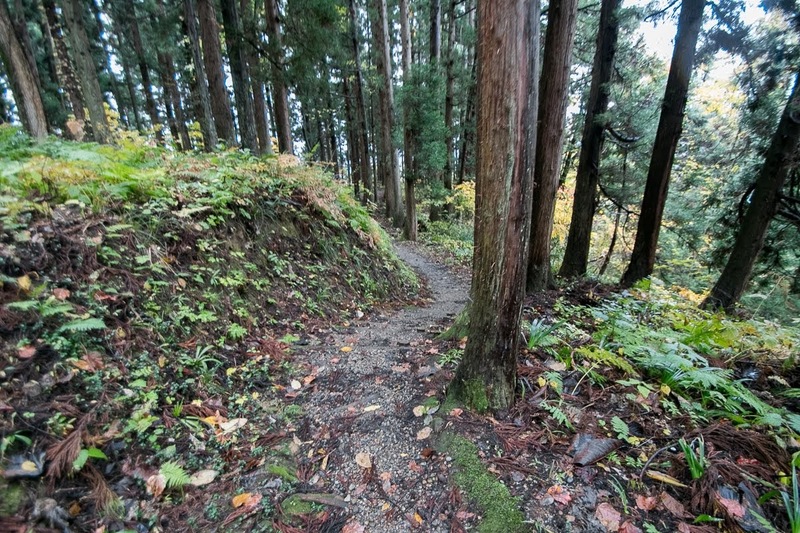 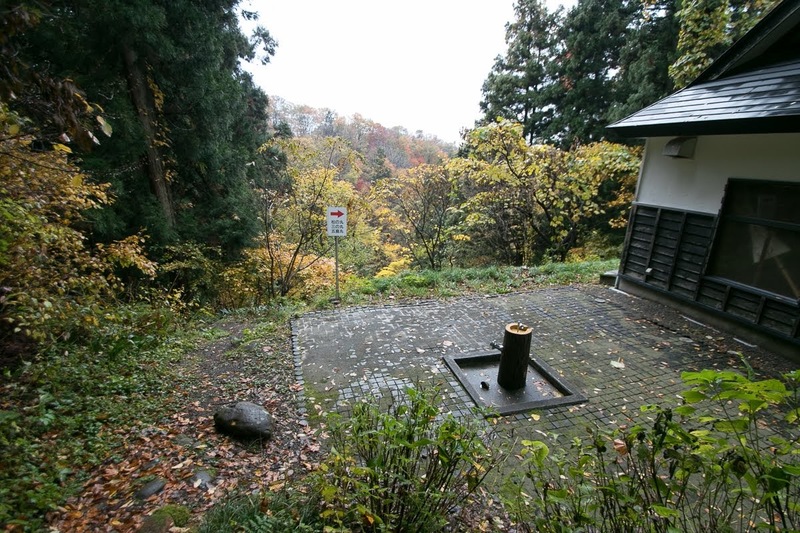 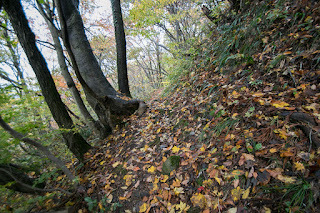 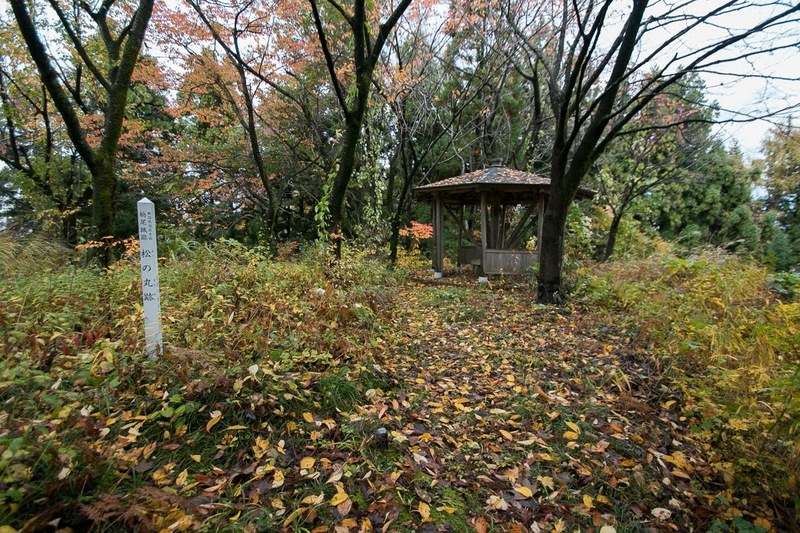 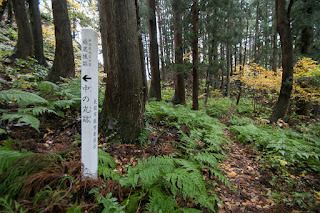 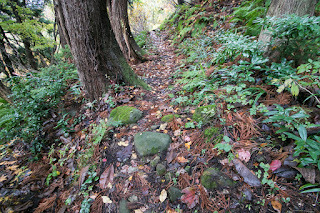 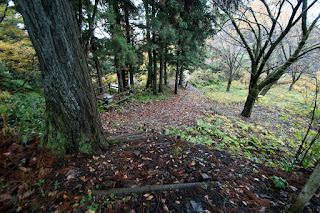 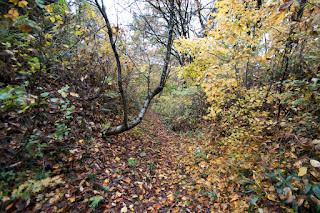 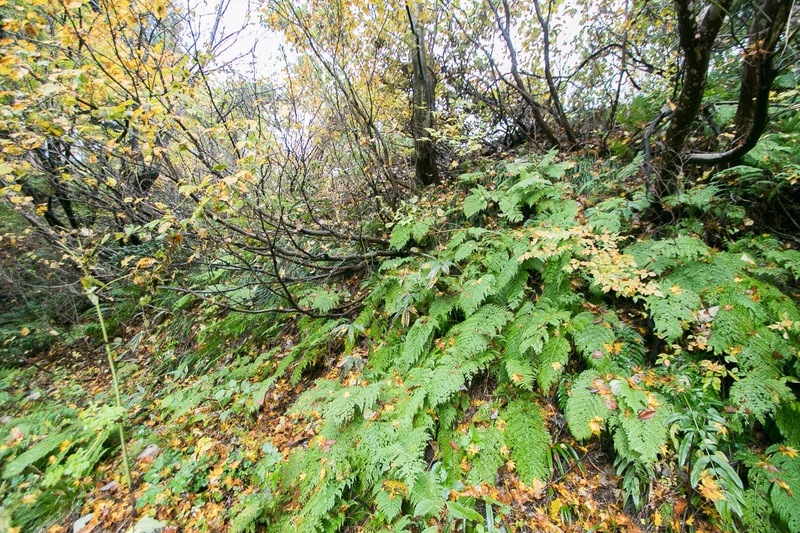 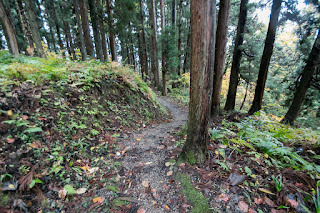 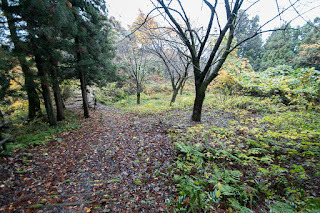 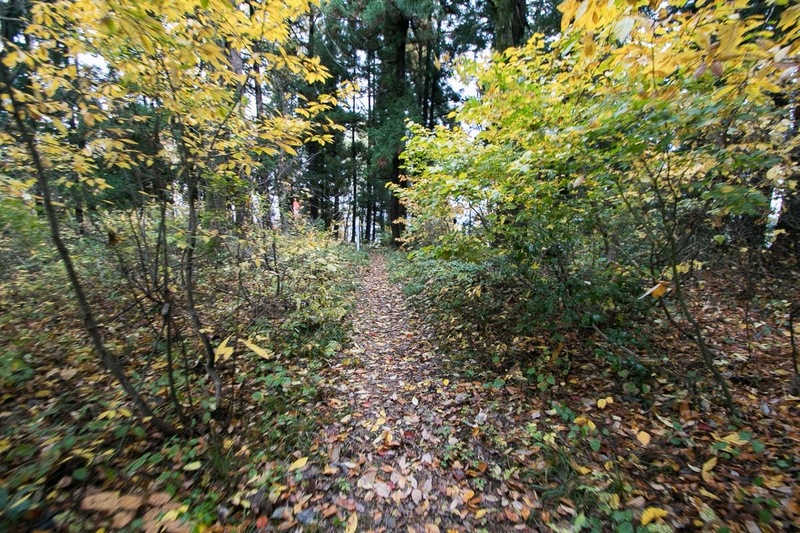 Hillside area has large area such as Sennnin damari or Baba which exceed over 100 meter long. These areas are used as meeting or training places of armies and storage place. 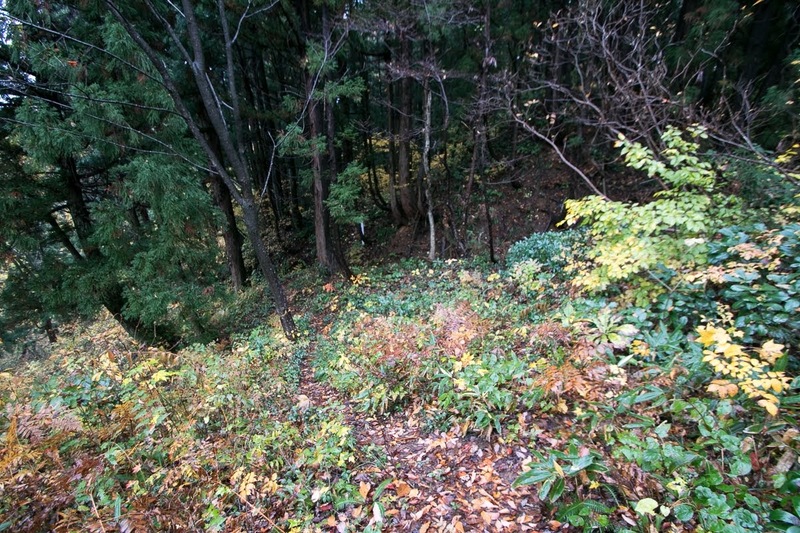 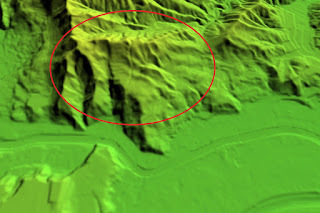 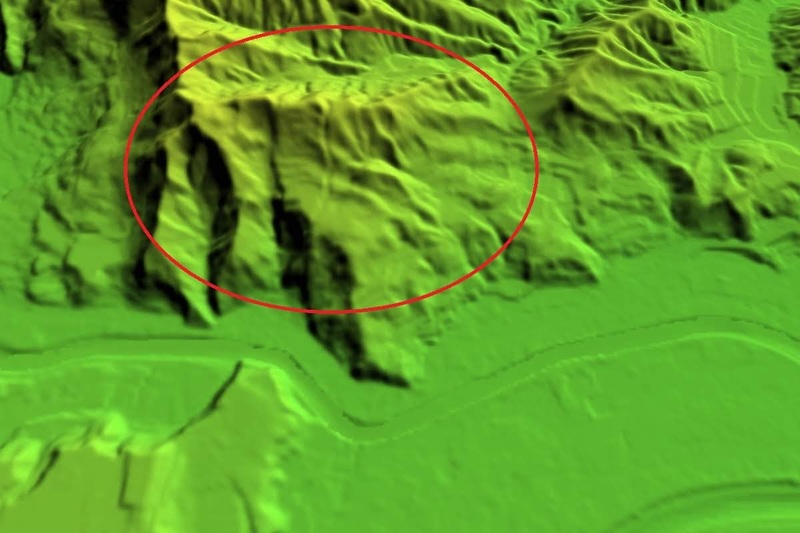 Other than dry moat, hilltop area and hillside area are connected by formal climbing route passing several terraces. 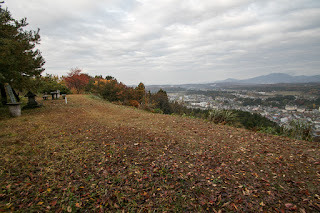 Total size of the castle is about 600 meter long and 500 meter wide, and it is one of the largest castles in the middle part of the province. 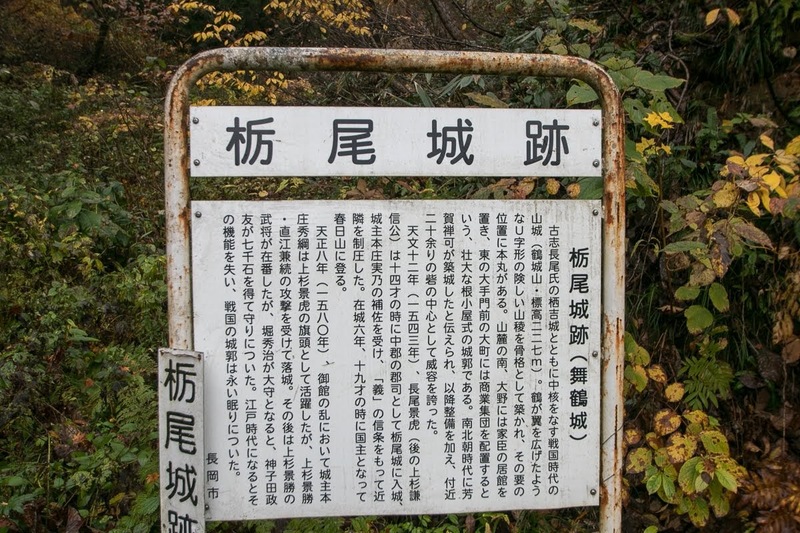 Kagetora later accepted main family of Uesugi clan and their Kanto Kanrei position then renamed to Kenshin Uesugi. 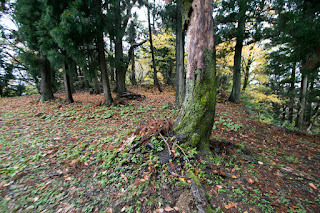 Kenshin fought with surrounding warlords such as Shingen Takeda (1521-1573), the warlord of Kai province (Yamanashi prefecture) or Ujiyasu Hojo (1515-1571), the one of Sagami province (Kanagawa prefecture), and then showed undisputed strength at the battle and praised as the god of war. 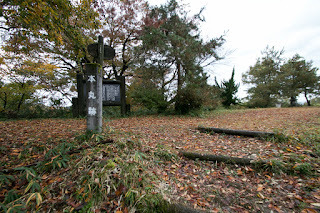 But after the death of Kenshin in 1578, his two adopted son Kagekatsu Uesugi (1556-1623) and Kagetora Uesugi (1554-1579) started conflict for next successor named as “Otate no Ran”. 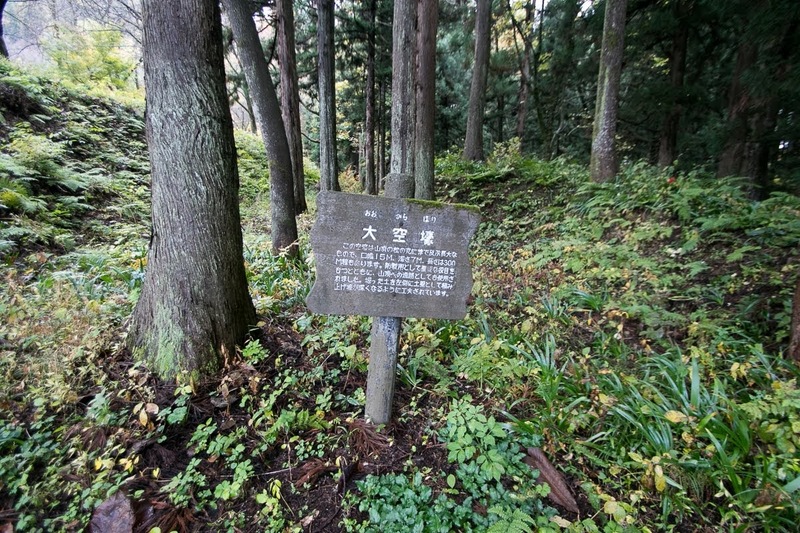 As Kagekatsu Uesugi was a person of their rival Ueda Nagao clan, Koshi Nagao clan and Honjo clan belonged to Kagetora Uesugi. 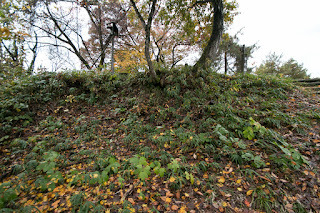 At first Kagetora who was supported by surrounding warlords such as Hojo clan or Ashina clan and kept the center of the province was superior. 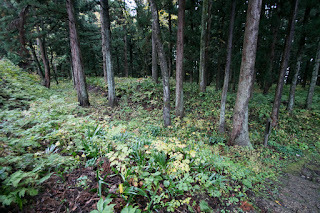 But Kagekatsu turned Takeda clan which intruded under alliance with Hojo clan to their side, and stopped the intrusion of Hojo army to Uonuma area utilizing snow. 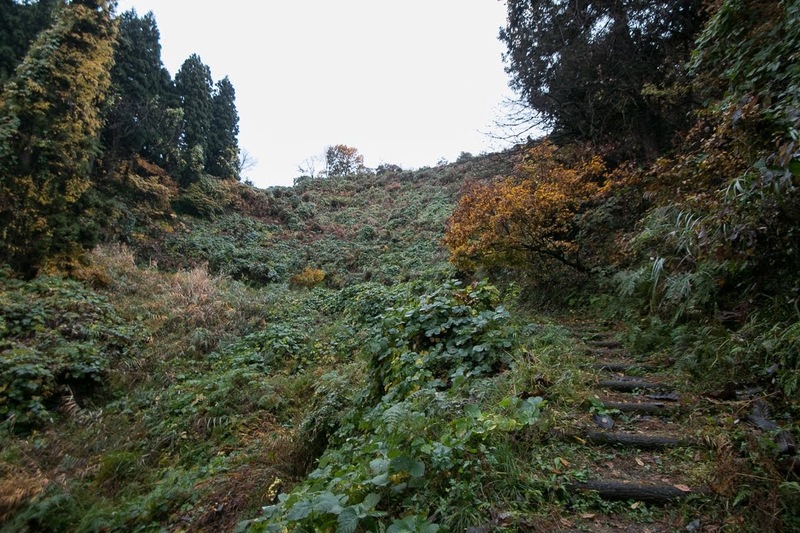 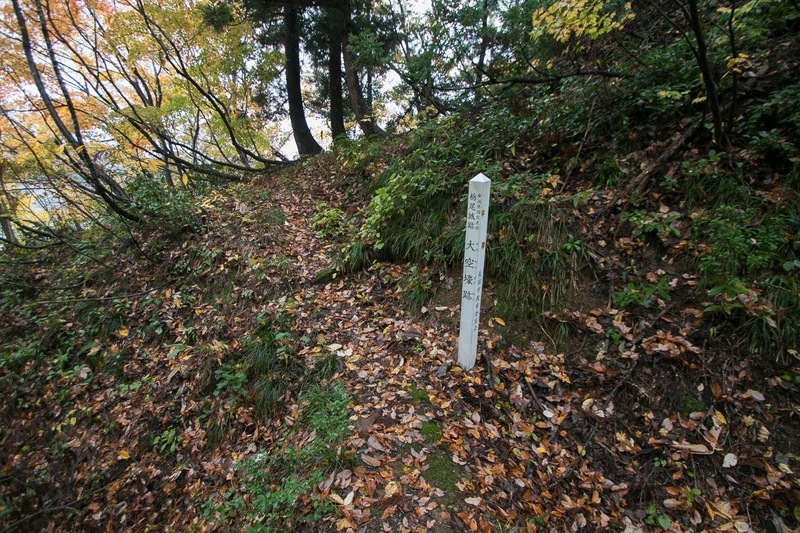 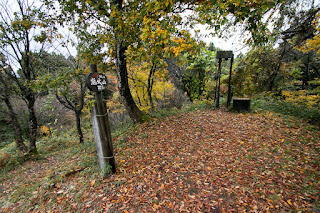 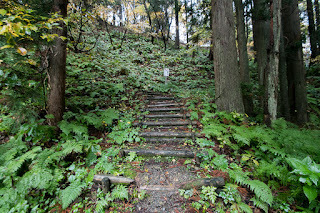 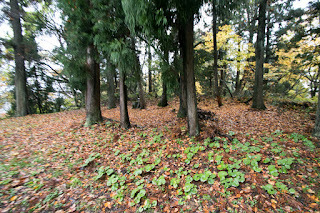 Kagetora lost his supporters became inferior and killed himself at Samegao castle (Niigata castle) on the way of escape. But Honjo clan still resisted at Tochio castle over 1 years after that, and finally Tochio castle was fell by Kagekatsu army in 1580. 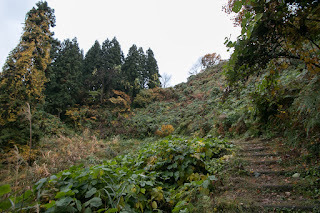 Kagekatsu appointed their general as the commander of Tochio castle. 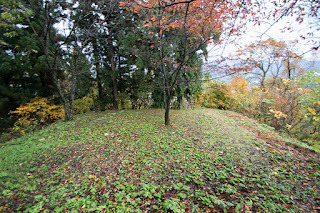 Kagekatsu Uesugi held Tochio castle by 1598, but at that year Kagekatsu was ordered to move to Aizu Wakamatsu castle (Fukushima prefecture). 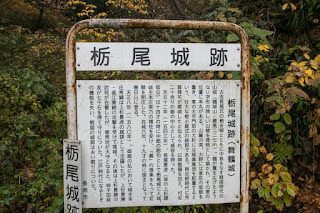 Instead Hori clan became the lord of Echgo province, and Masatomo Mikoda (?-?) 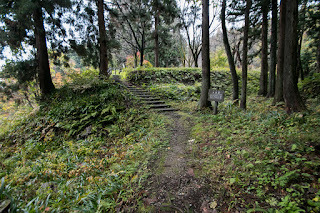 who might be relative of Masaharu Mikoda (?-1587), who promoted under Hideyoshi Toyotomi (1534-1598) but lager was purged, was appointed as the lord of Tochio castle. 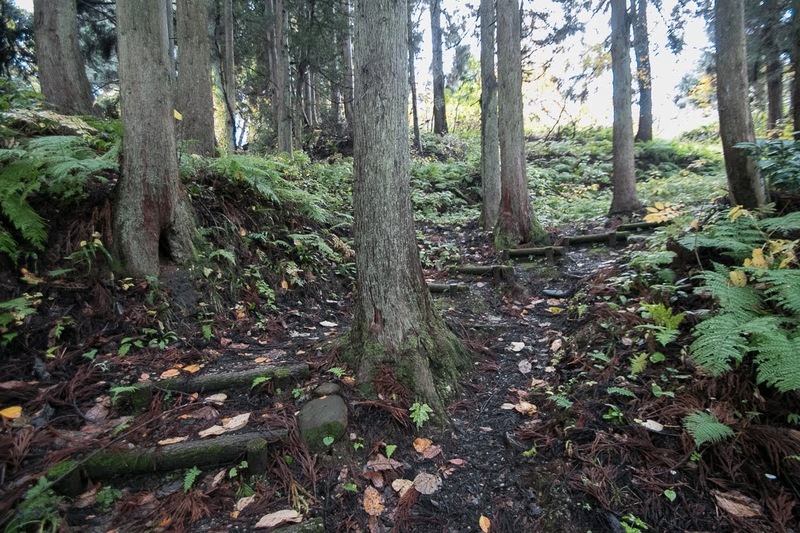 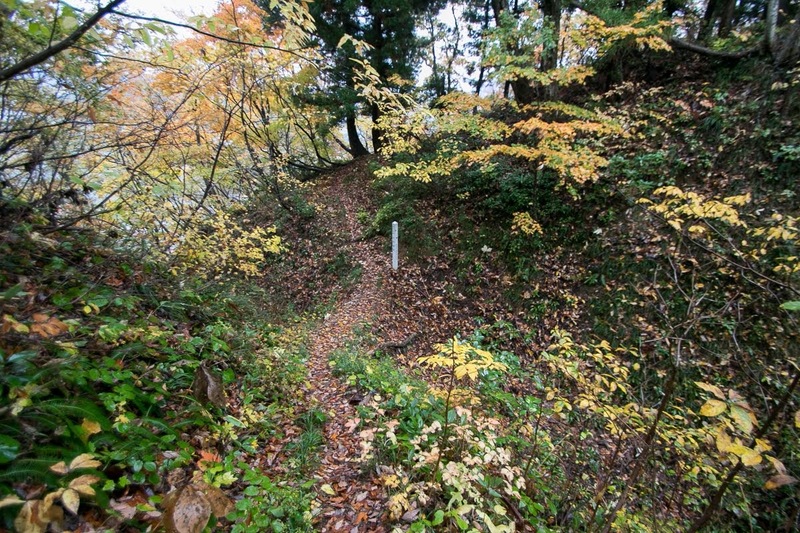 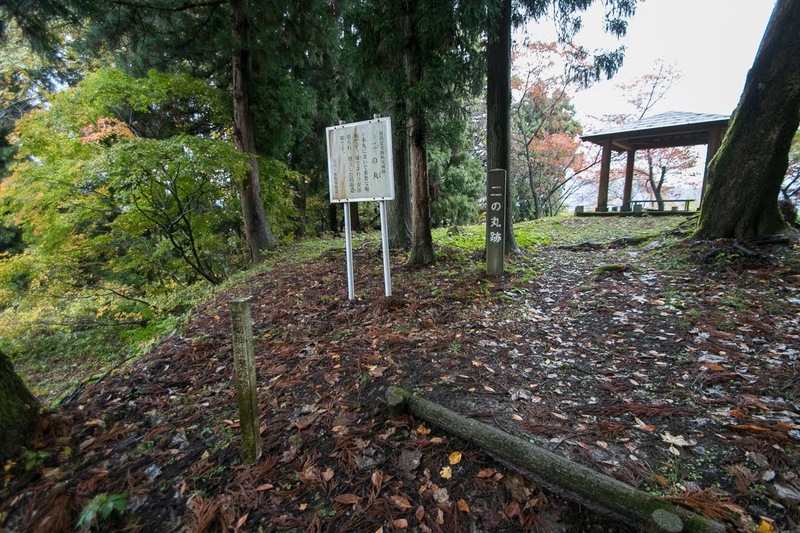 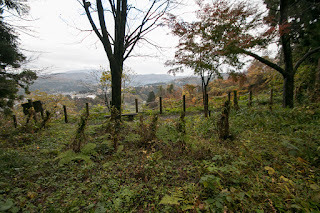 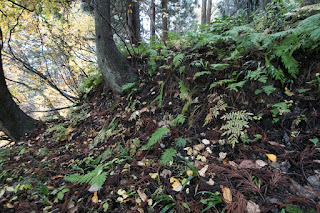 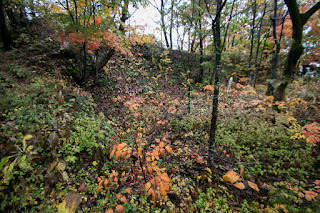 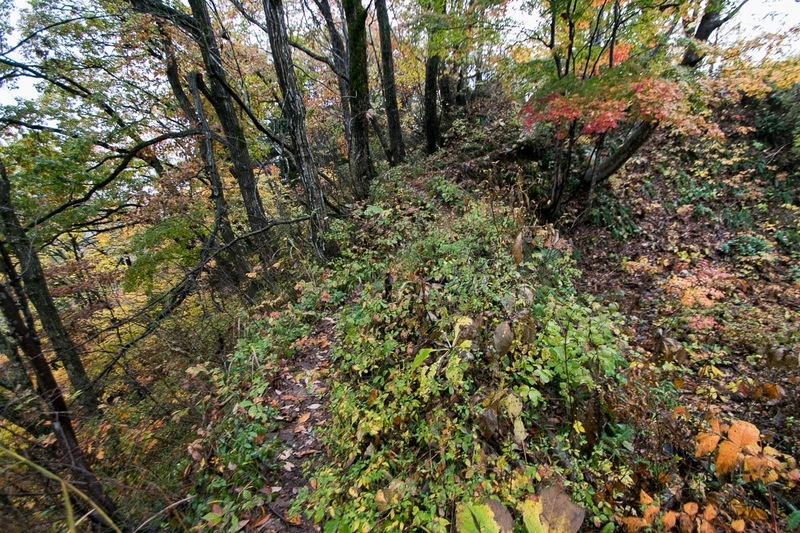 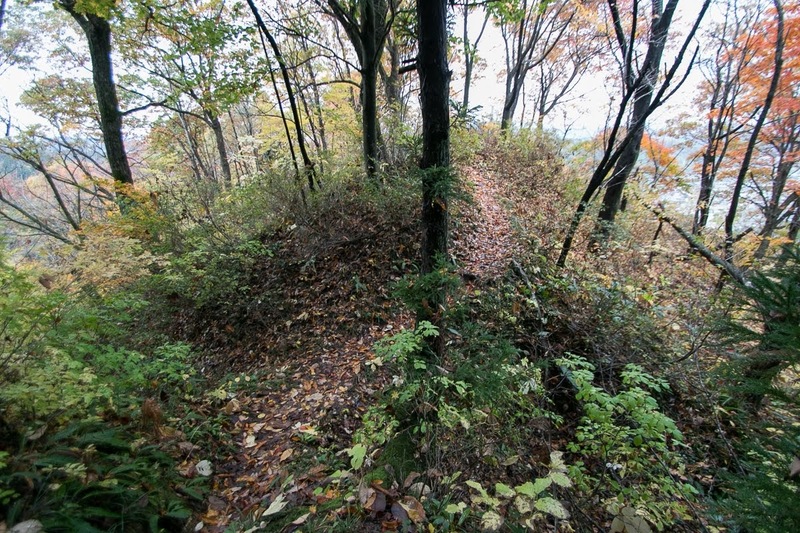 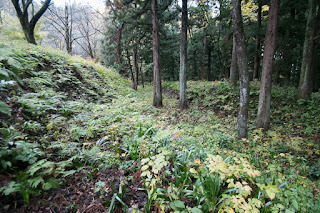 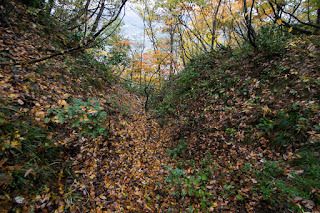 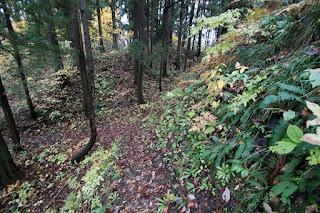 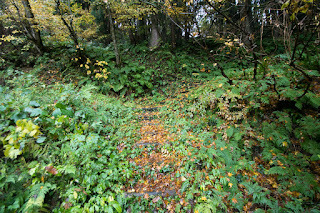 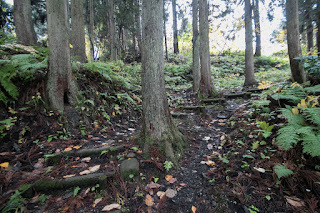 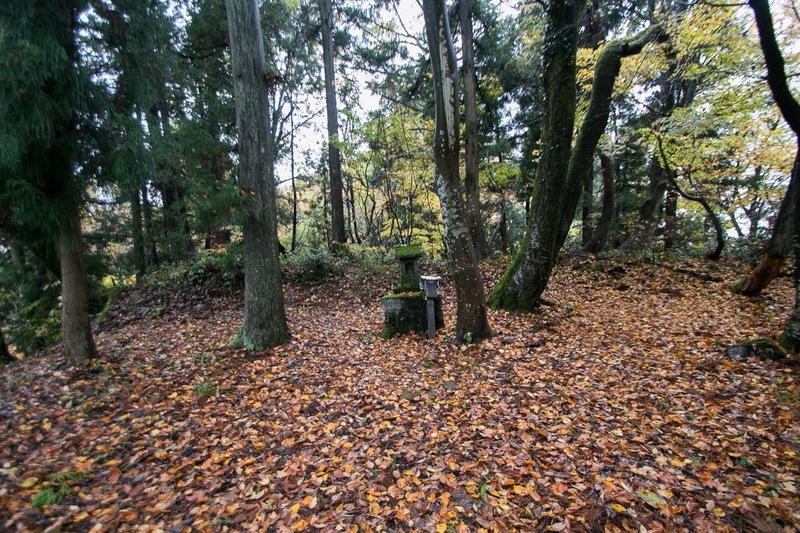 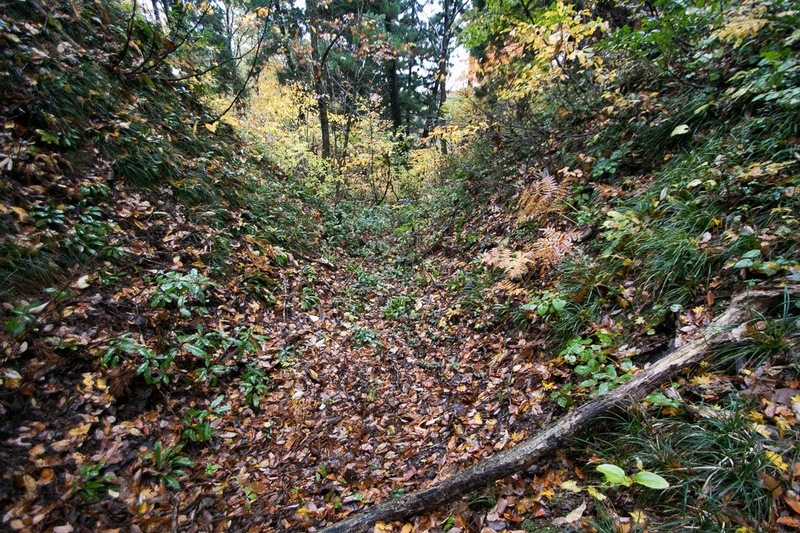 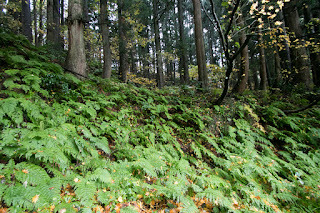 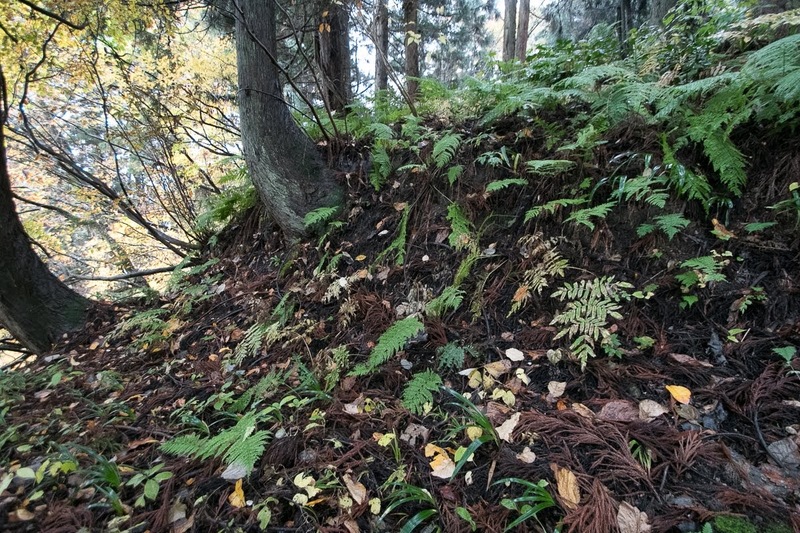 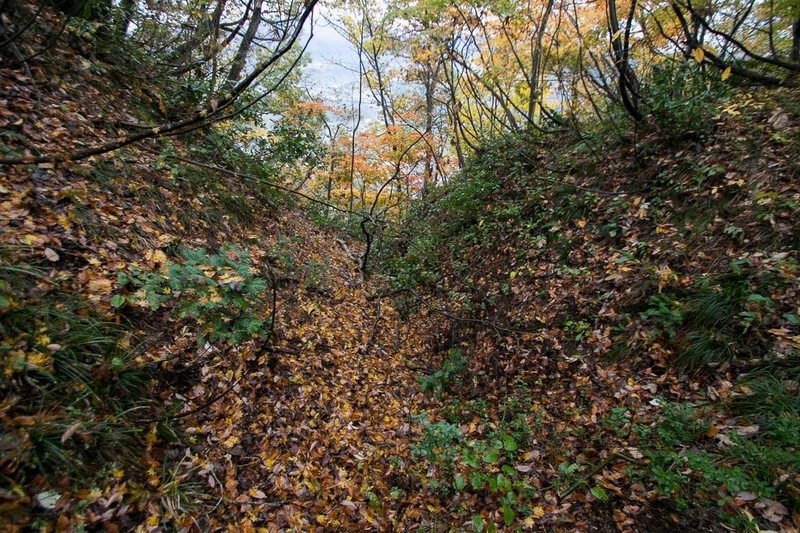 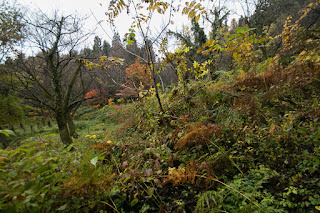 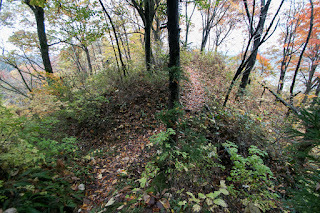 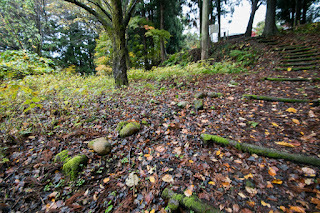 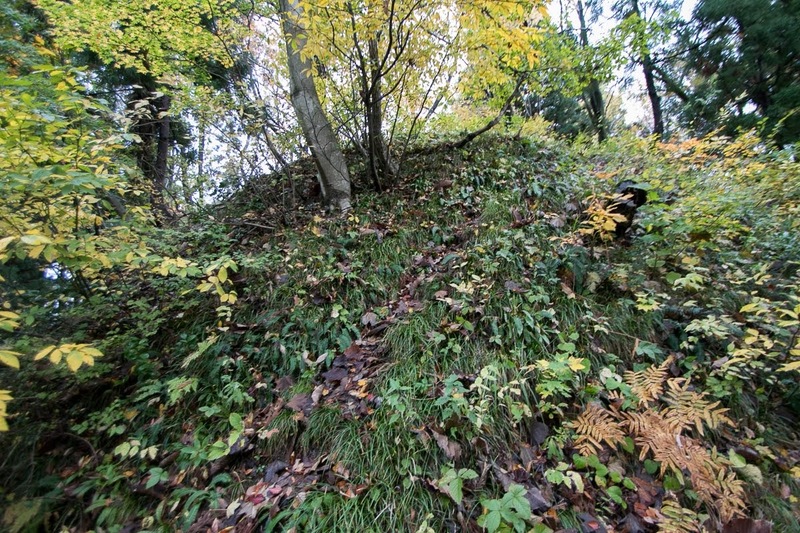 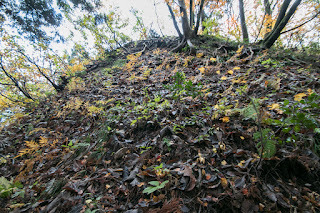 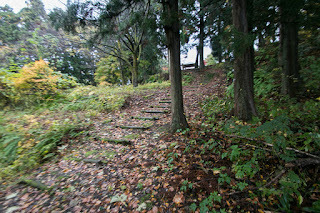 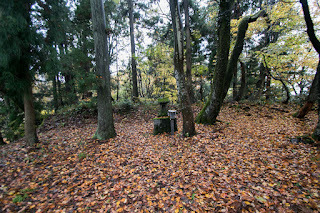 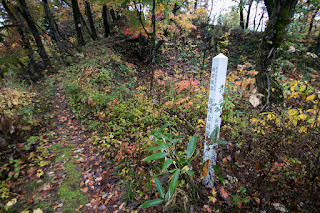 Masatomo Mikoda built stone walls around the central area where broke stone wall fallen to the ground of below area. But Hori clan was expelled by Edo Shogunate in 1610 because of their internal conflict, and Tochio was abolished at this time. 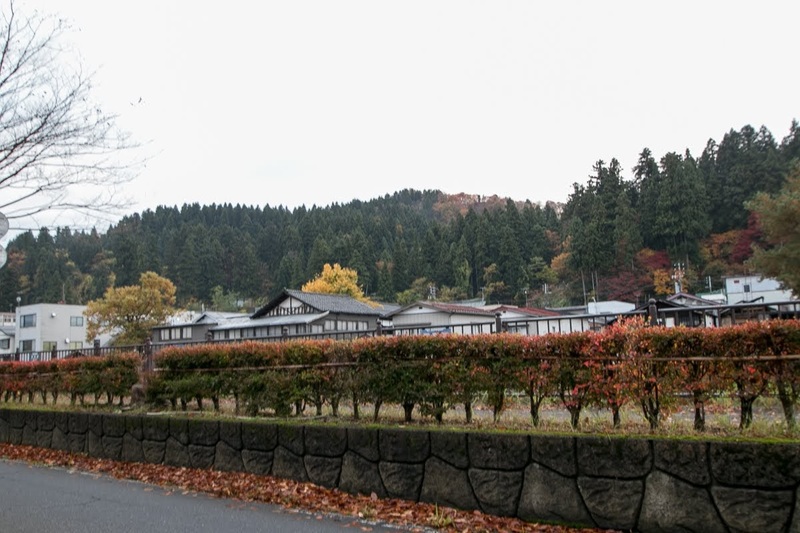 Tochio town prospered as a place of logistics afterward, and many traditional merchant houses with snow guards still remain around the town. Today no building is left but structure of the castle well remain on the mountain. From central area full view of Tochio town and surrounding area is seen, and this scenery vividly reminds the shape of Kenshin Uesugi in youth who coolly thought tactics looking down the approaching enemy from this place. 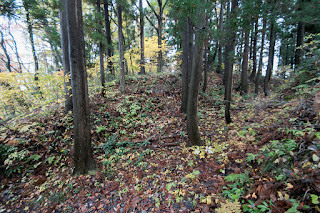 Multiple layers of ruins also show unchanged importance of the castle in each era.